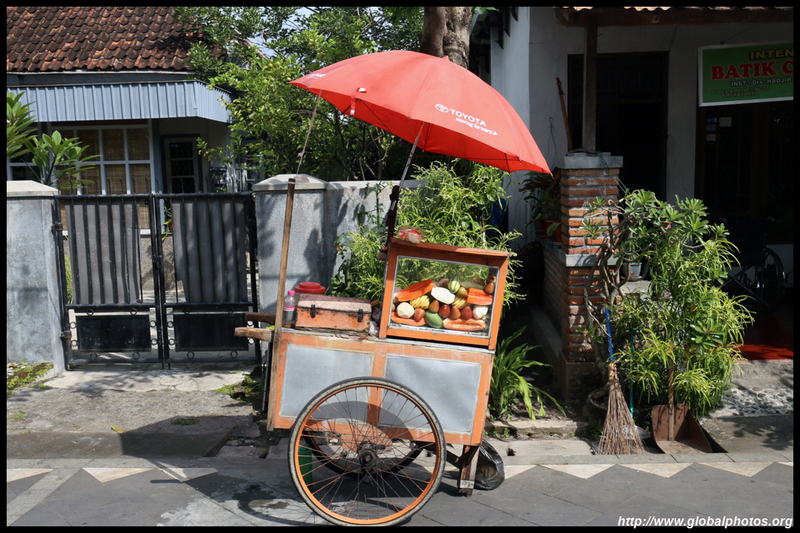 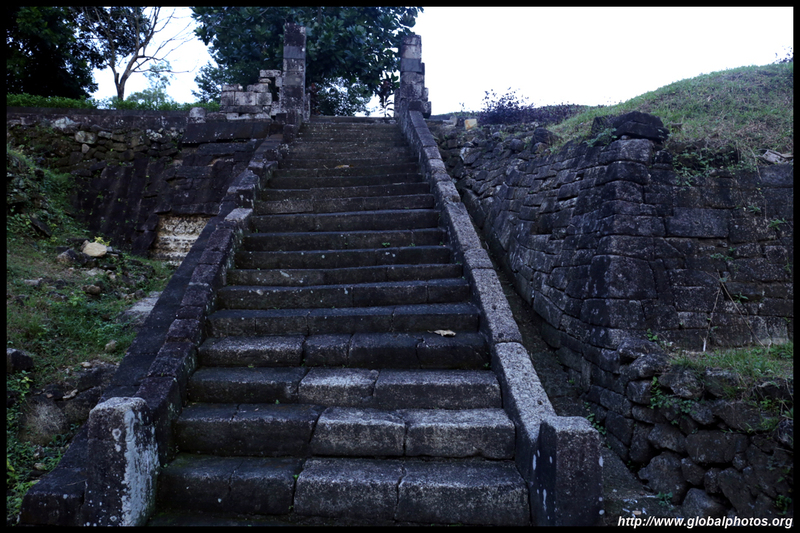 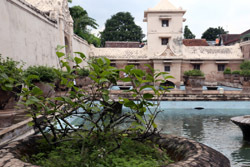 Overshadowed by the historic temples that surround the city, there is enough in the city to worth an afternoon of sightseeing. 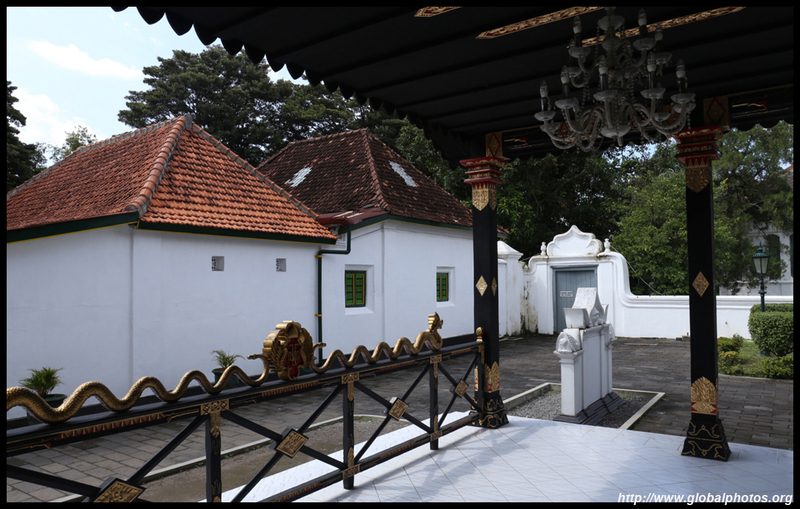 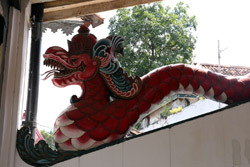 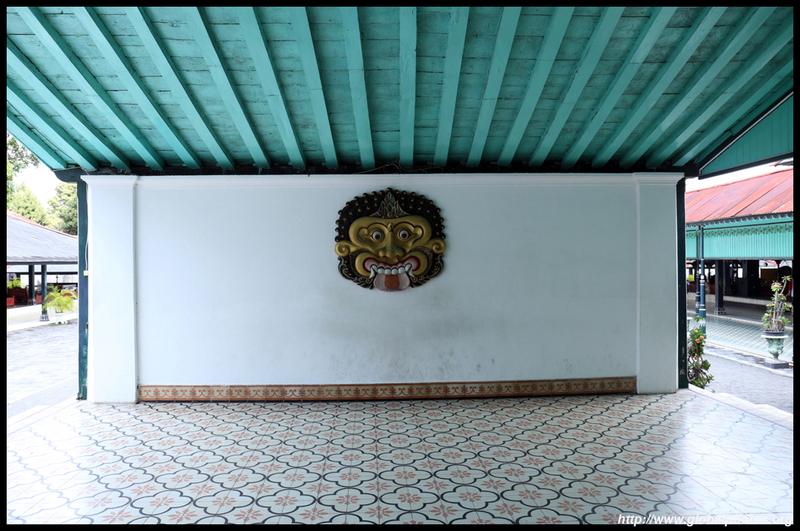 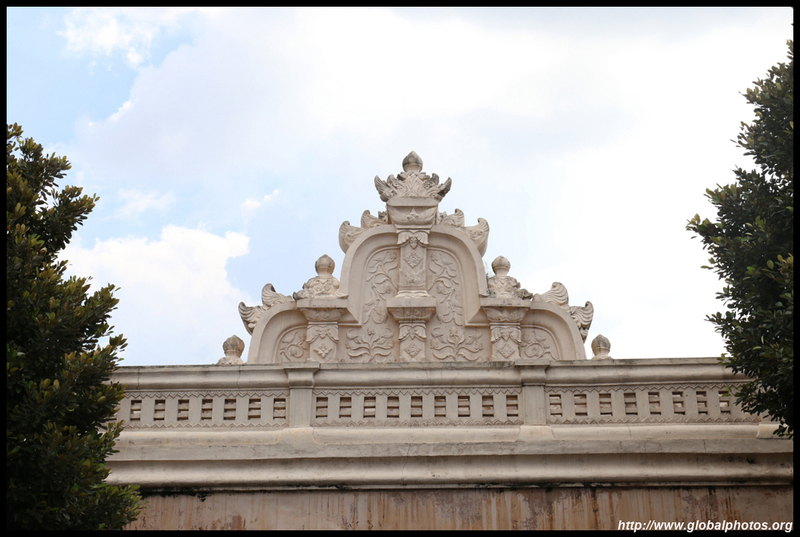 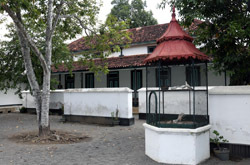 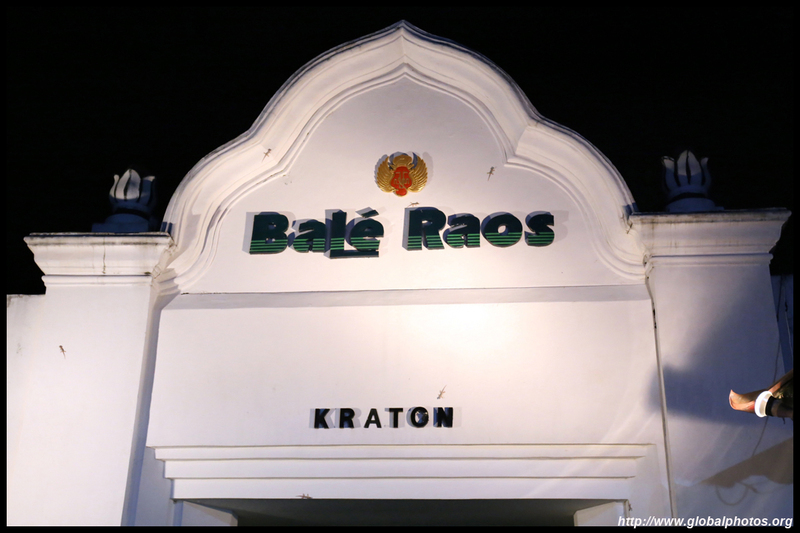 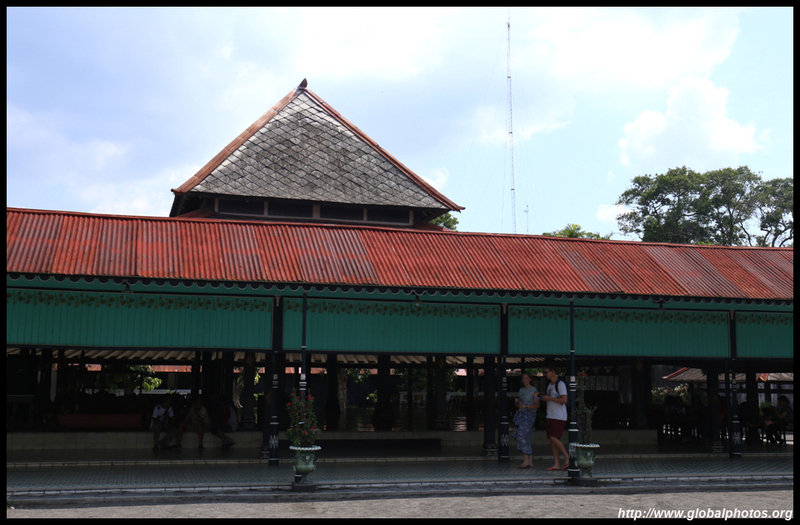 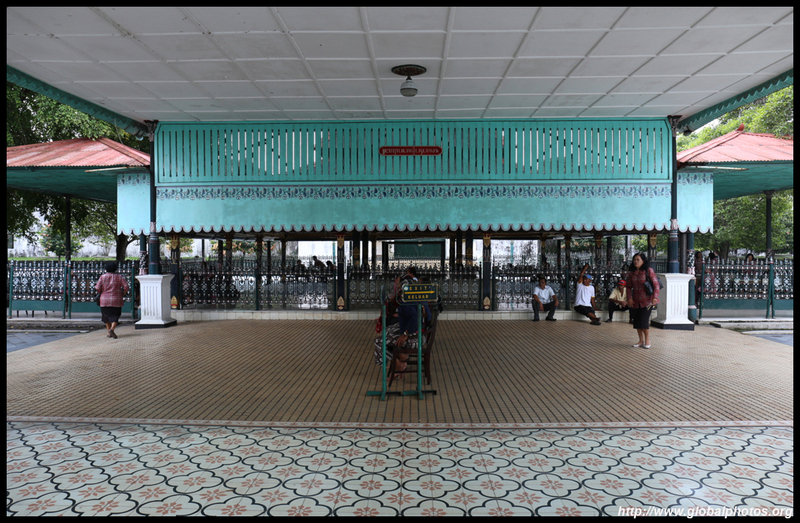 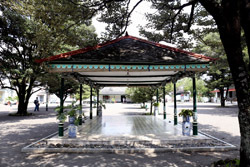 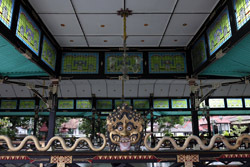 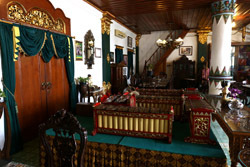 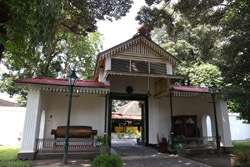 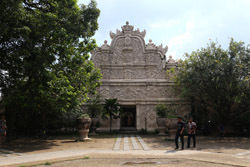 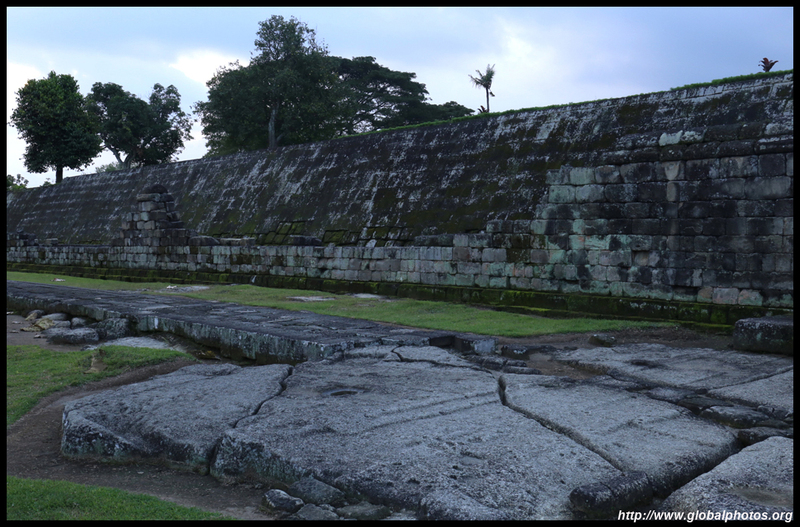 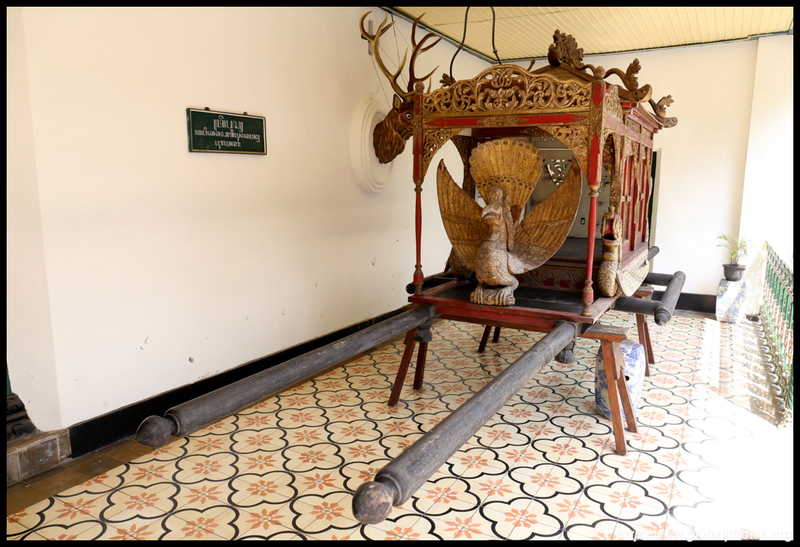 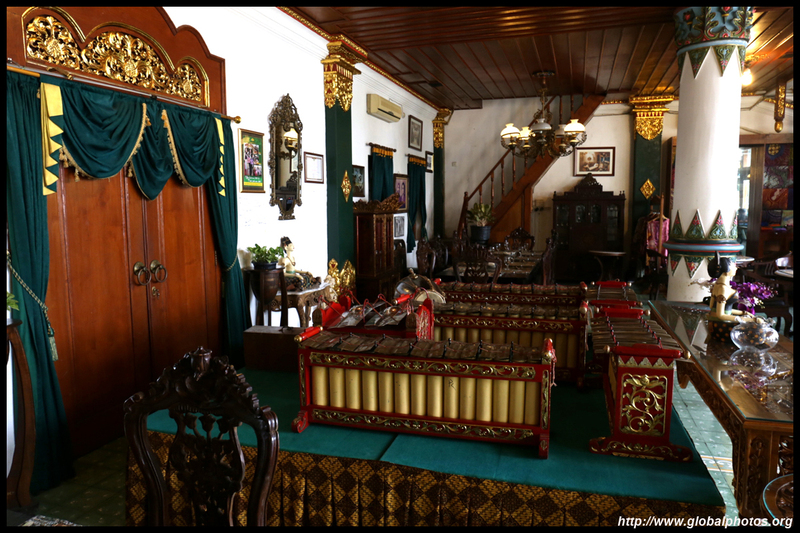 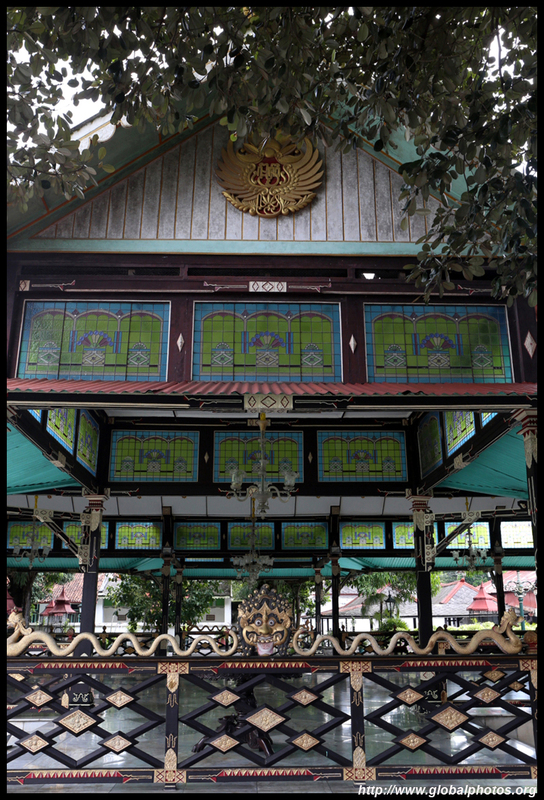 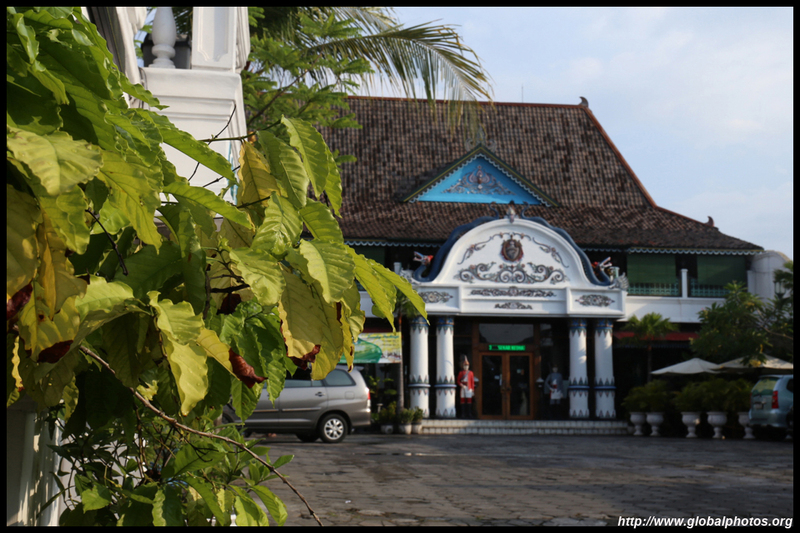 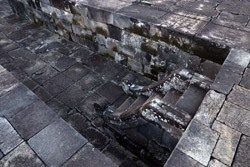 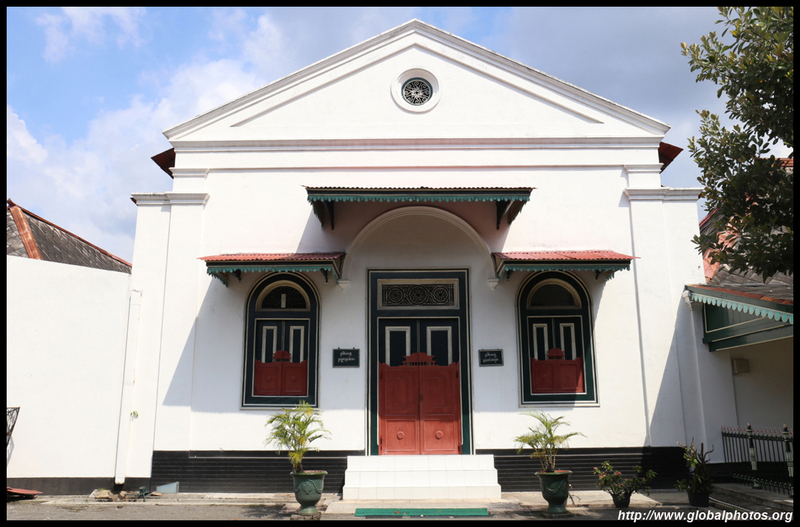 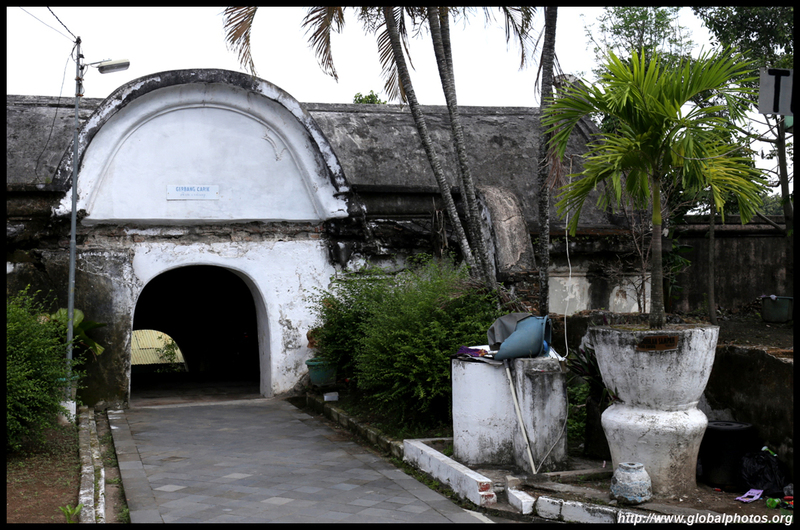 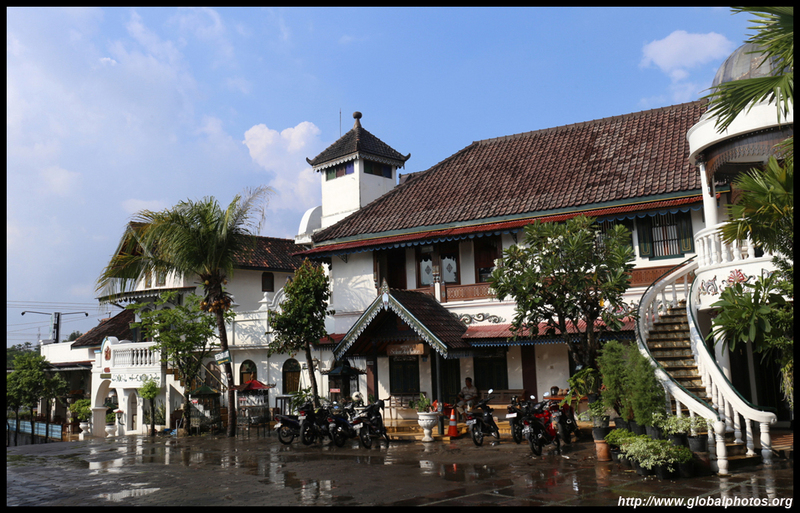 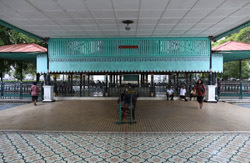 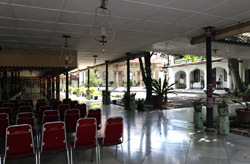 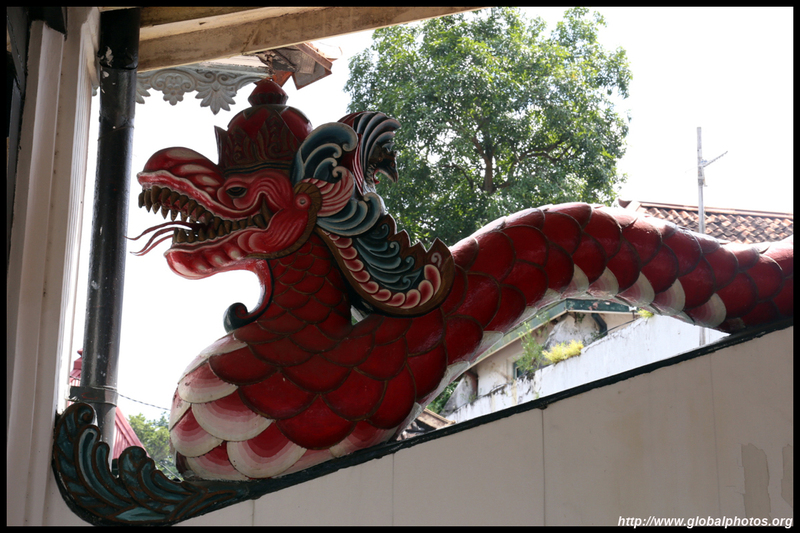 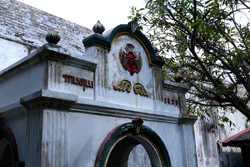 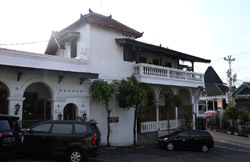 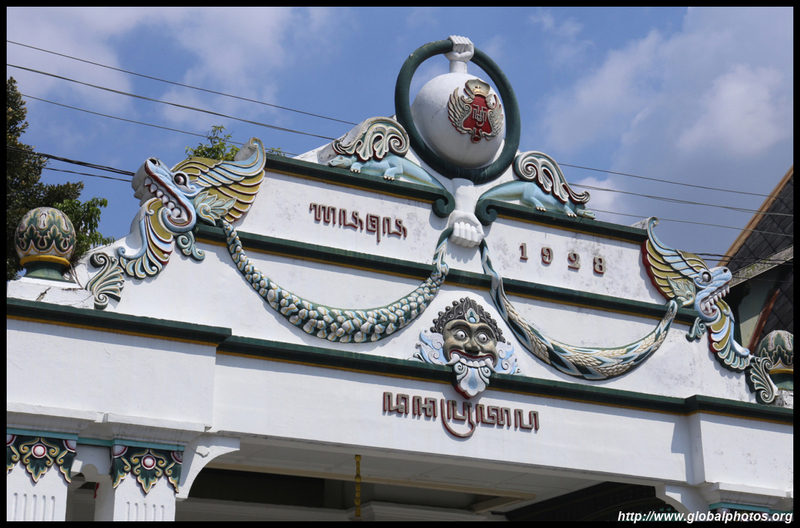 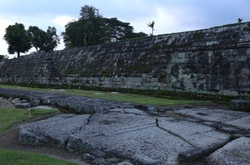 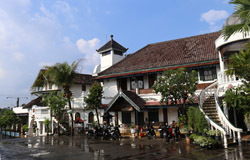 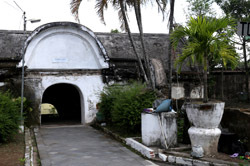 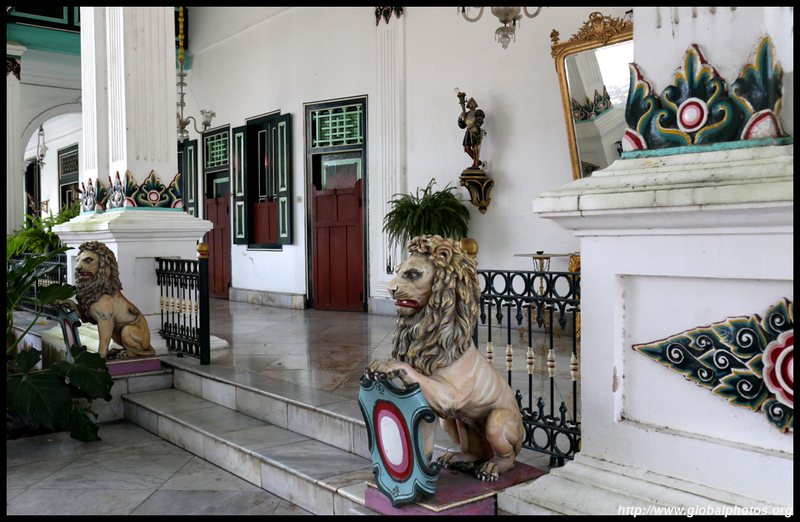 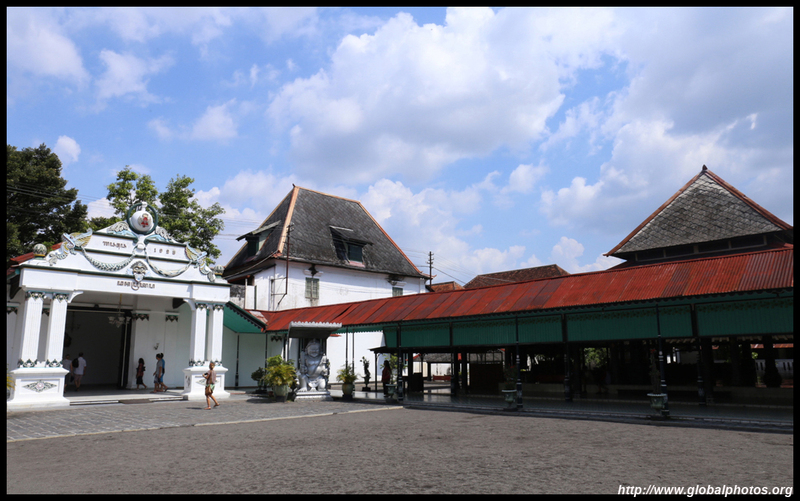 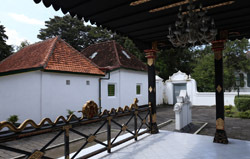 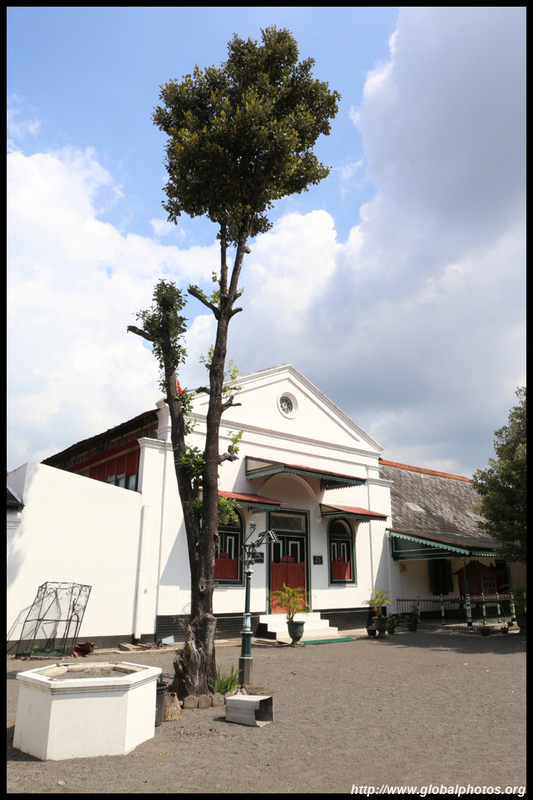 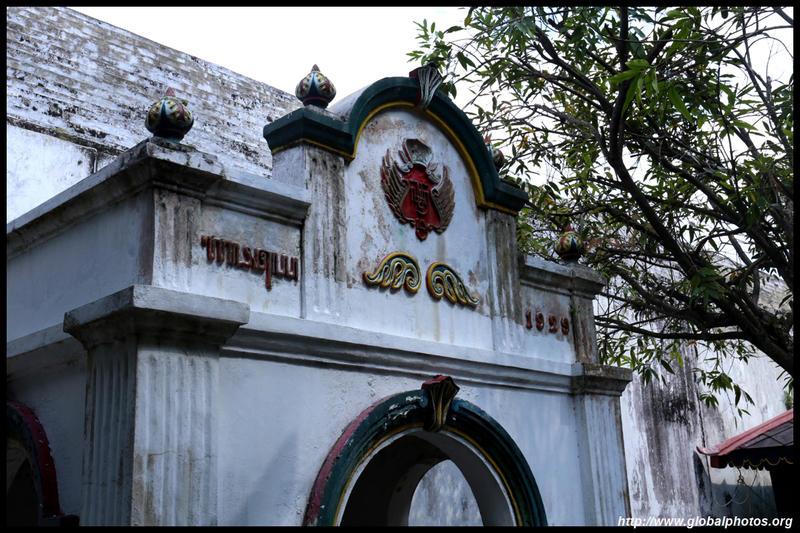 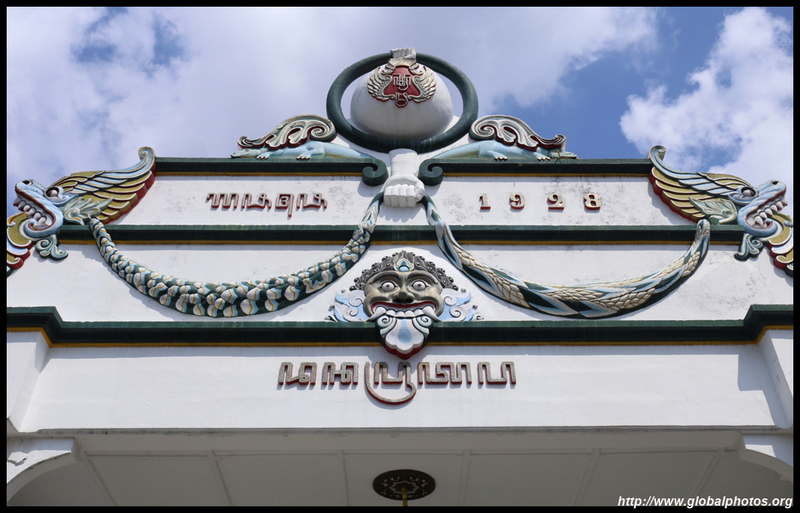 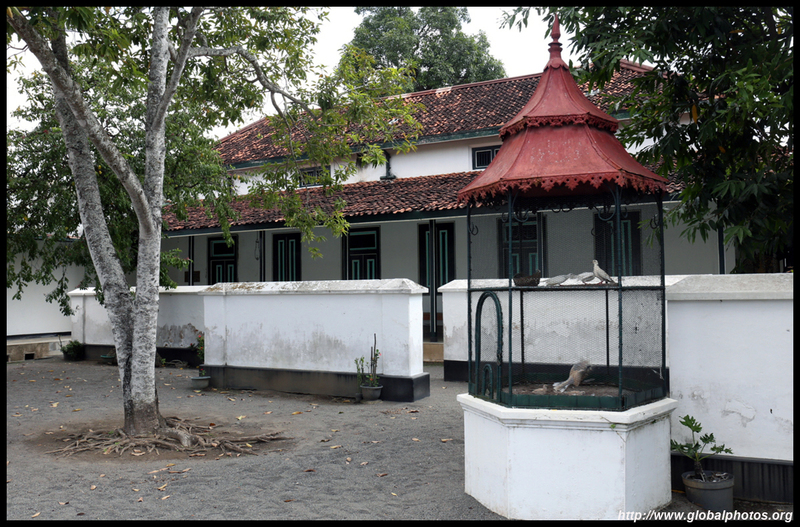 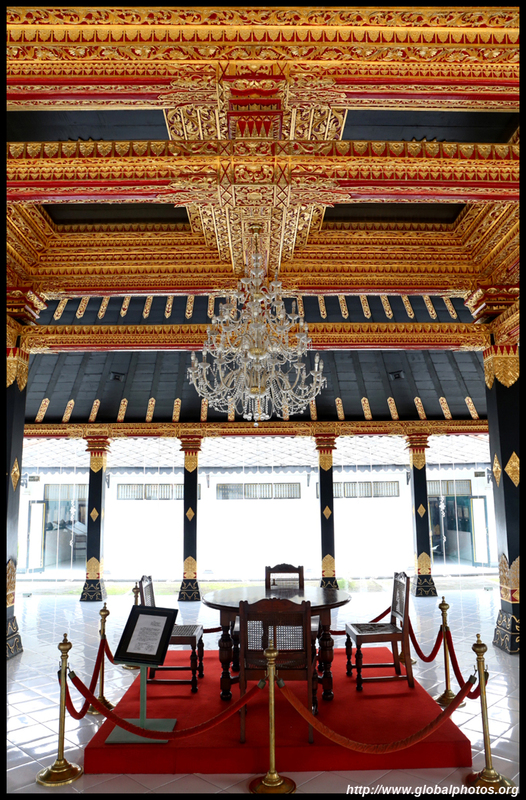 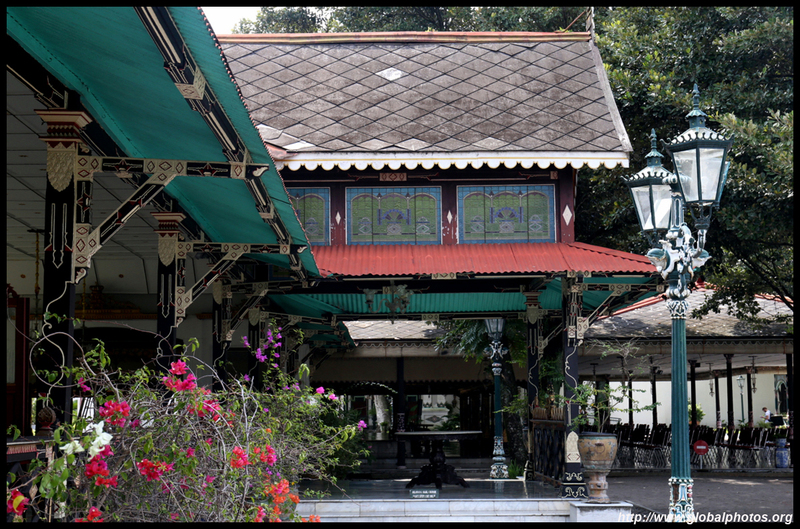 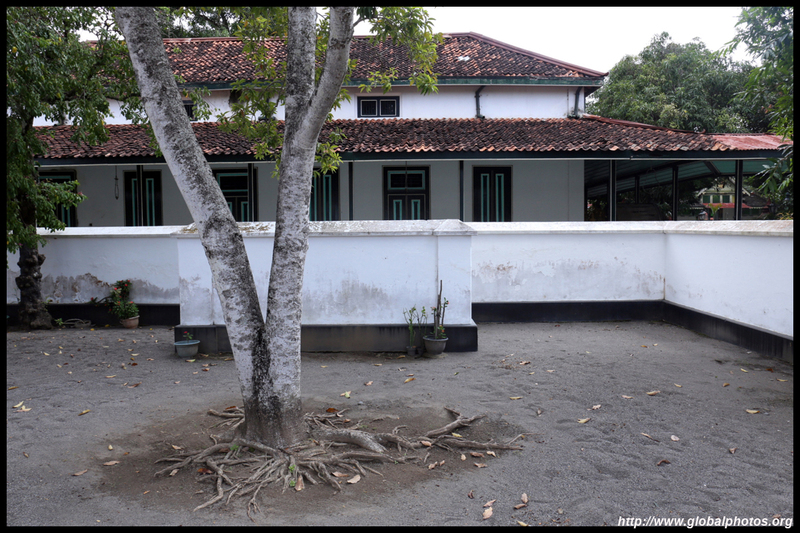 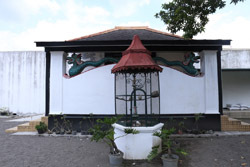 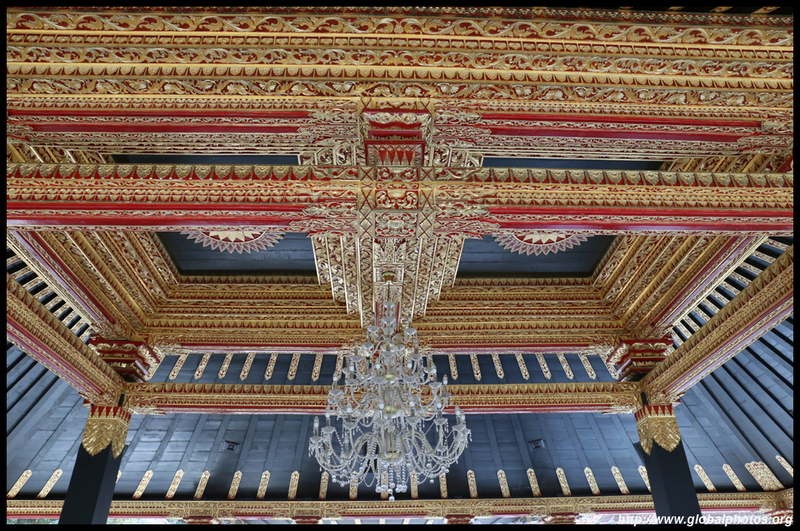 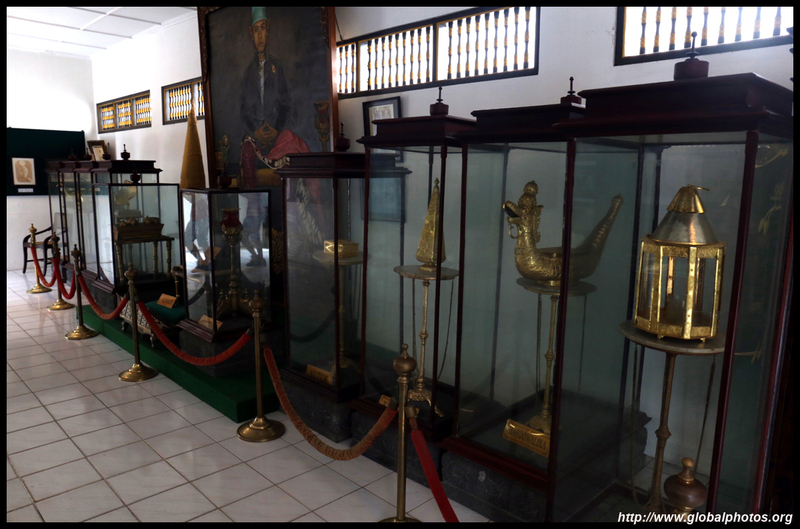 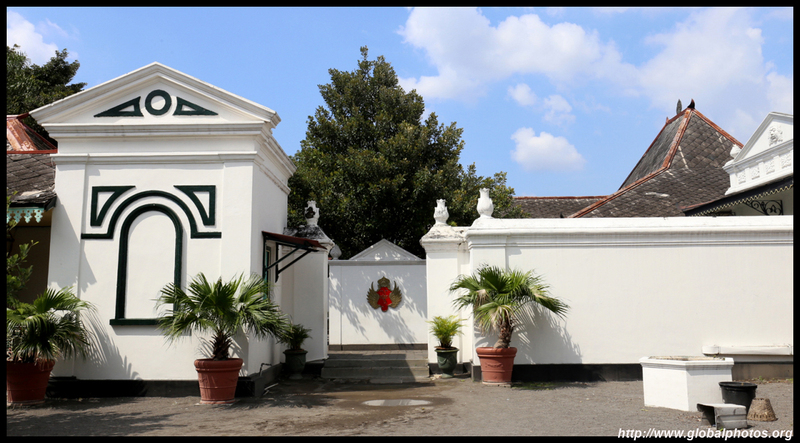 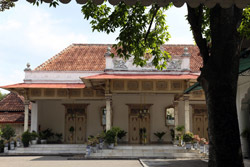 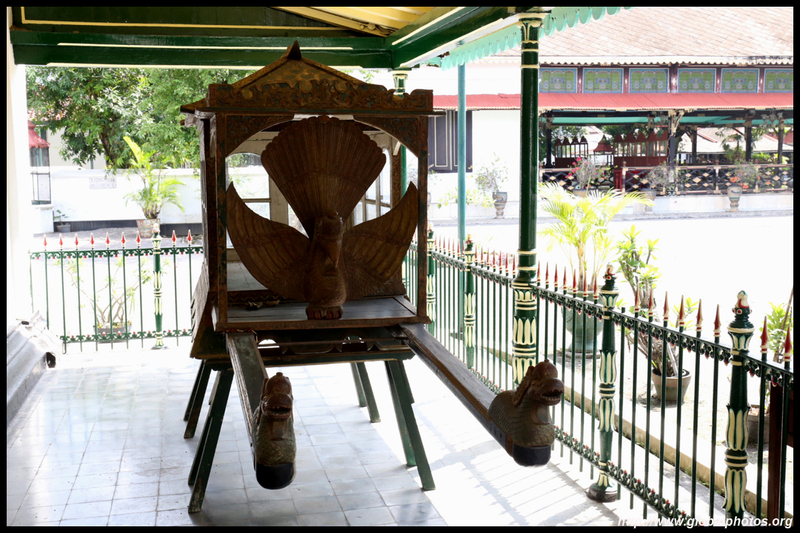 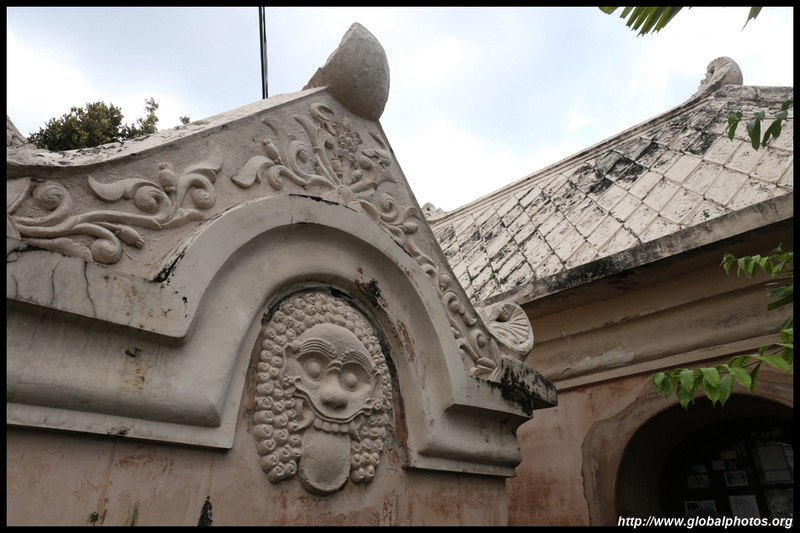 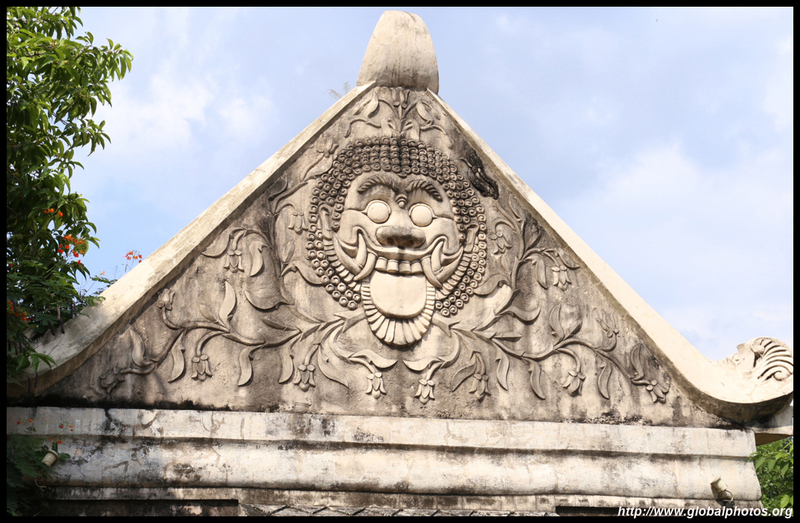 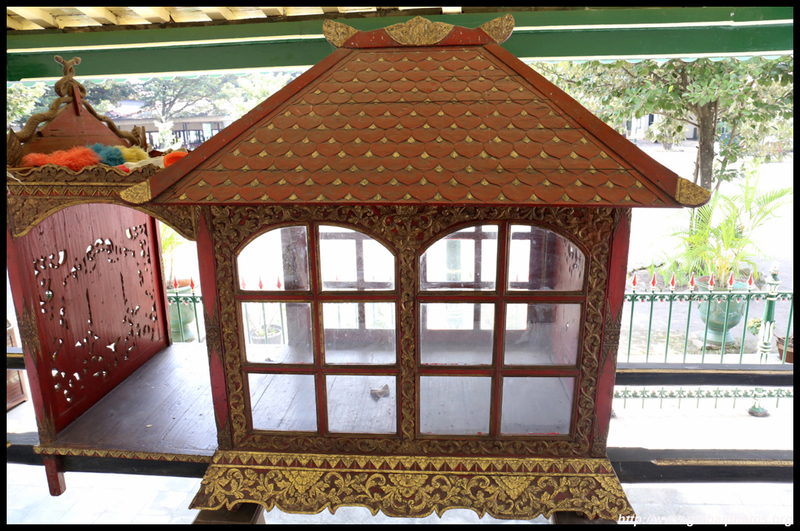 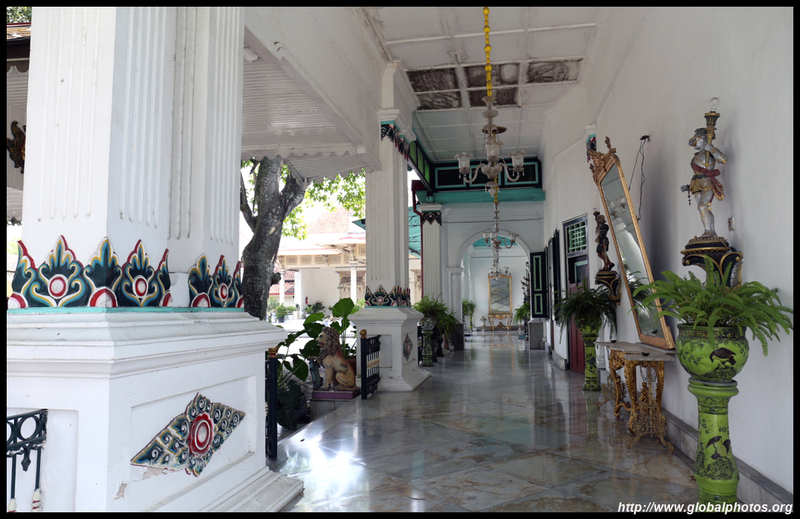 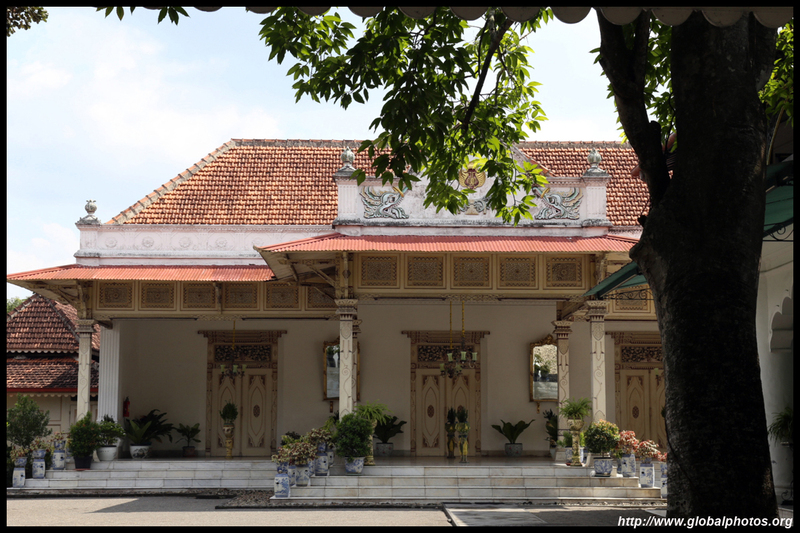 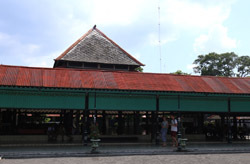 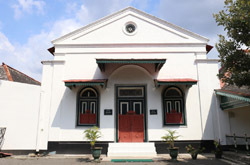 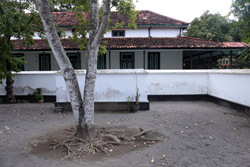 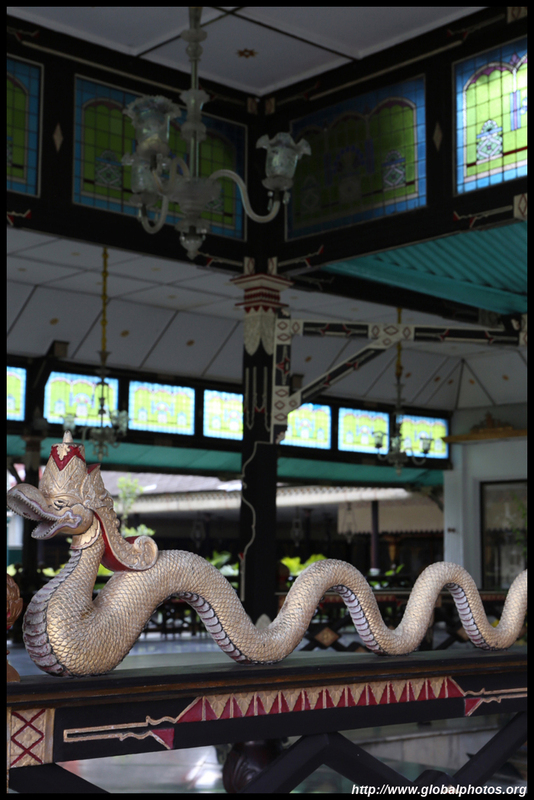 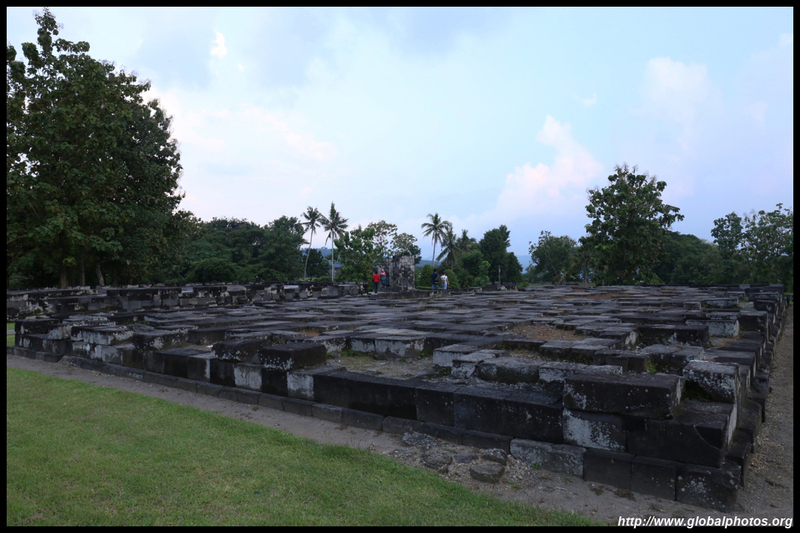 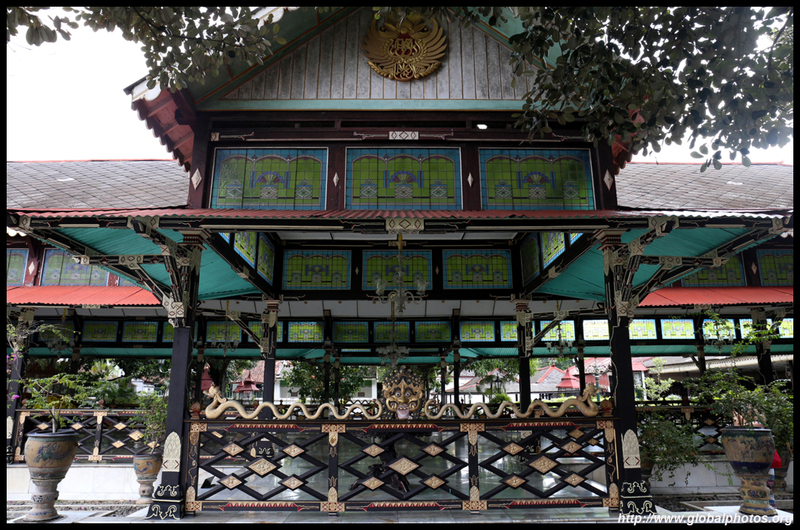 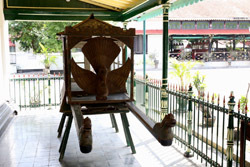 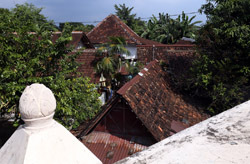 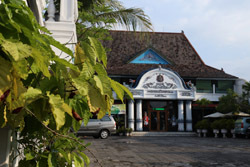 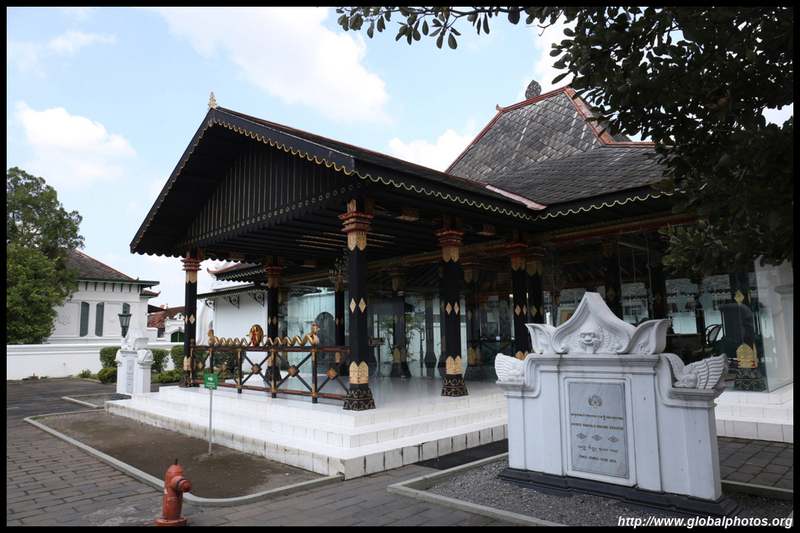 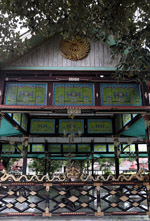 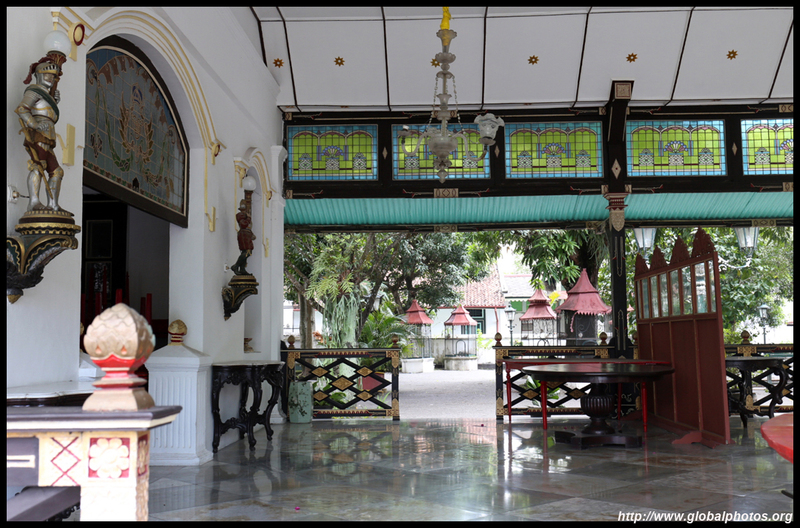 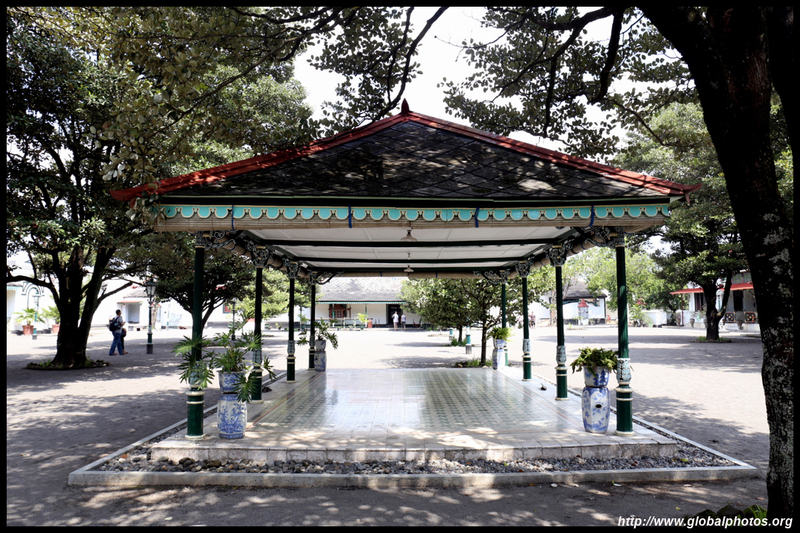 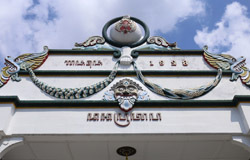 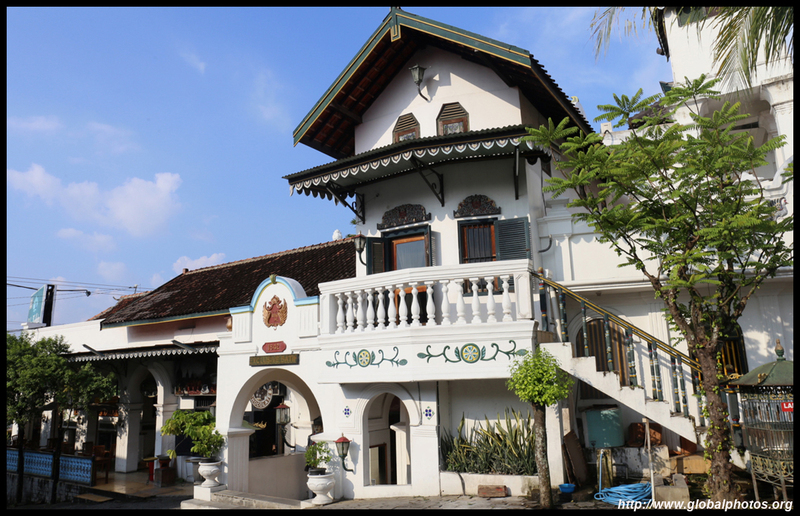 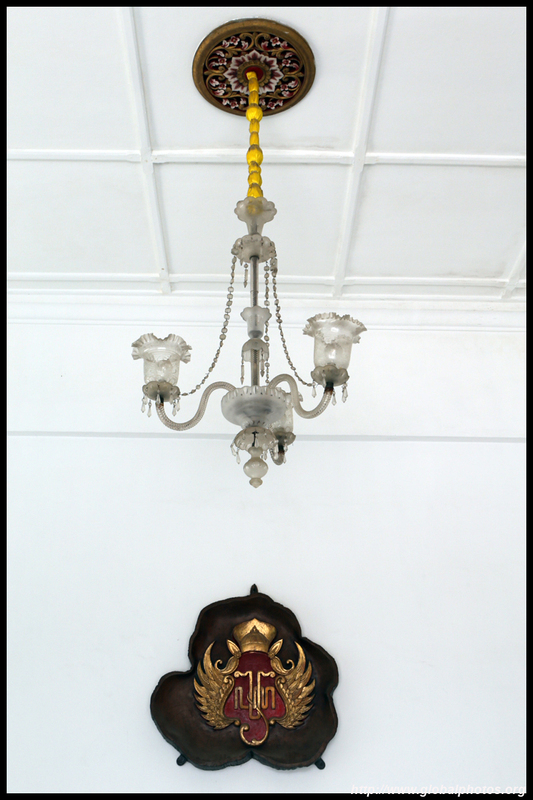 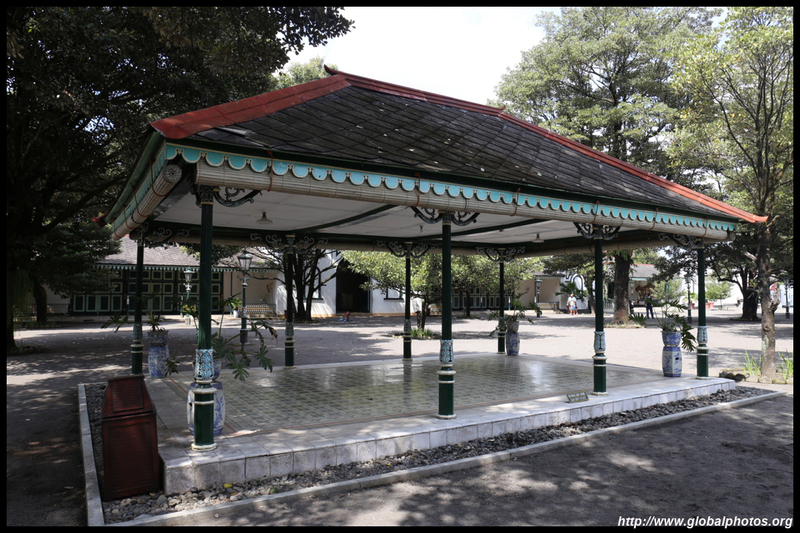 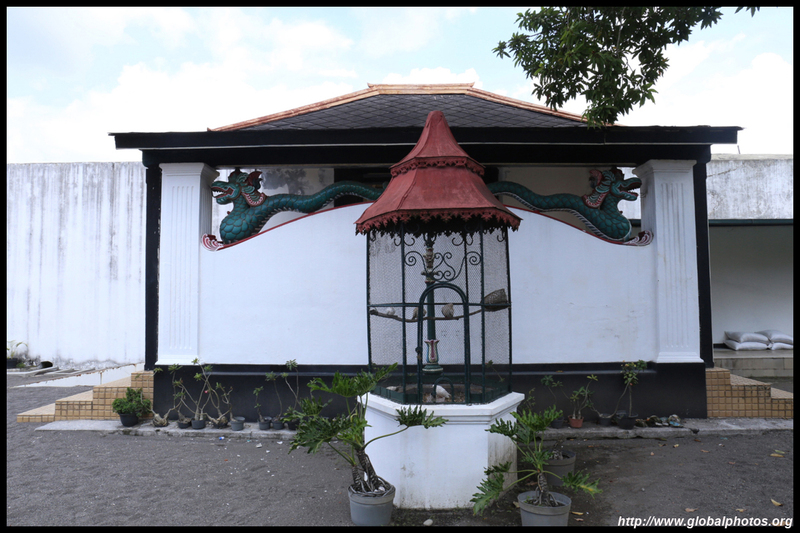 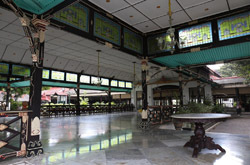 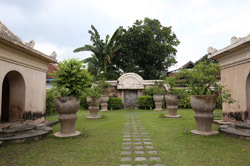 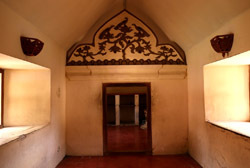 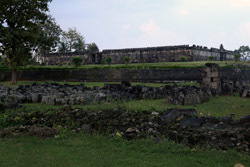 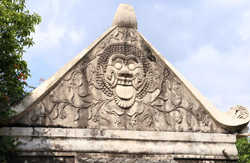 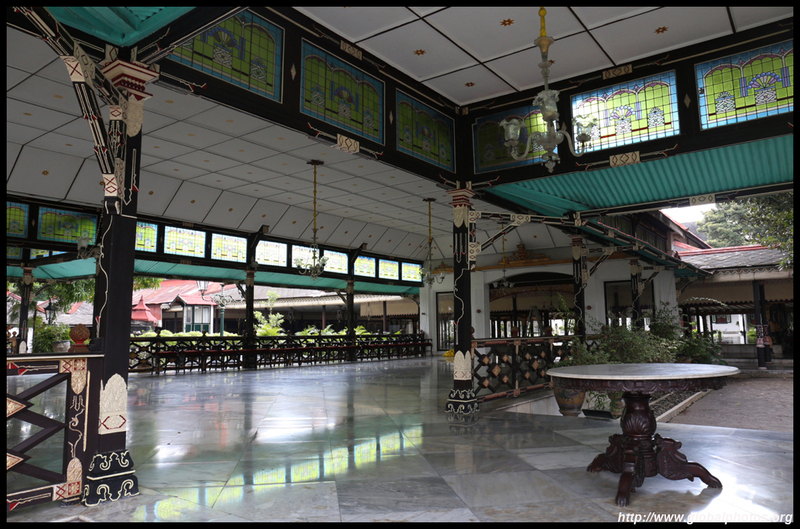 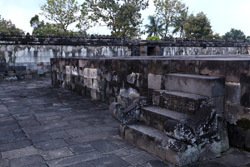 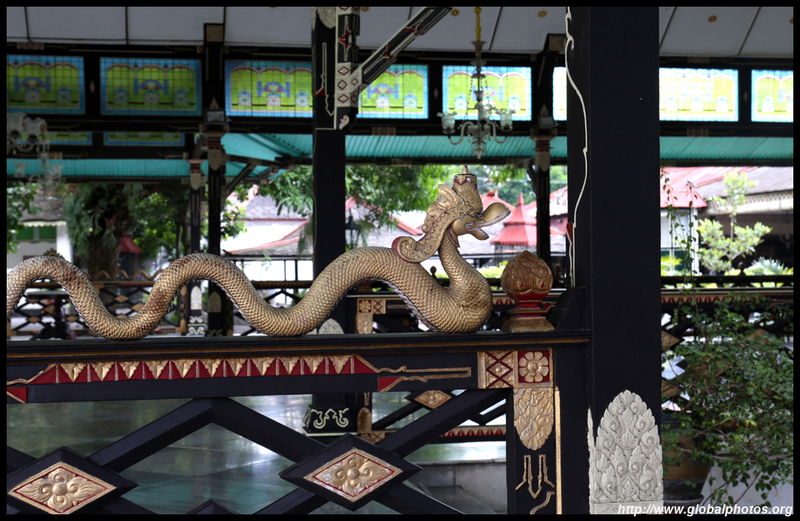 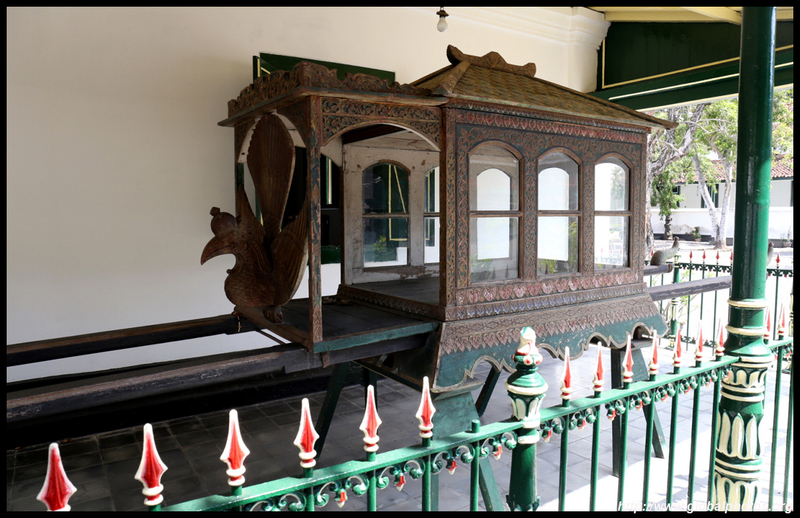 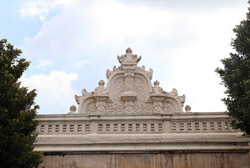 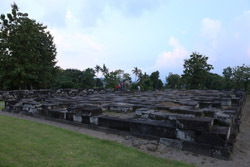 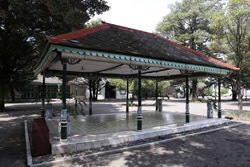 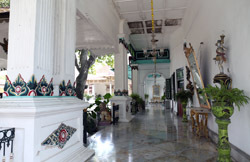 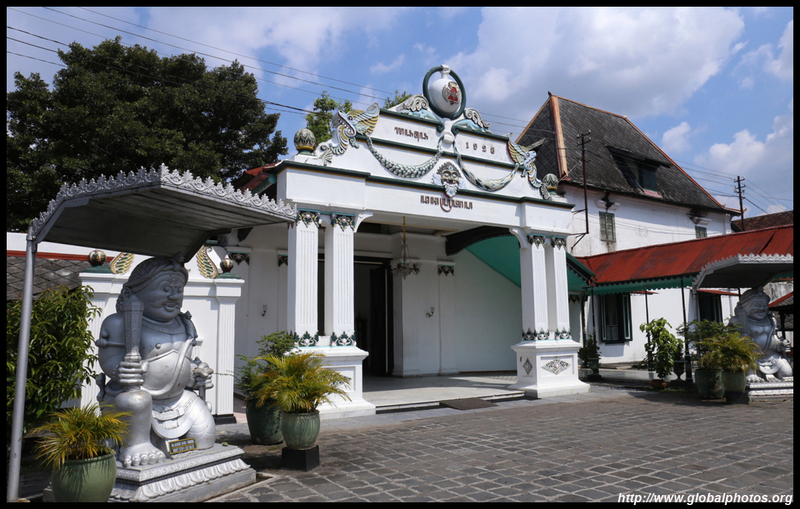 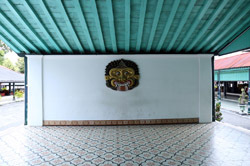 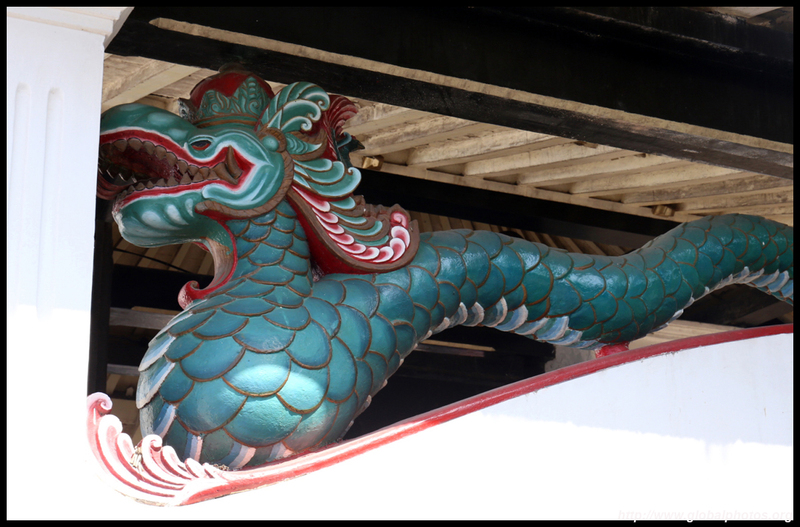 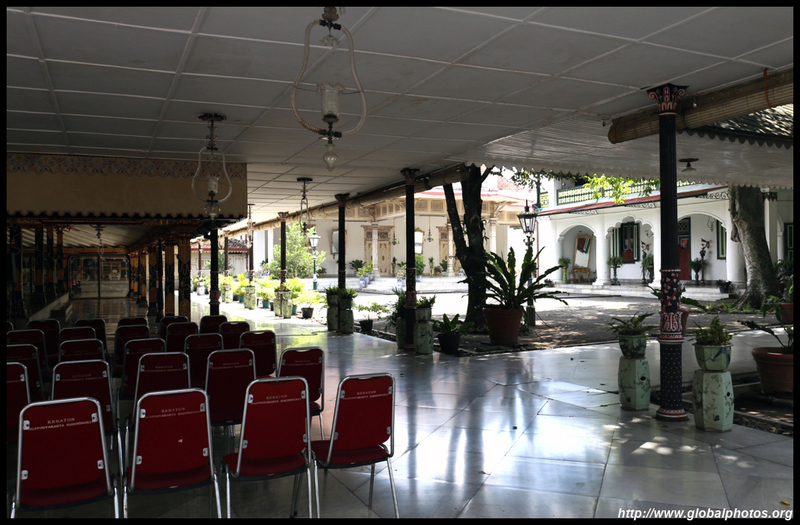 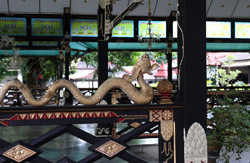 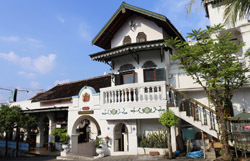 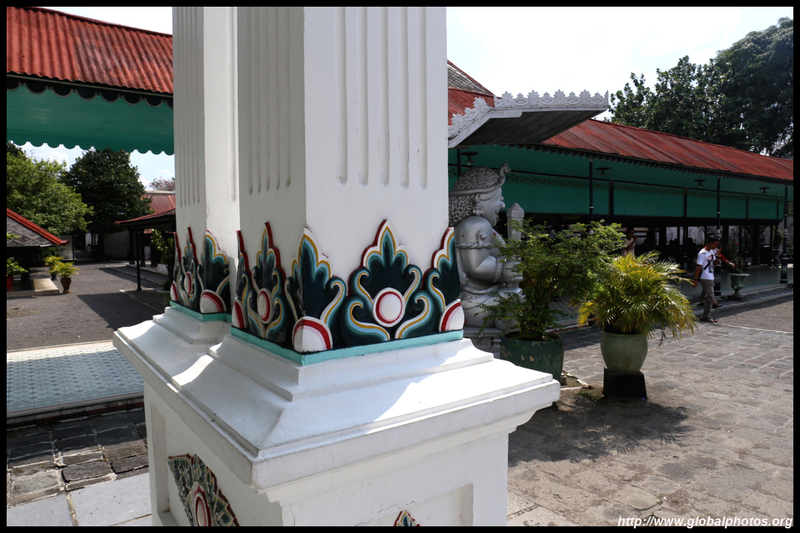 The Kraton is the sultan's palace, built in the 18th century. 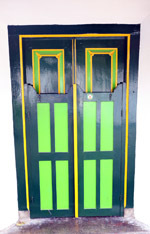 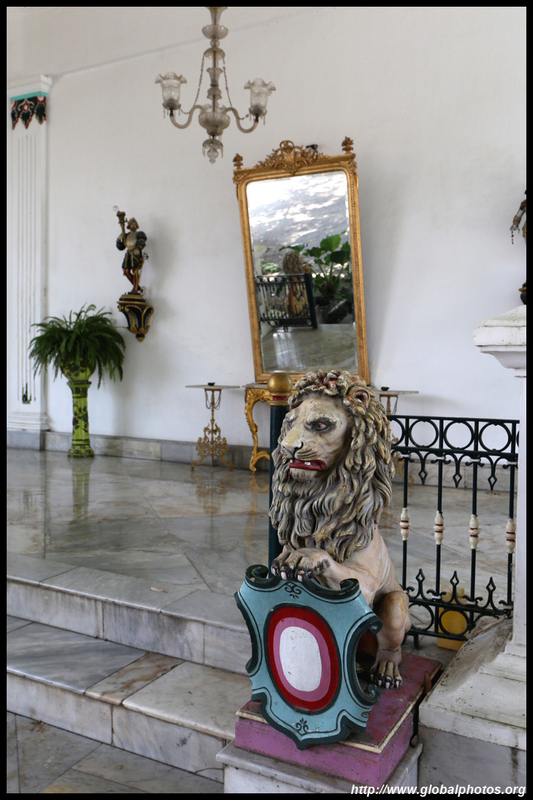 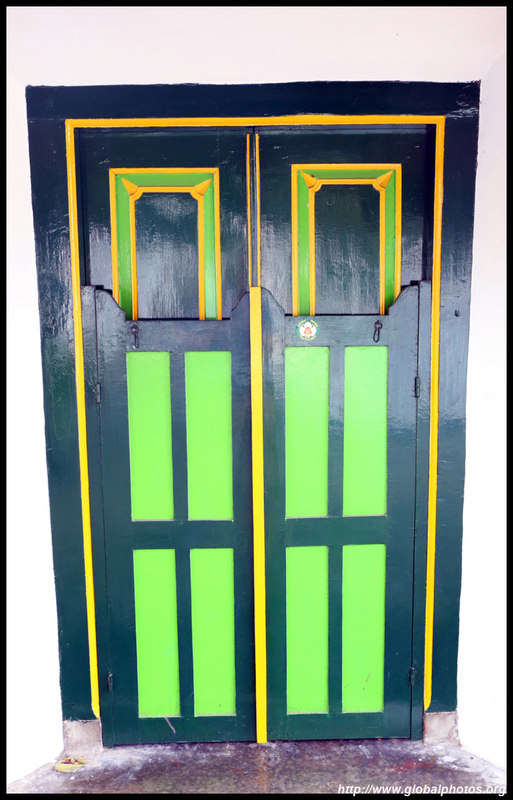 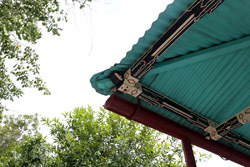 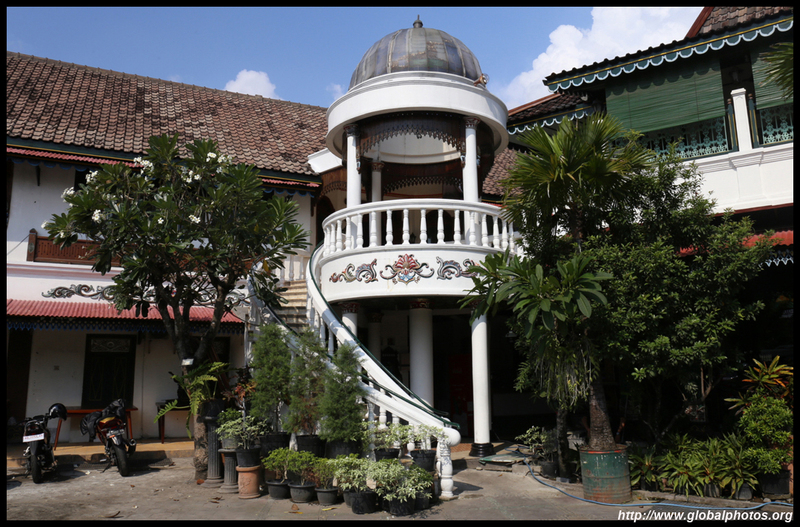 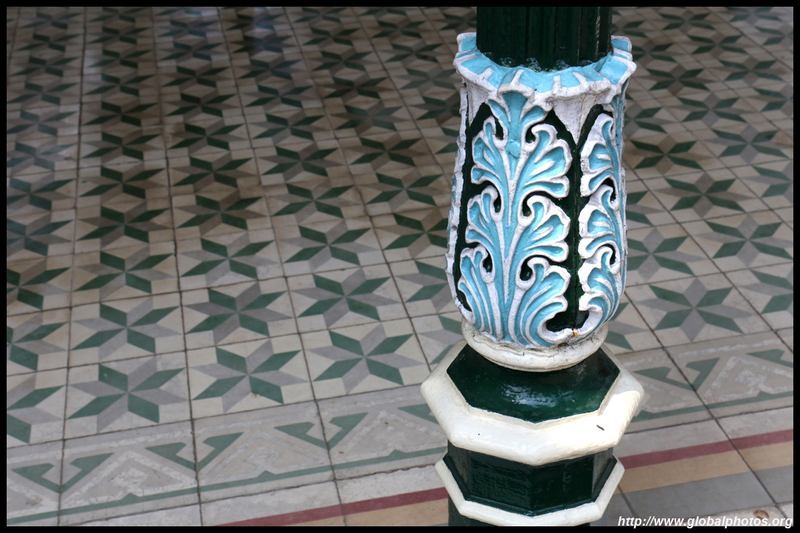 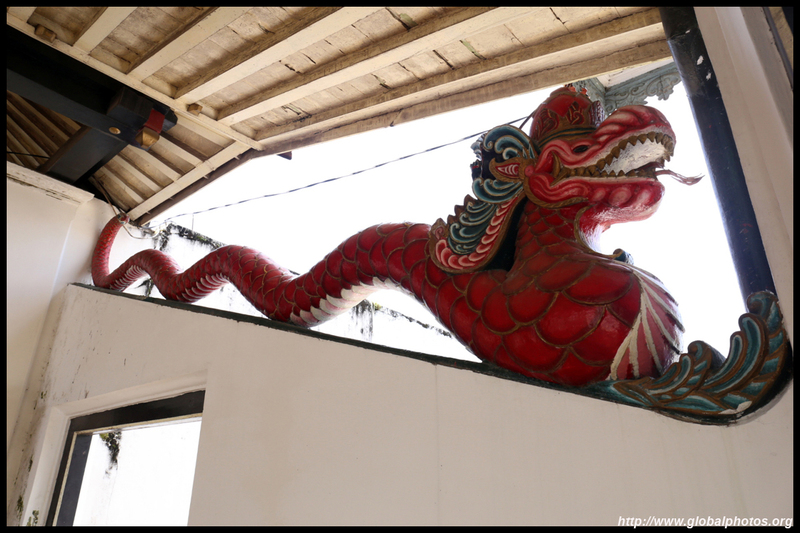 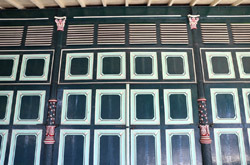 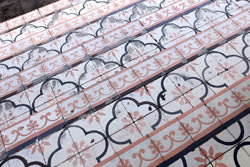 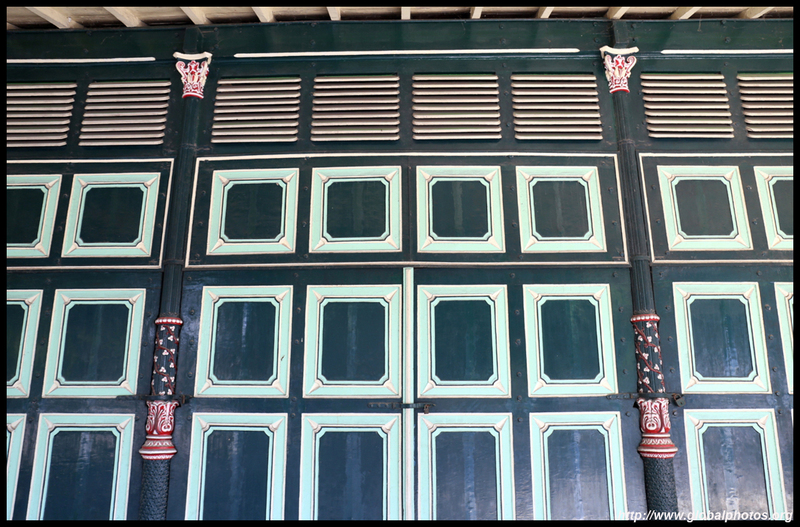 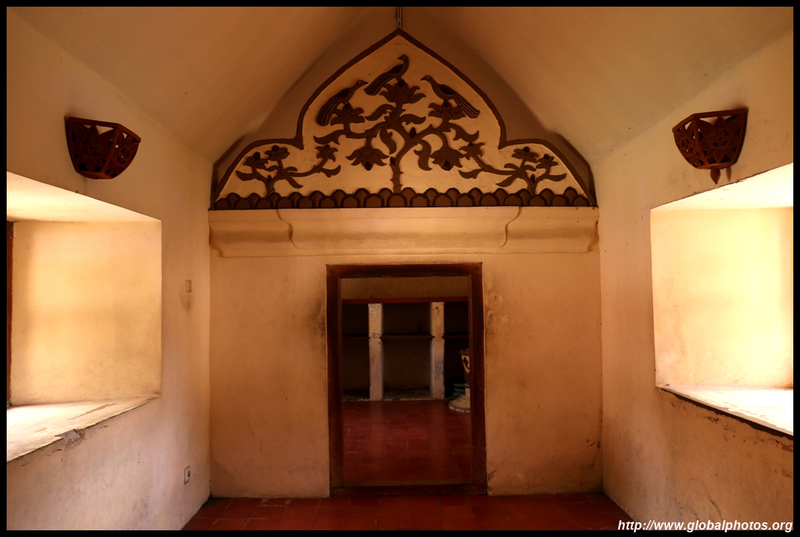 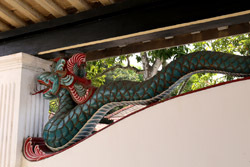 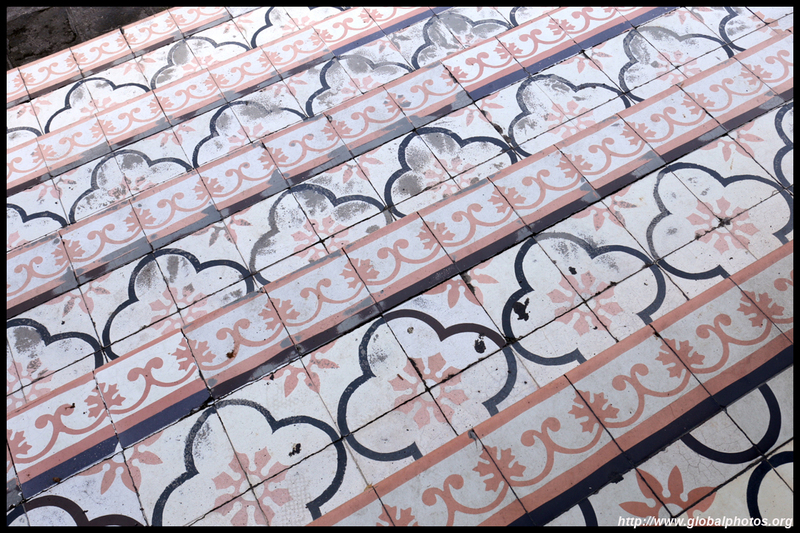 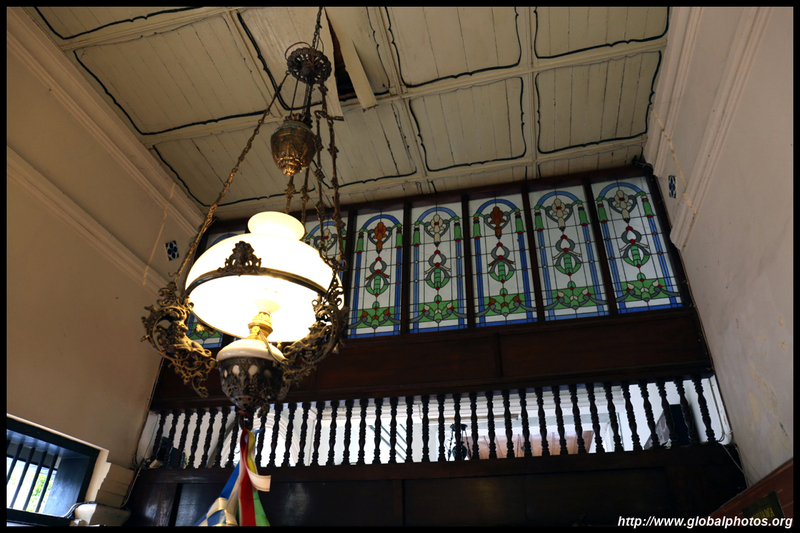 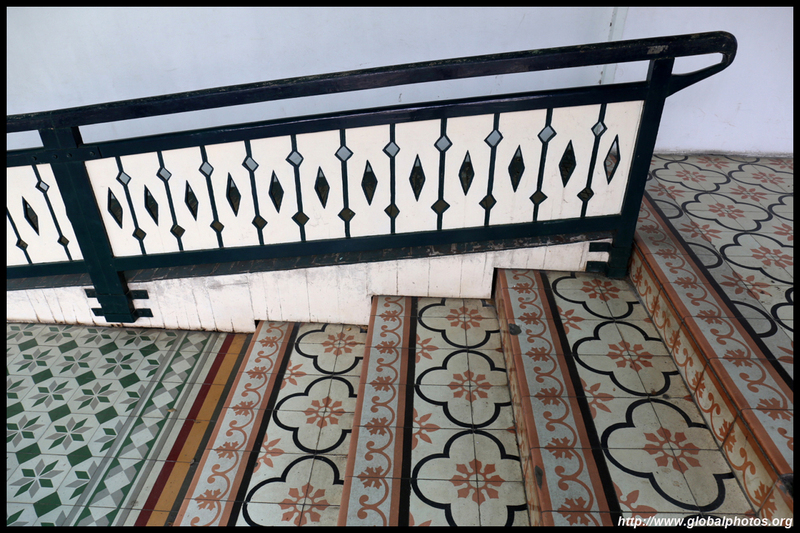 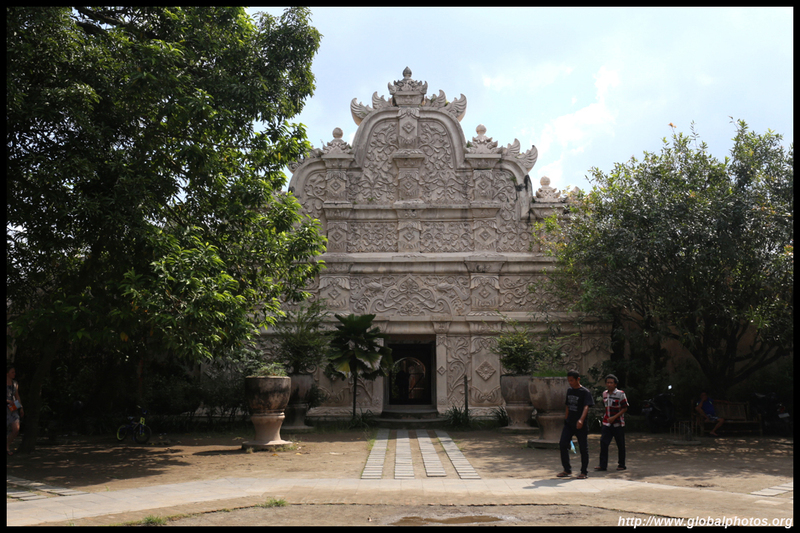 After paying the admission fee and photo ticket, I entered past the doors to see a simply-decorated et of buildings, open and airy to fit into the tropical atmosphere. 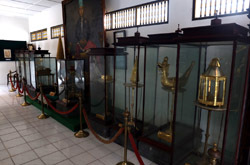 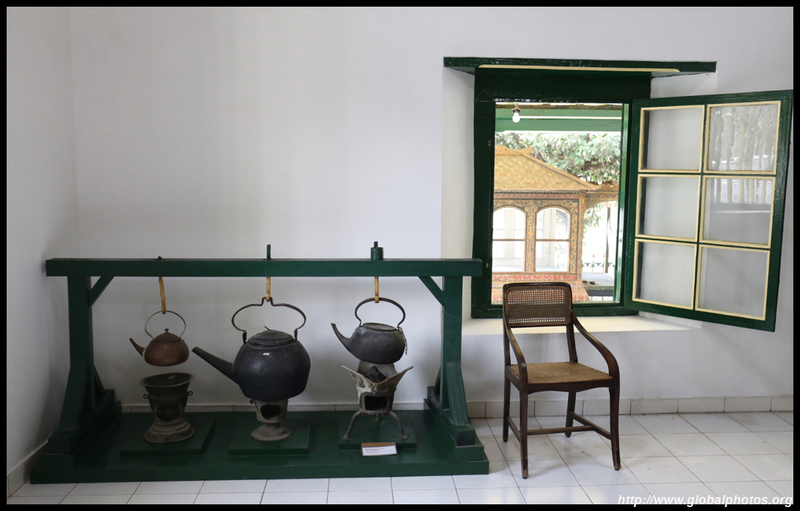 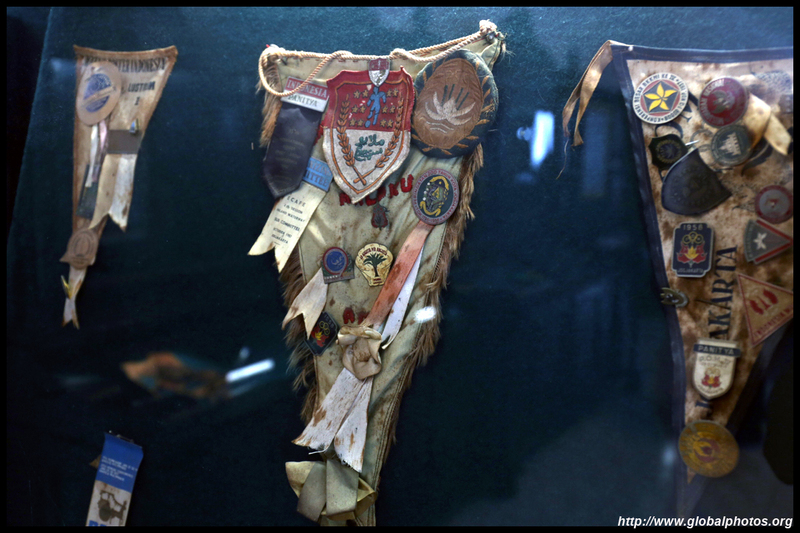 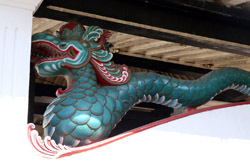 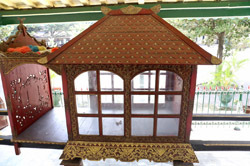 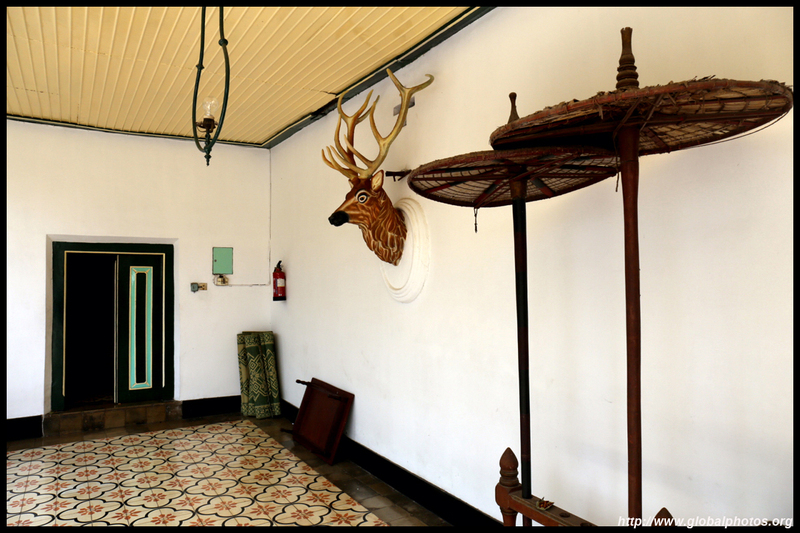 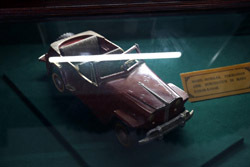 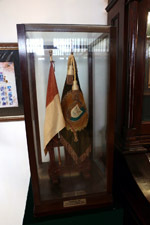 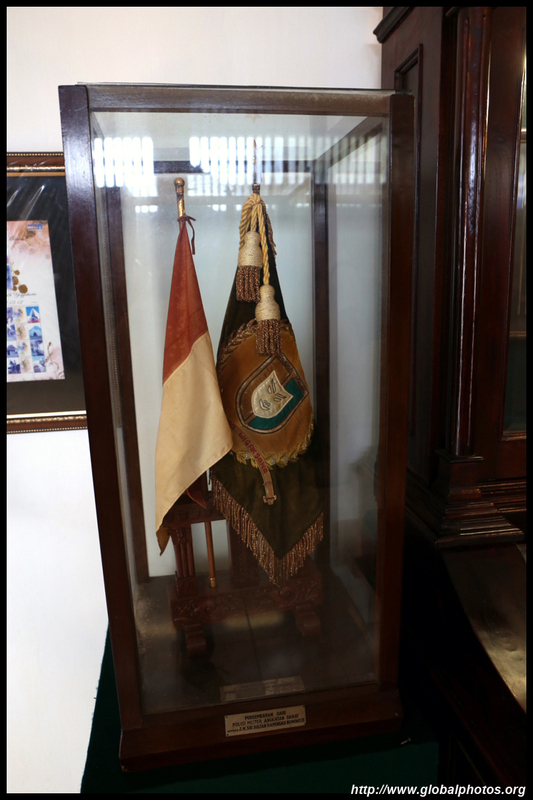 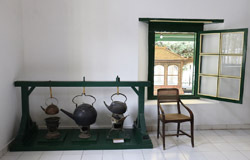 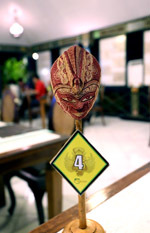 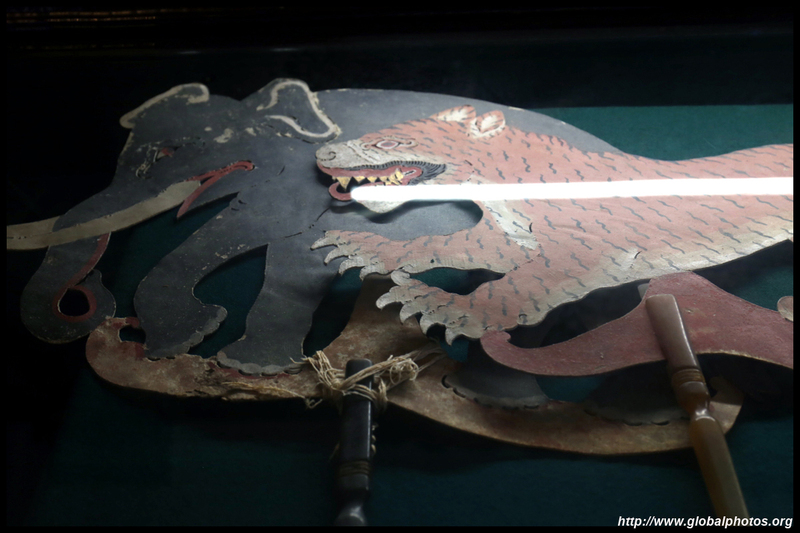 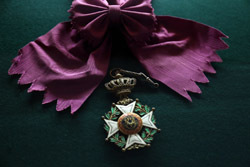 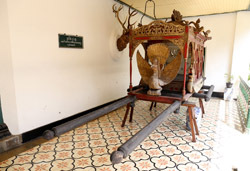 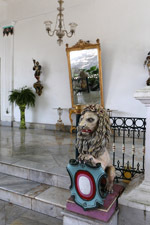 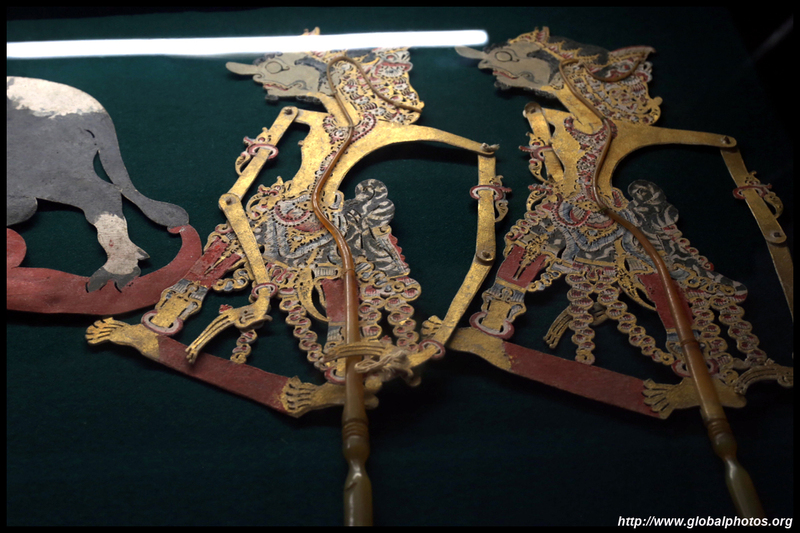 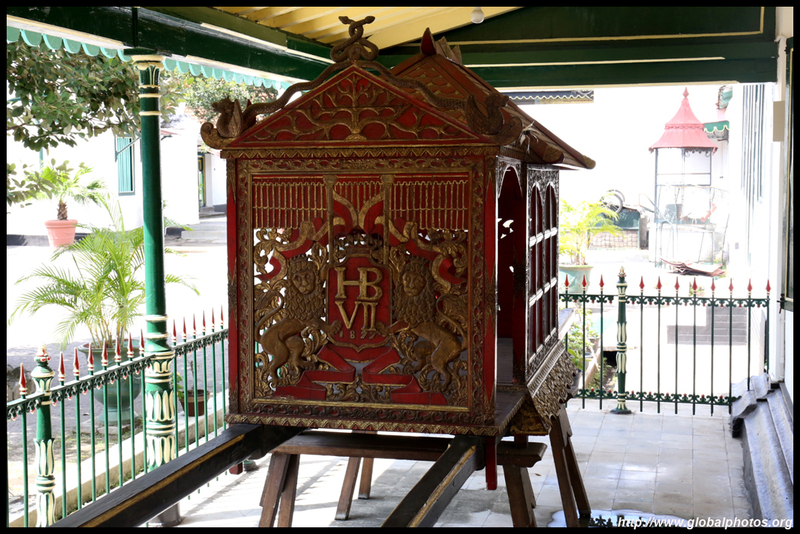 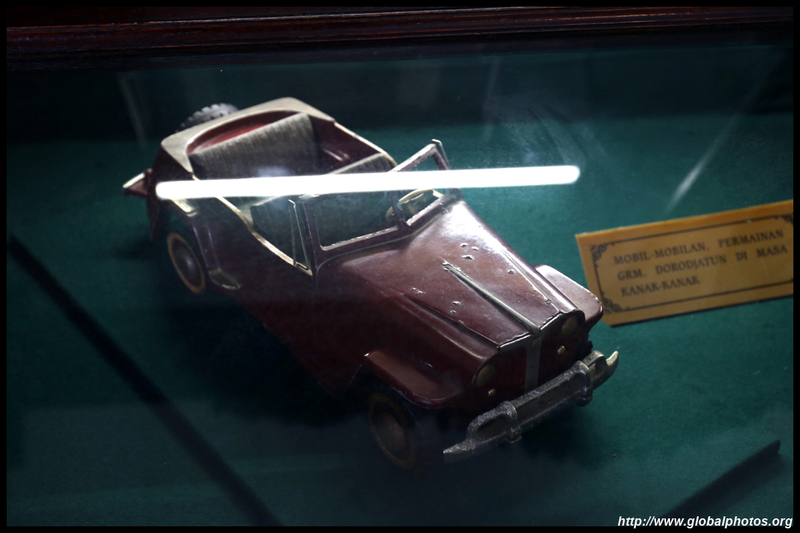 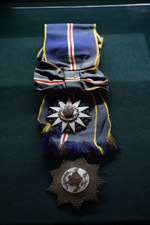 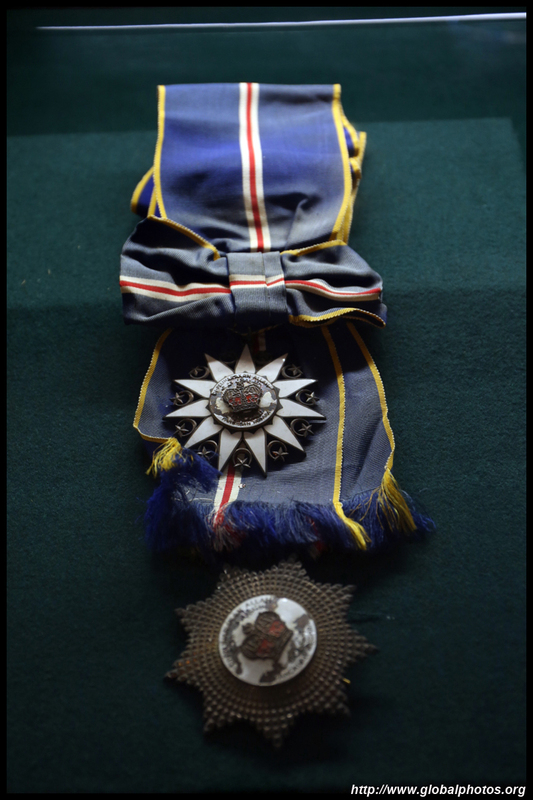 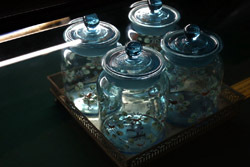 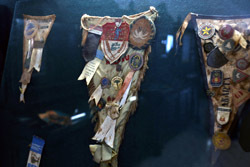 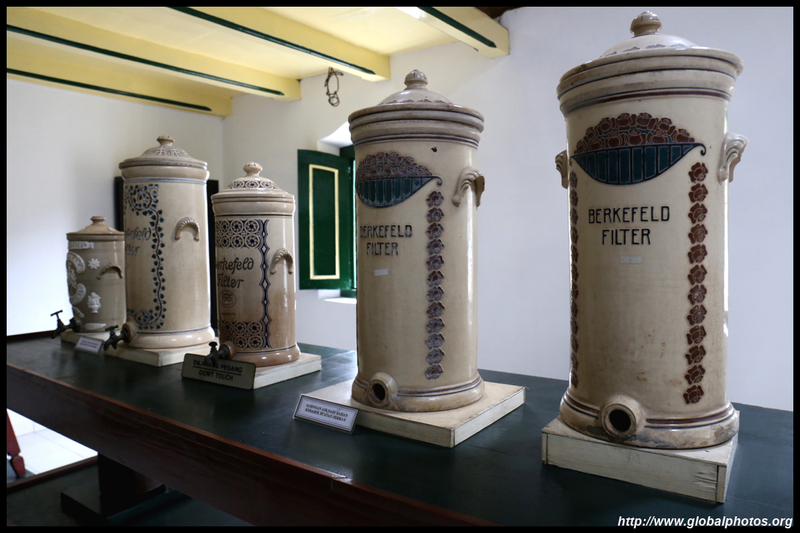 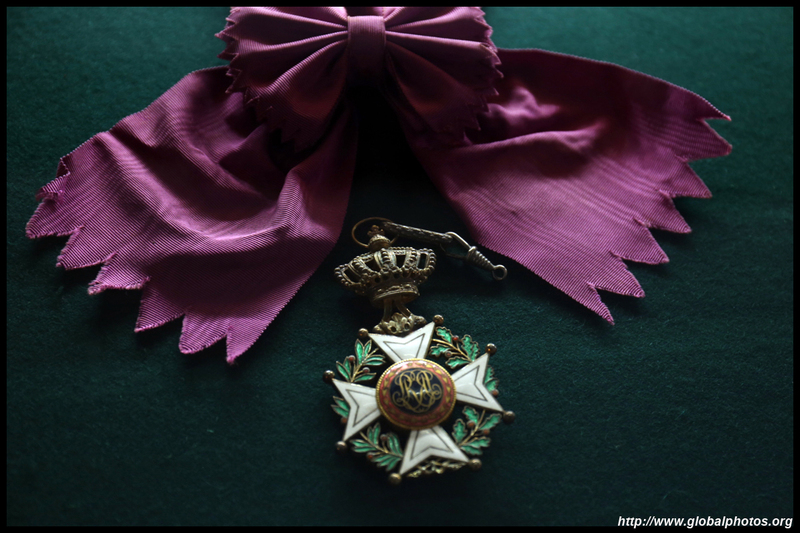 A simple museum showcases various artifacts, including some of European origin. 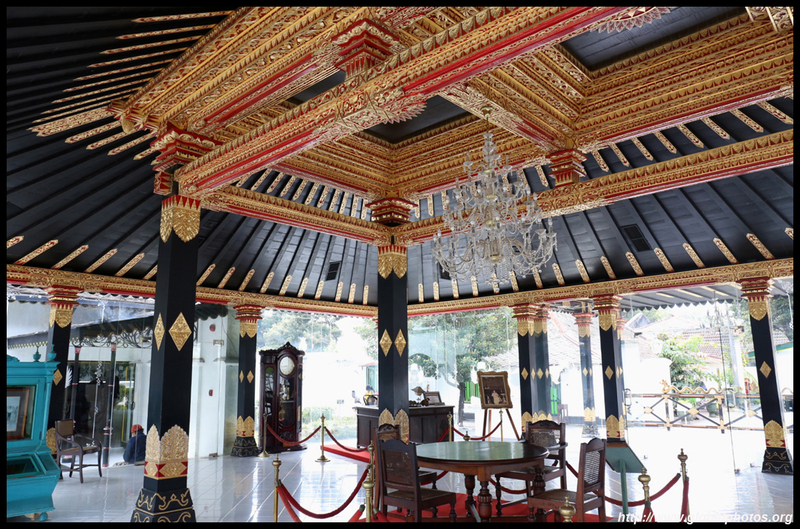 This modern and colourful building looks far more luxurious than the other parts of the palace. 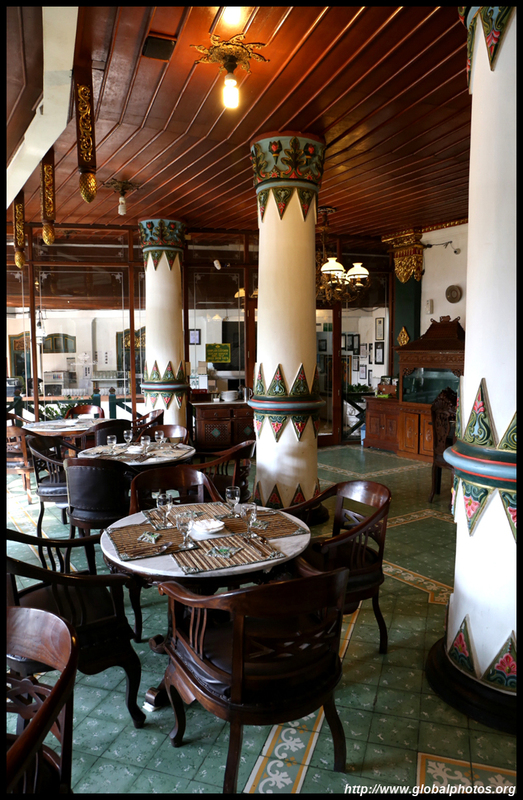 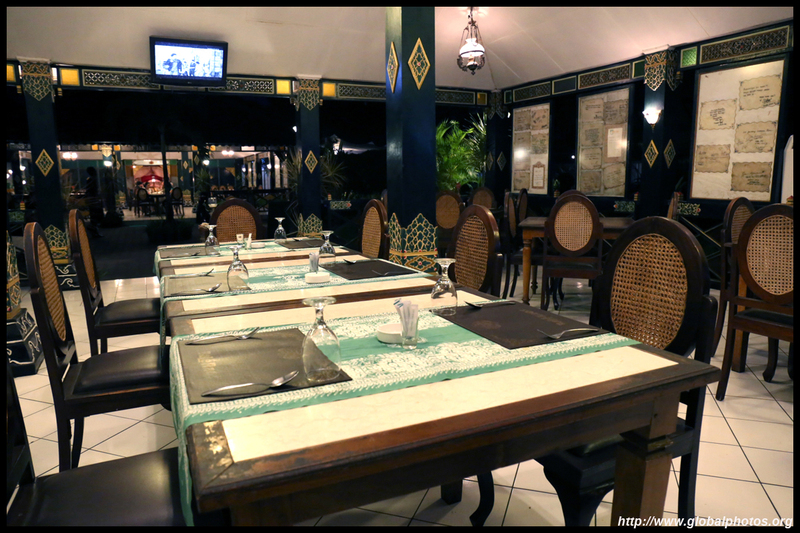 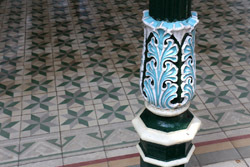 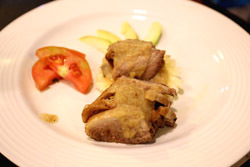 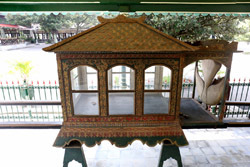 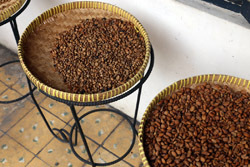 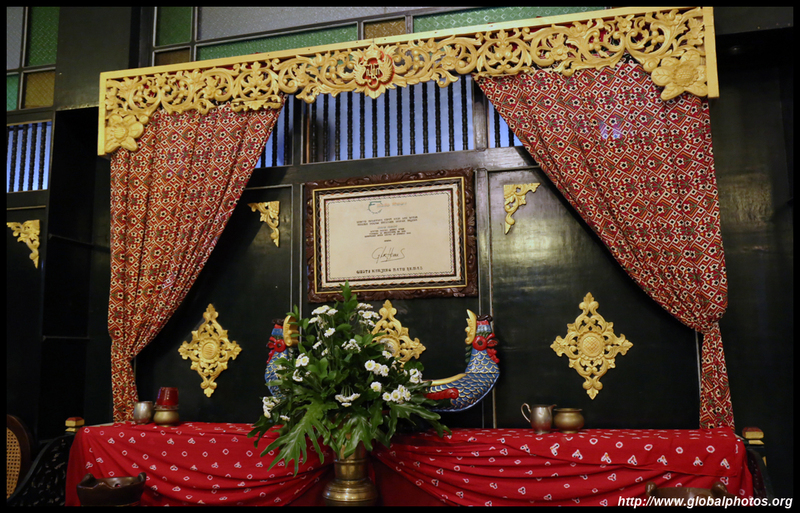 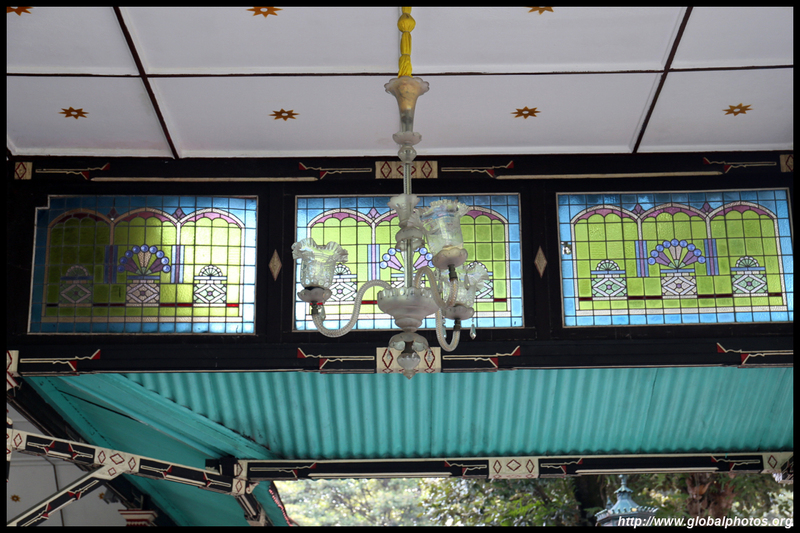 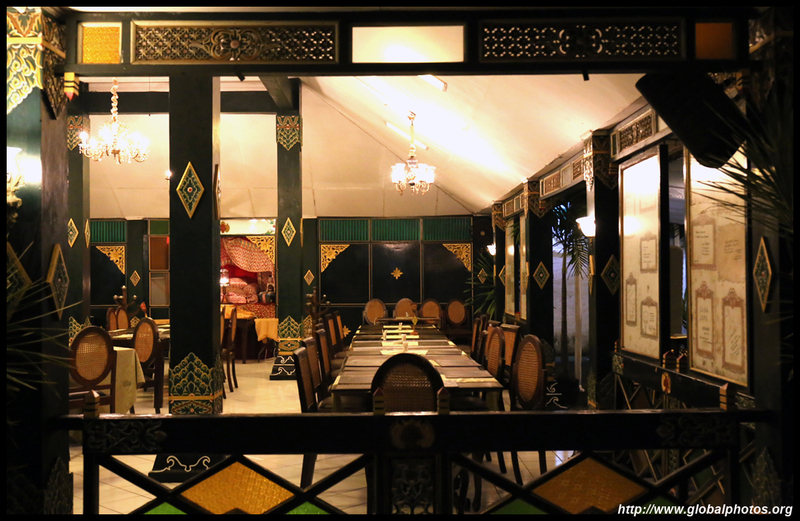 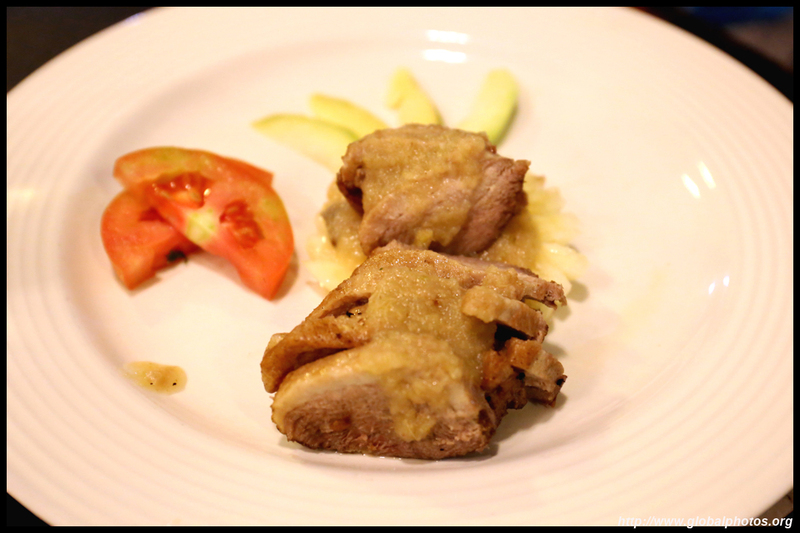 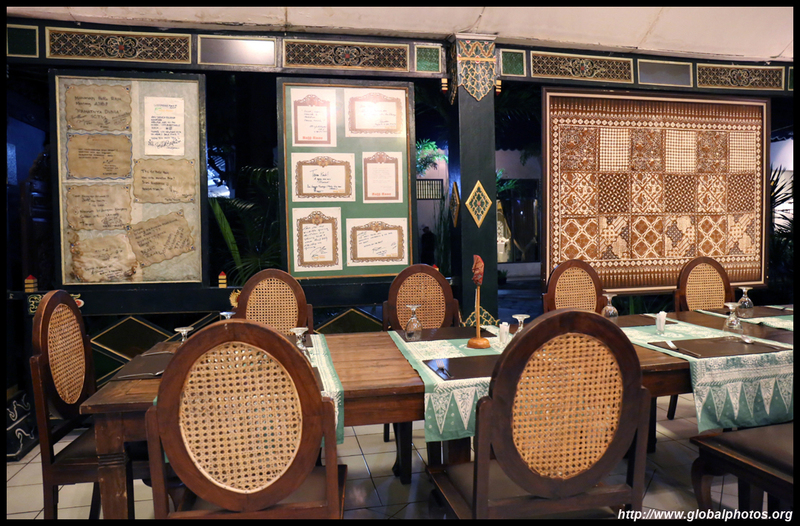 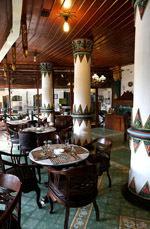 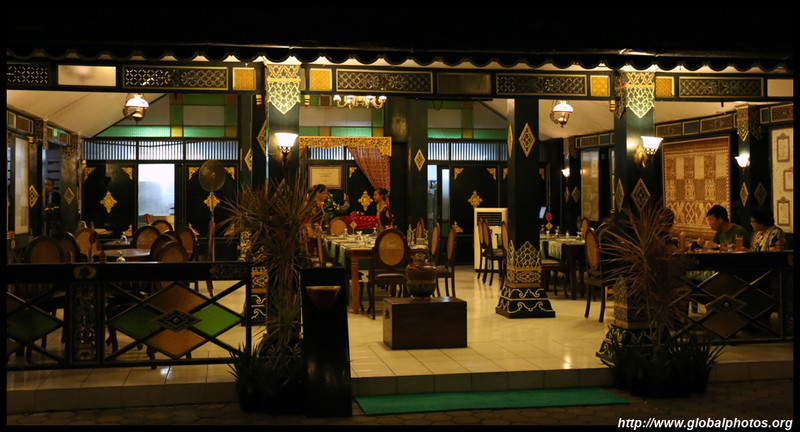 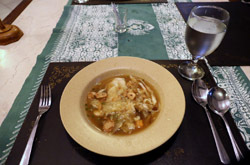 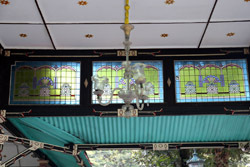 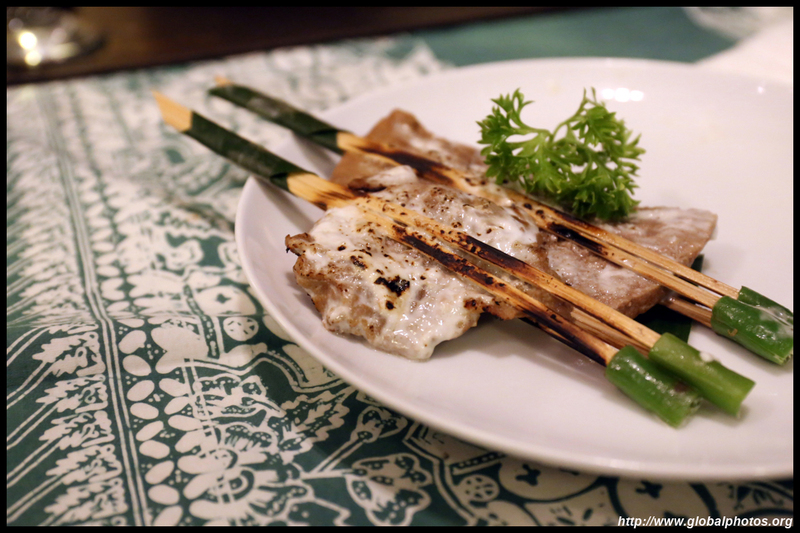 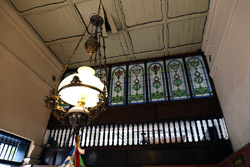 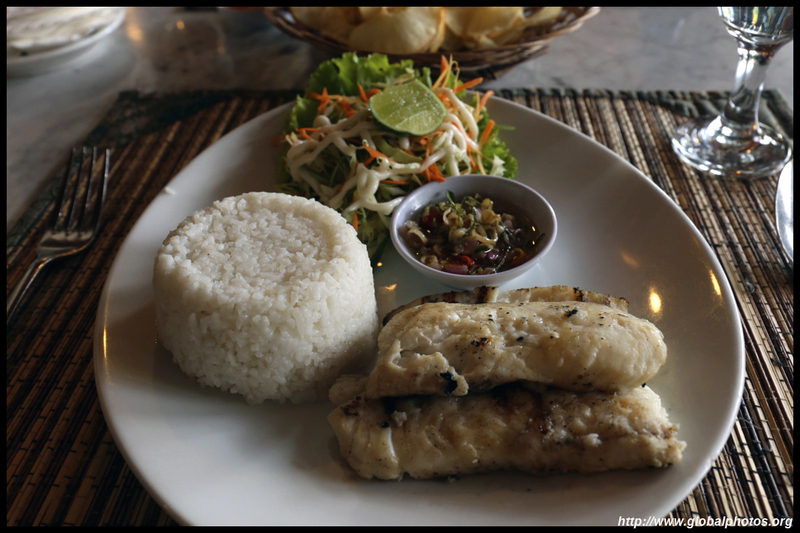 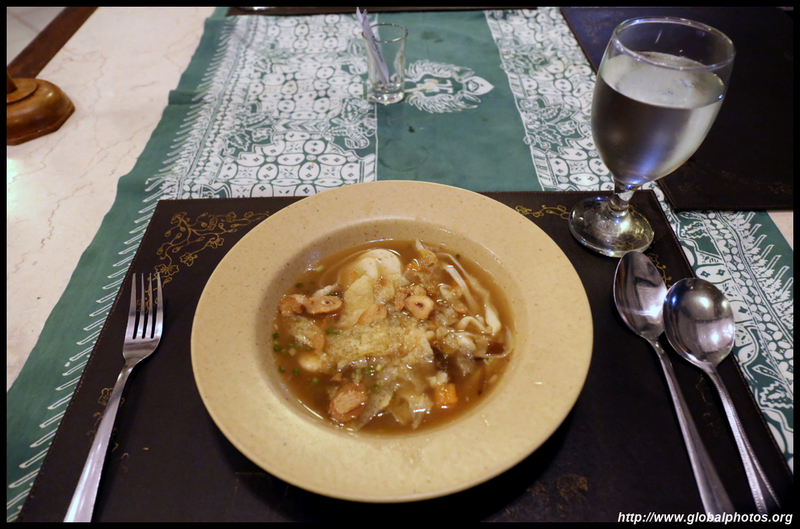 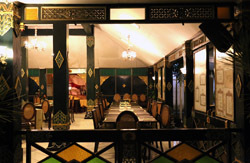 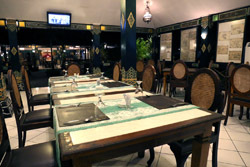 The palace has a restaurant that serves the various sultans' favourites. 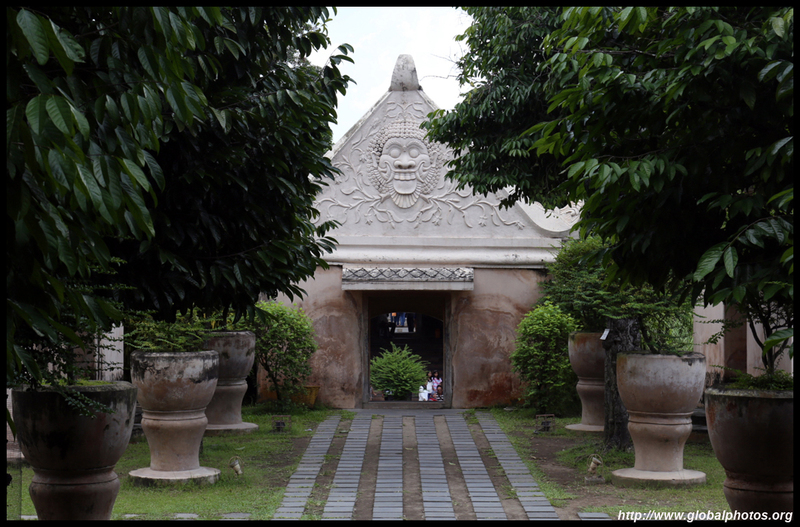 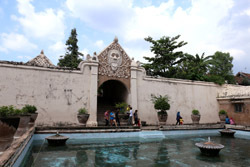 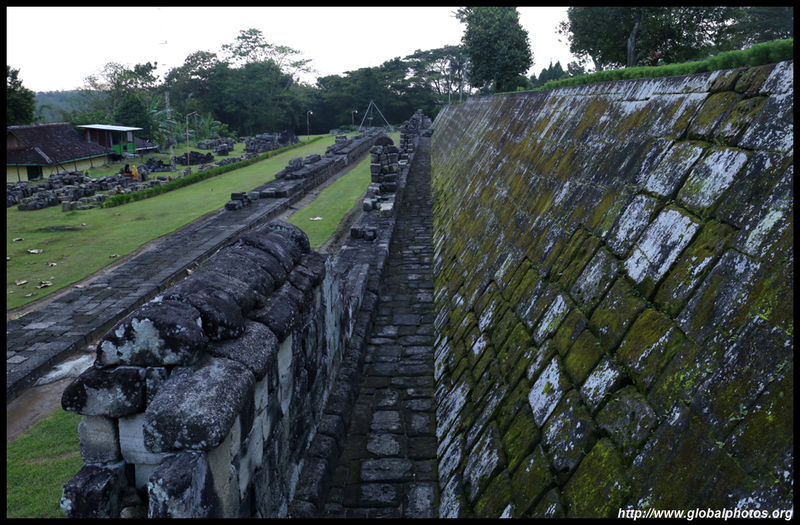 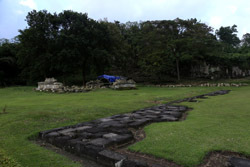 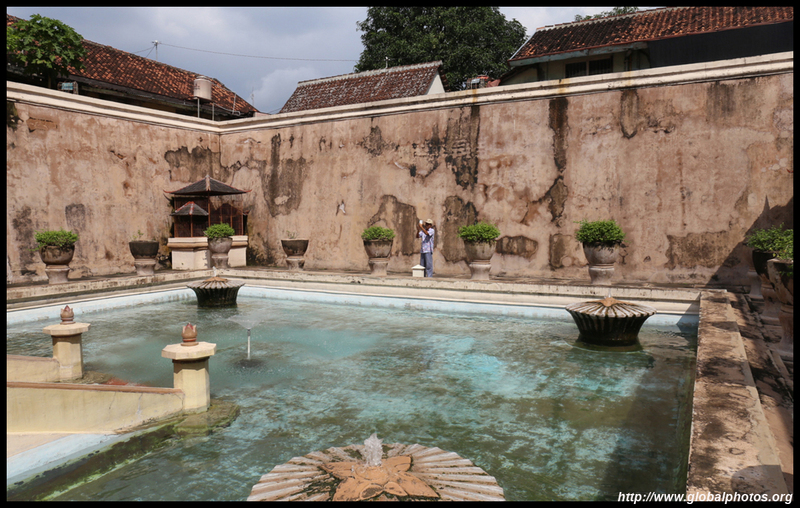 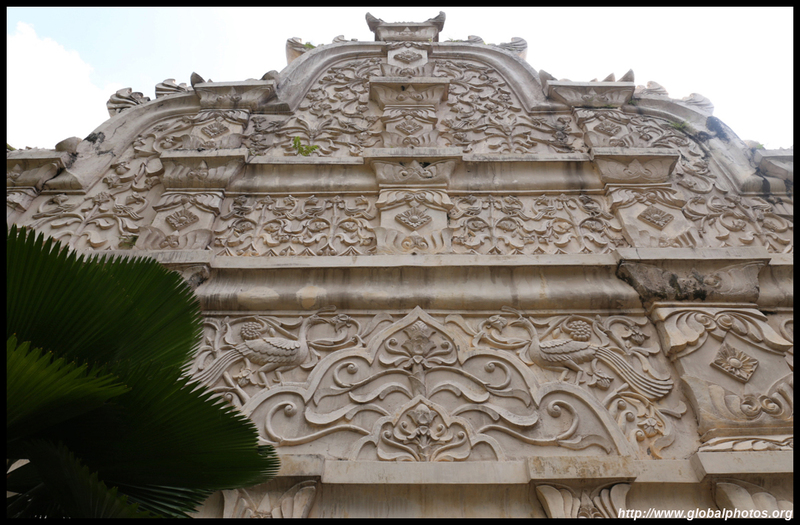 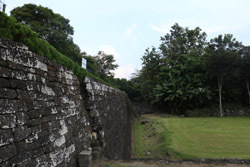 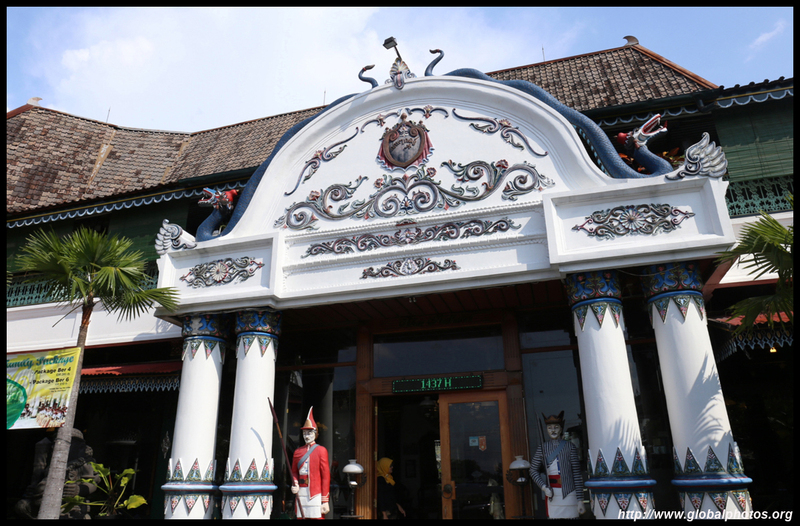 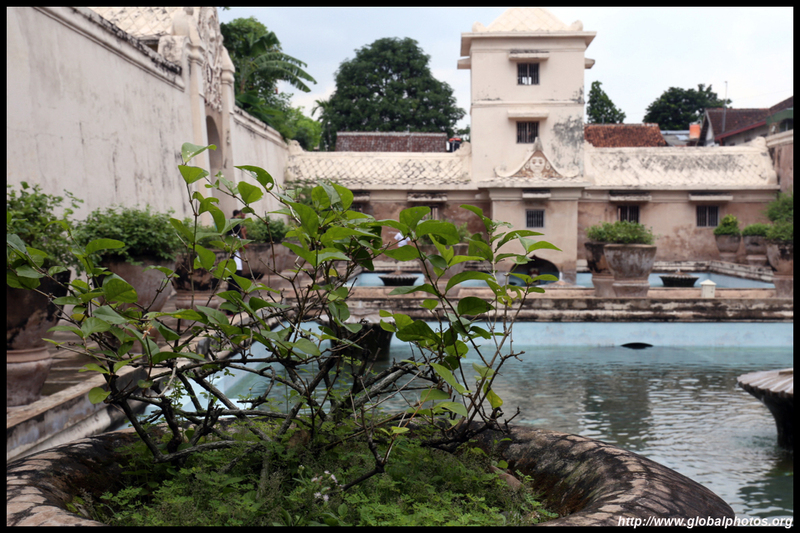 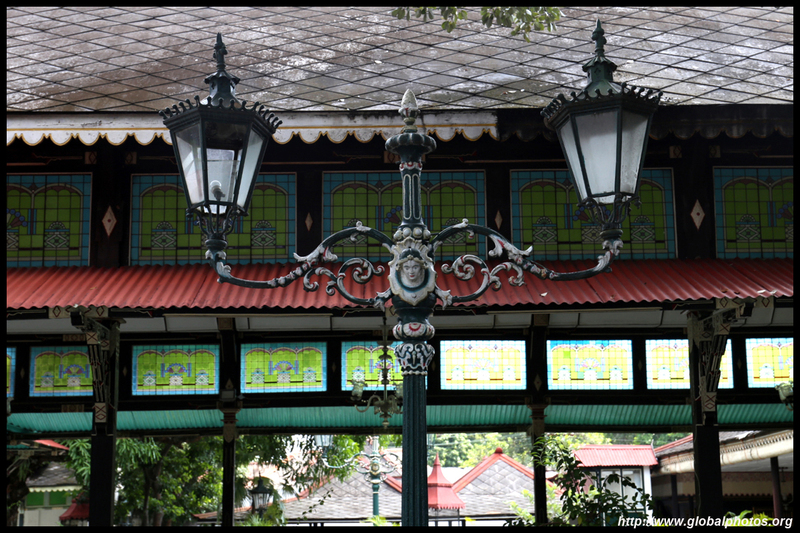 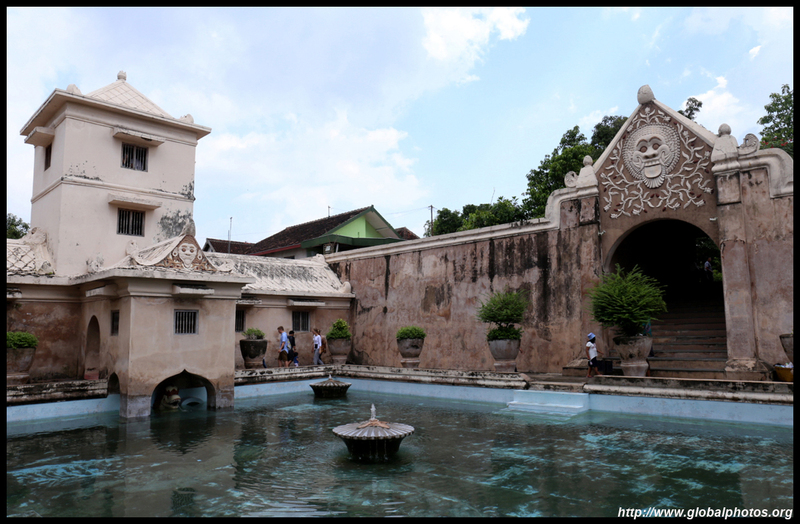 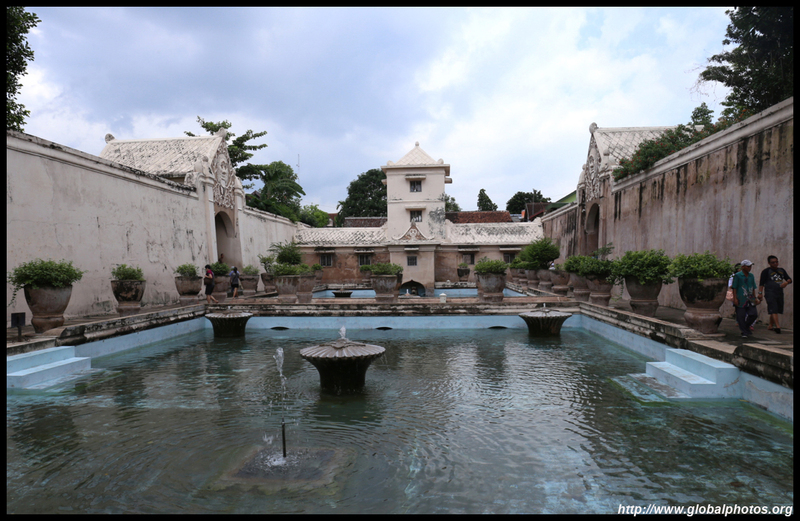 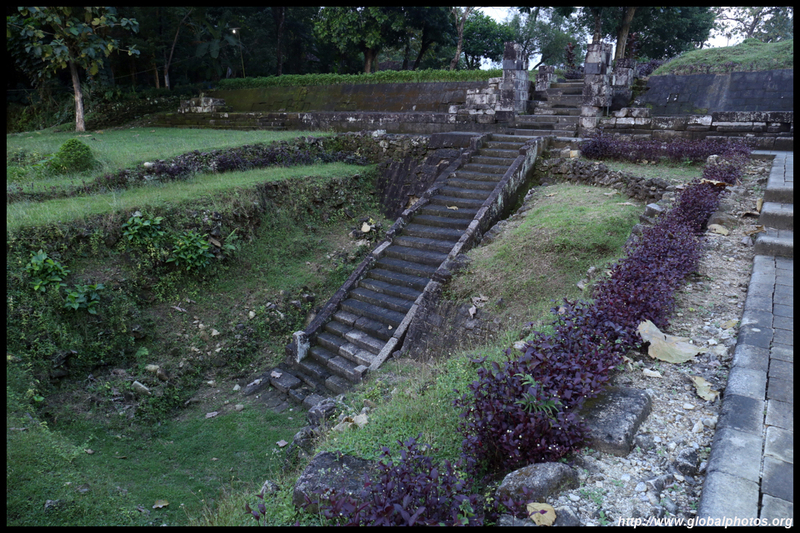 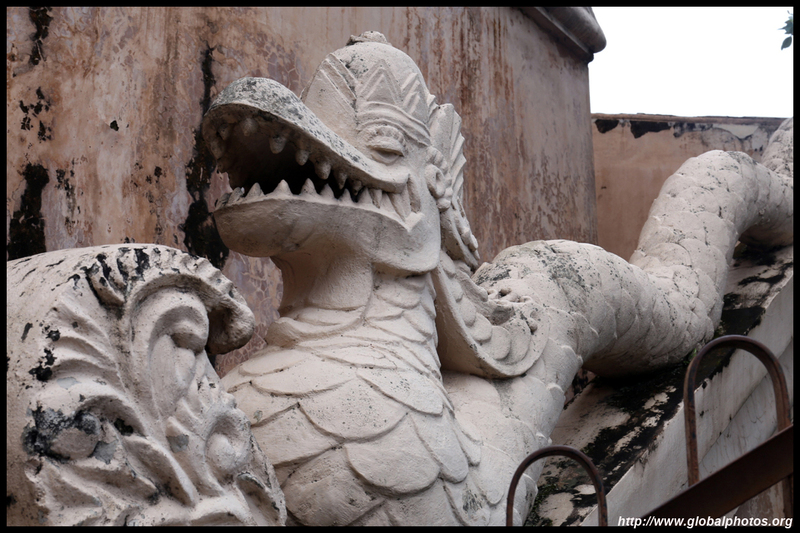 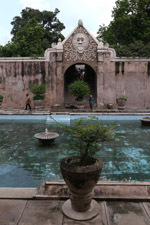 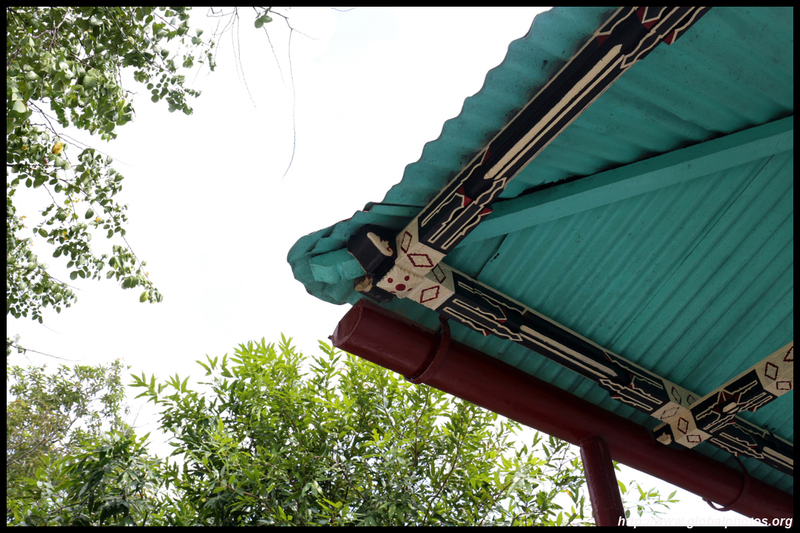 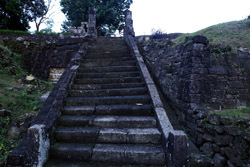 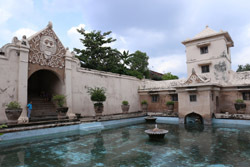 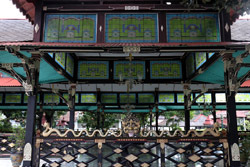 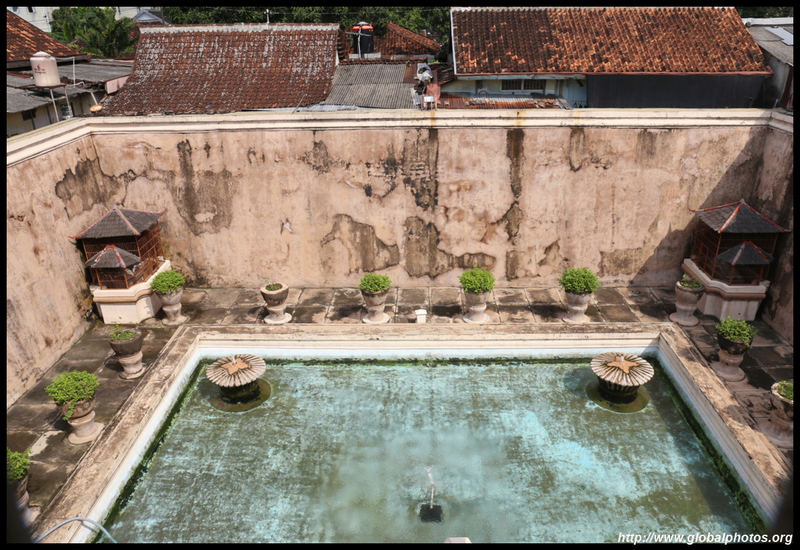 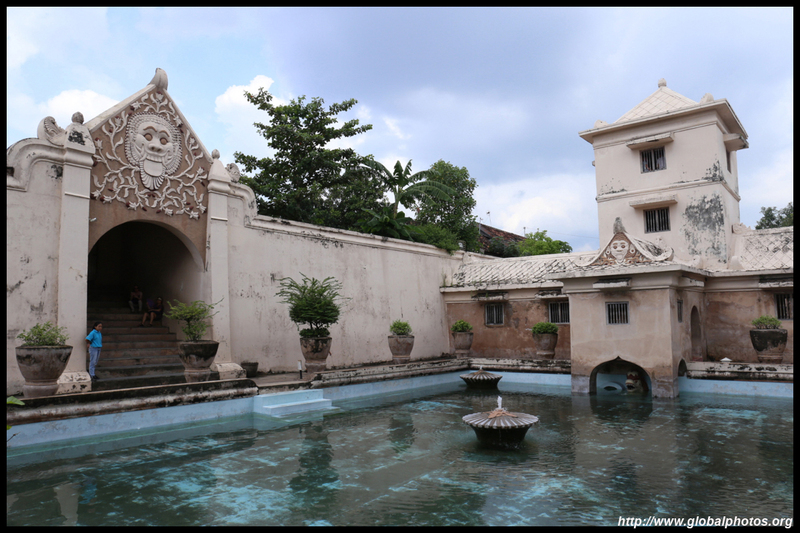 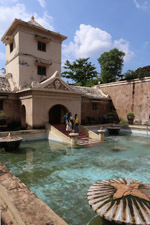 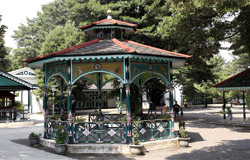 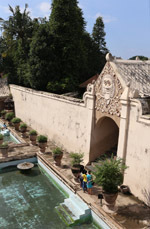 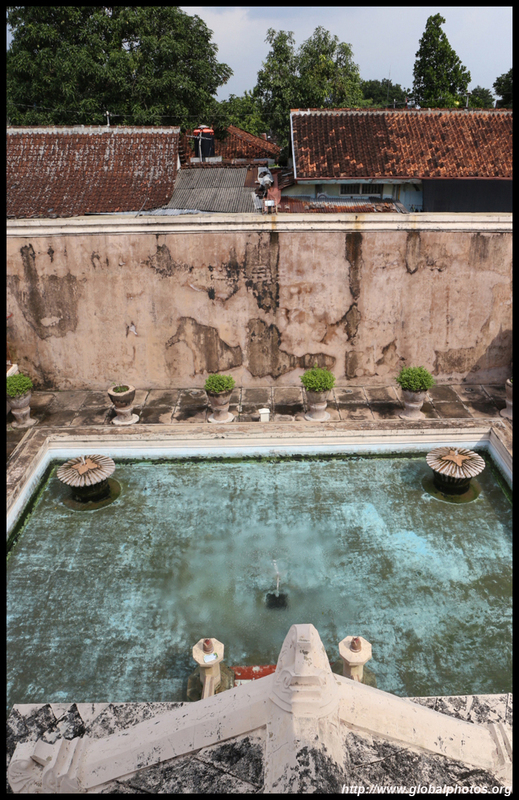 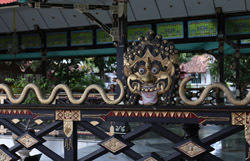 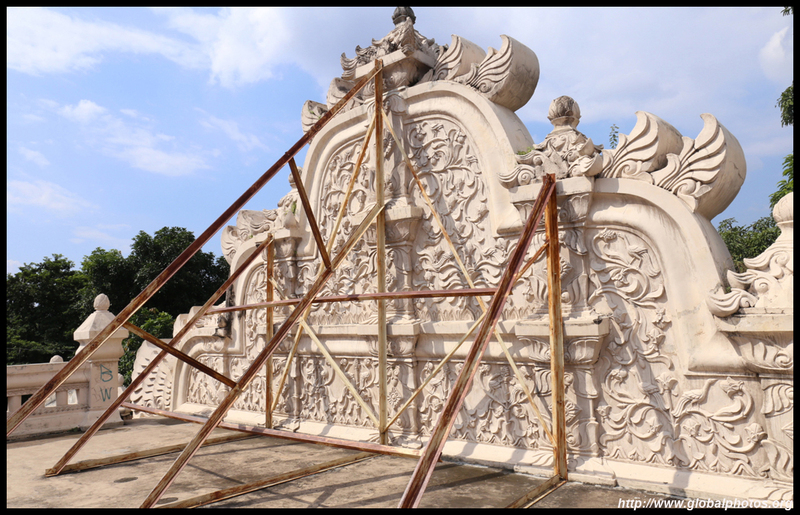 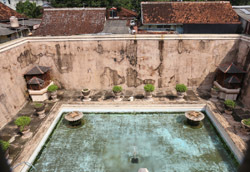 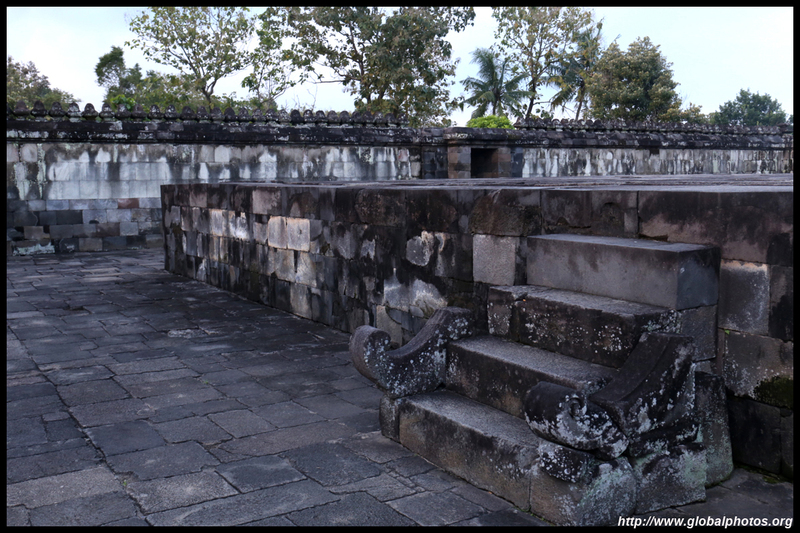 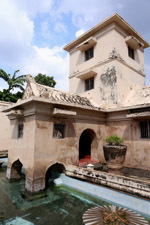 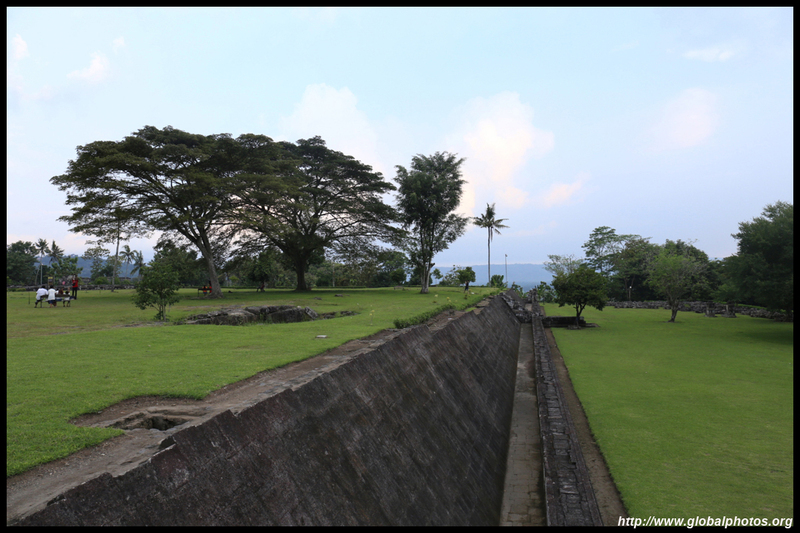 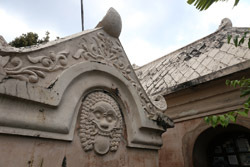 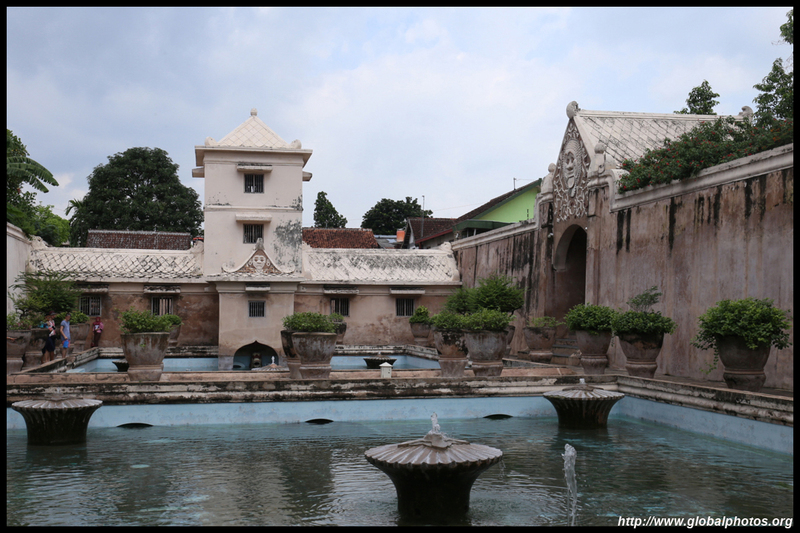 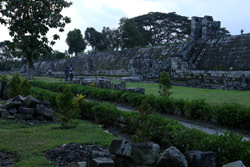 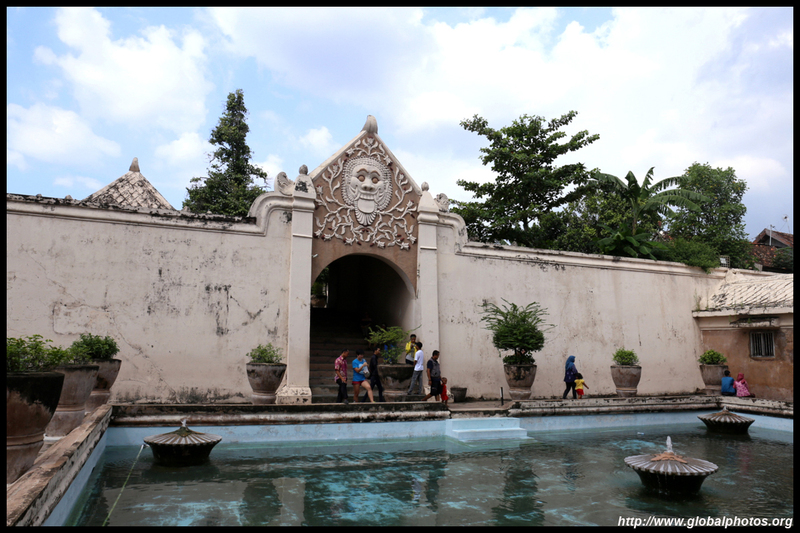 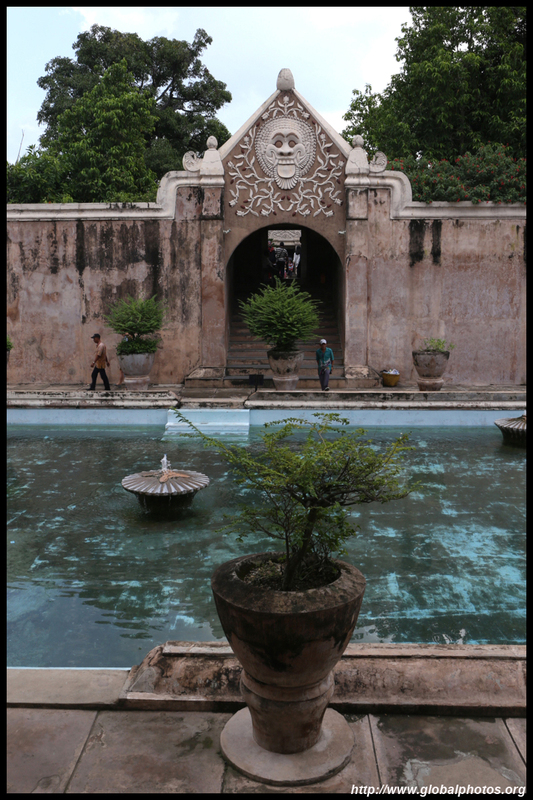 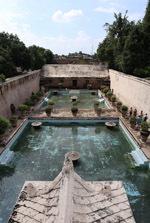 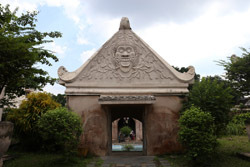 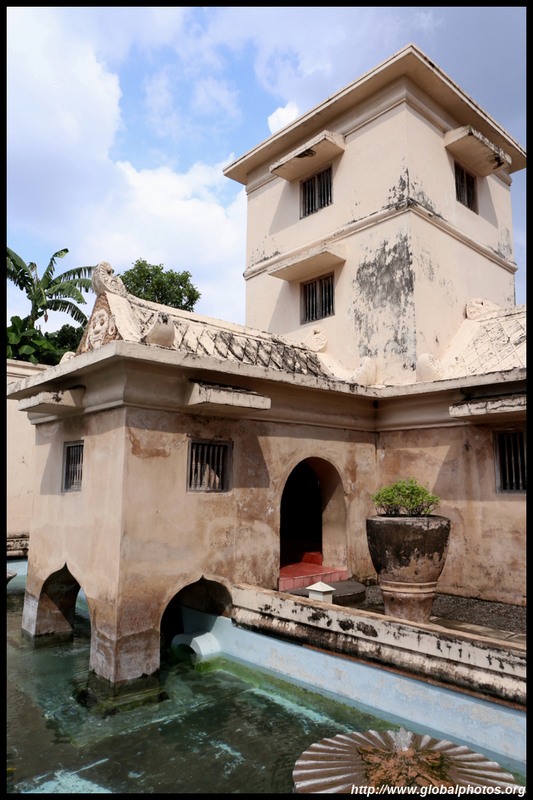 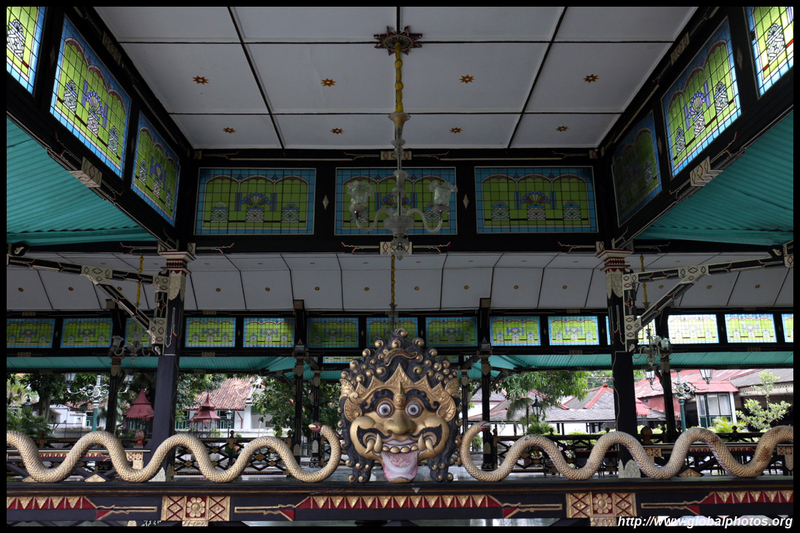 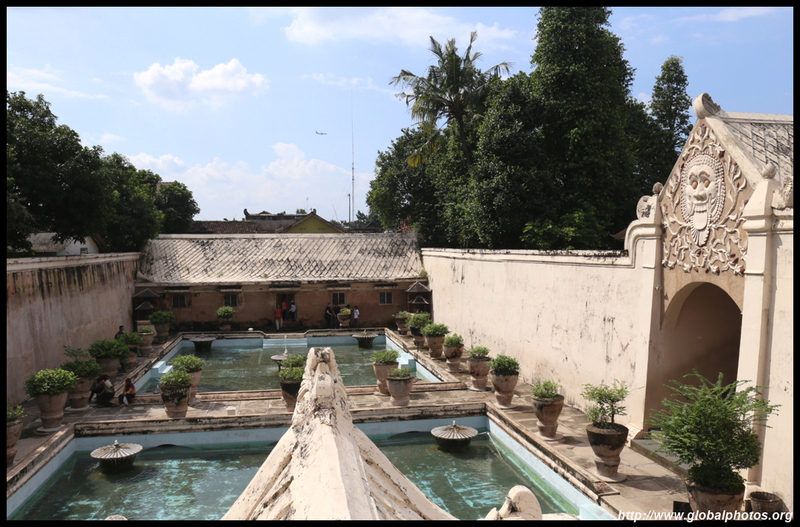 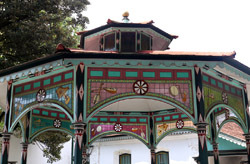 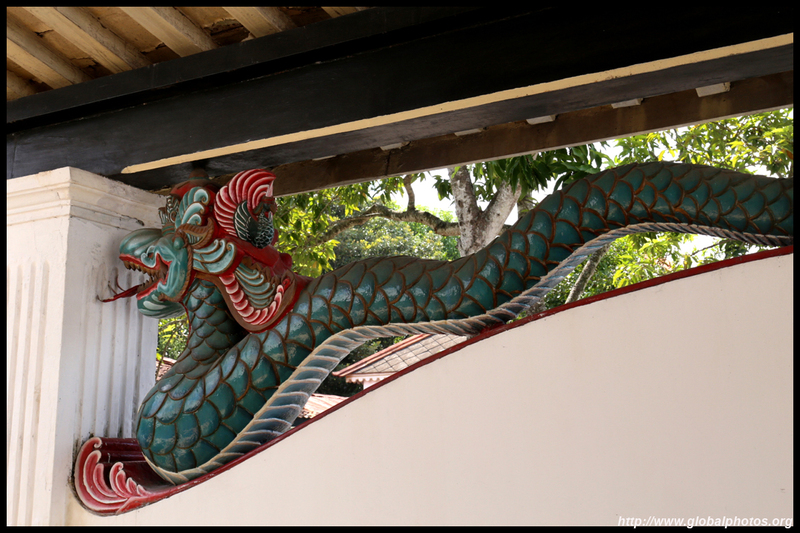 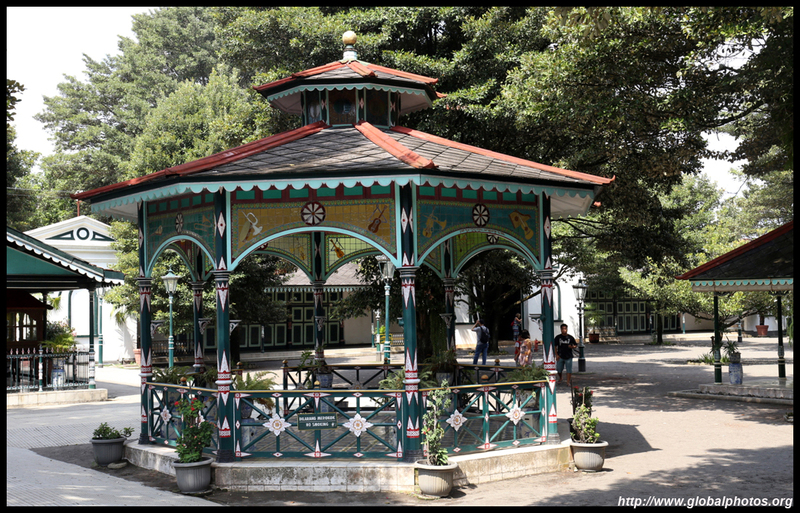 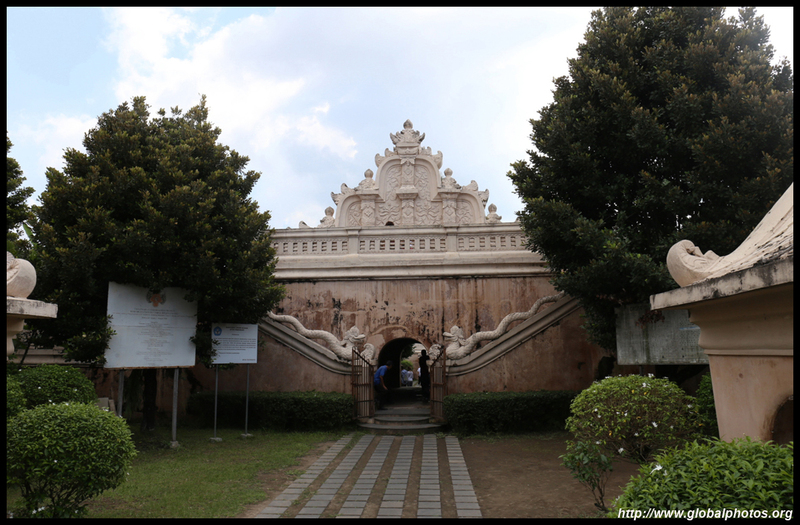 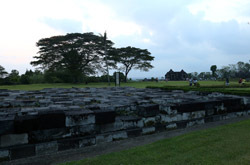 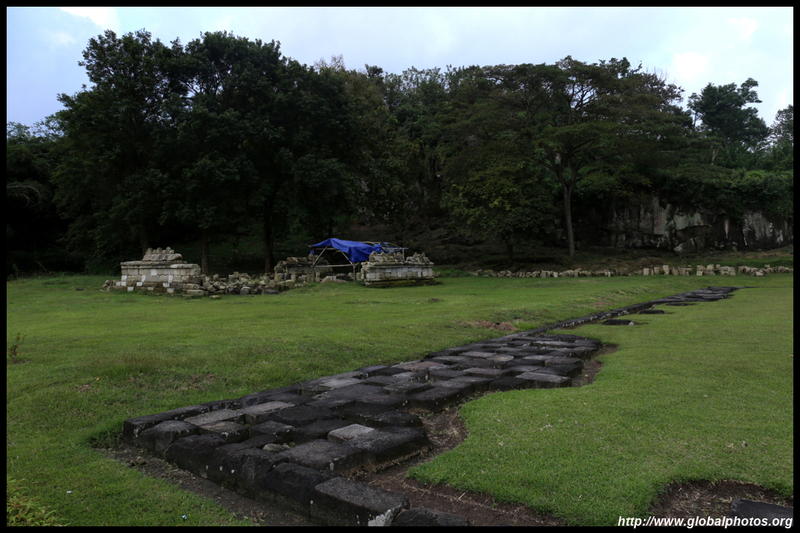 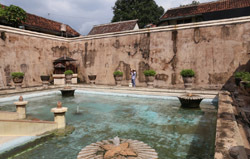 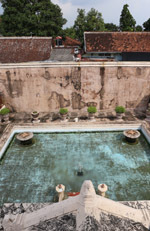 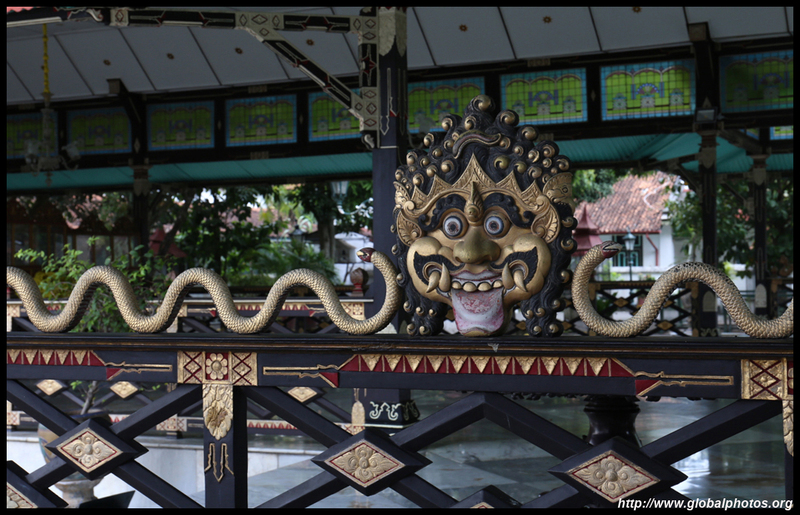 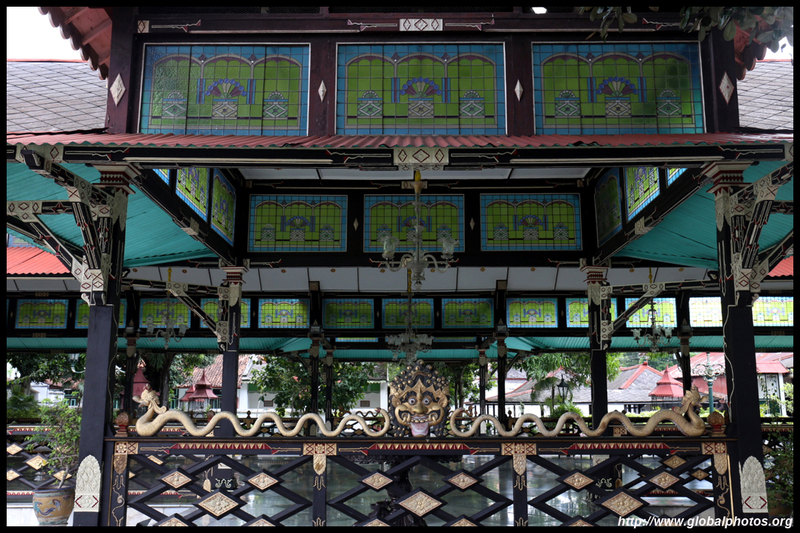 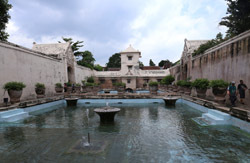 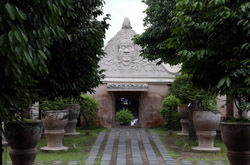 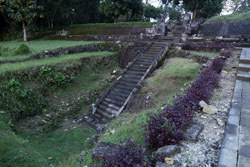 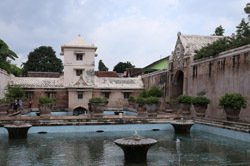 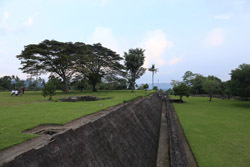 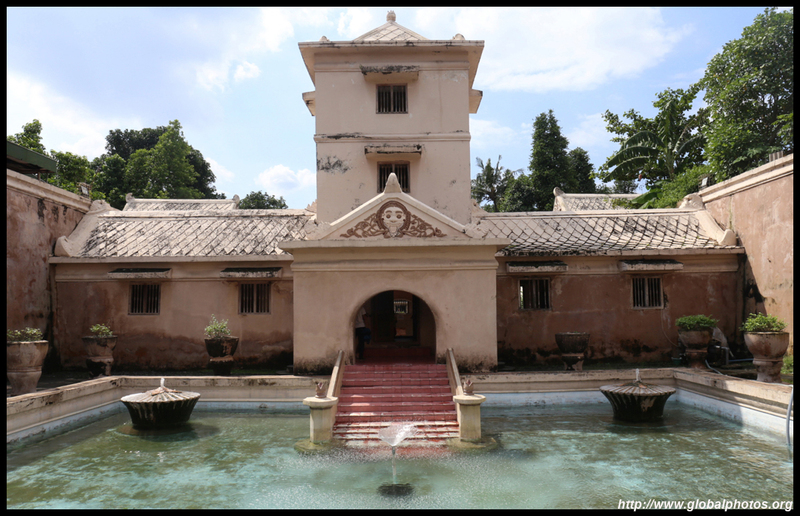 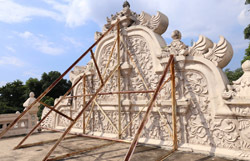 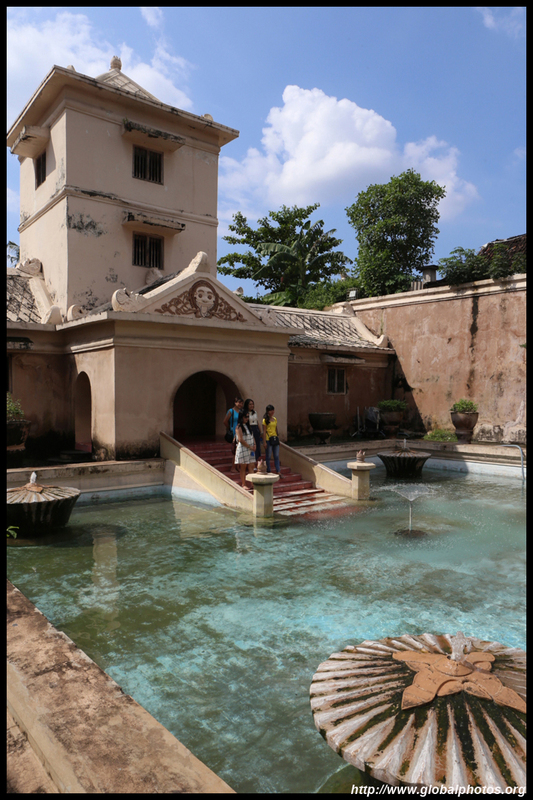 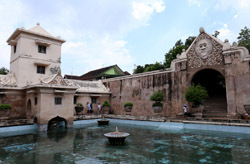 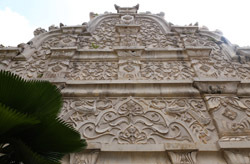 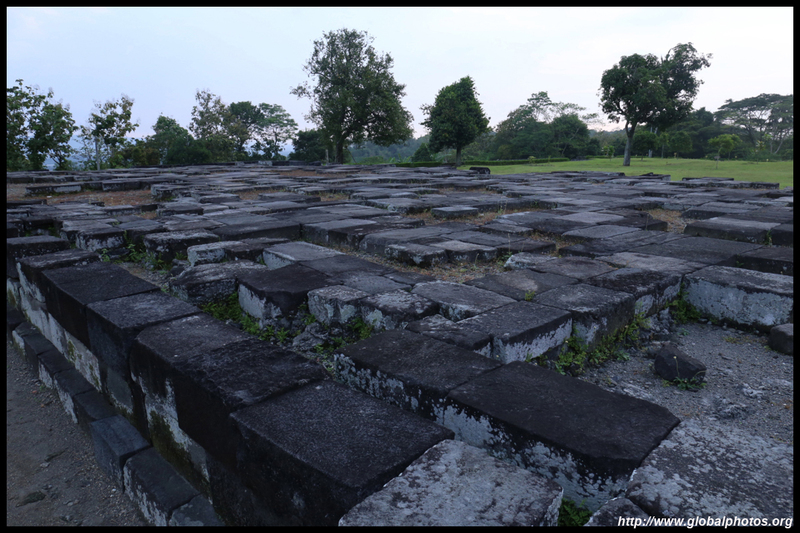 Built in the 18th century, Taman Sari is the sultan's water park. 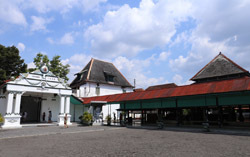 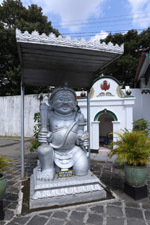 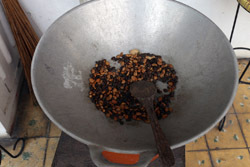 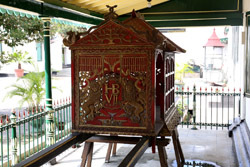 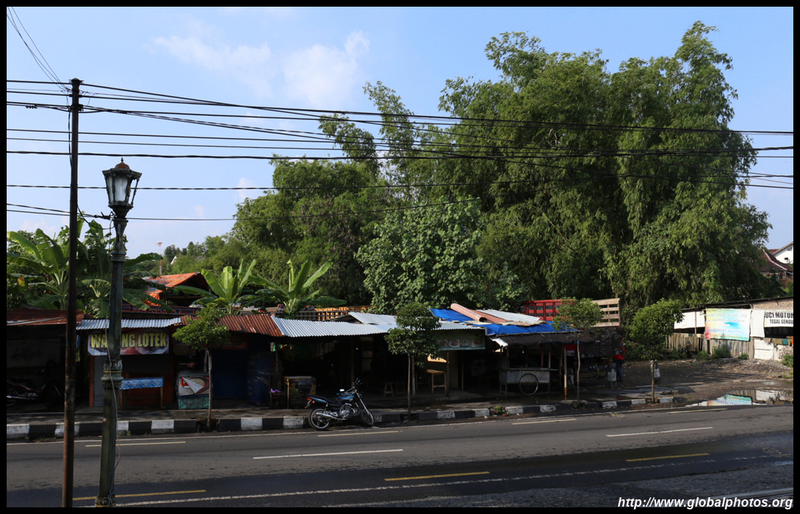 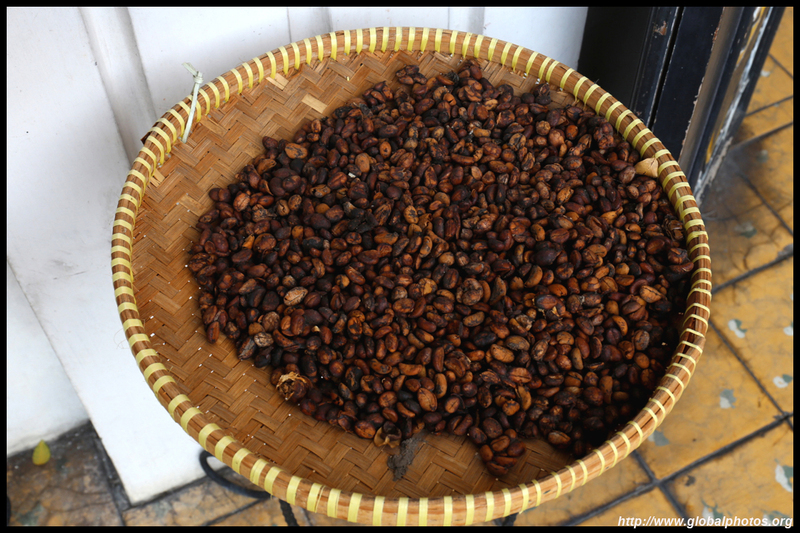 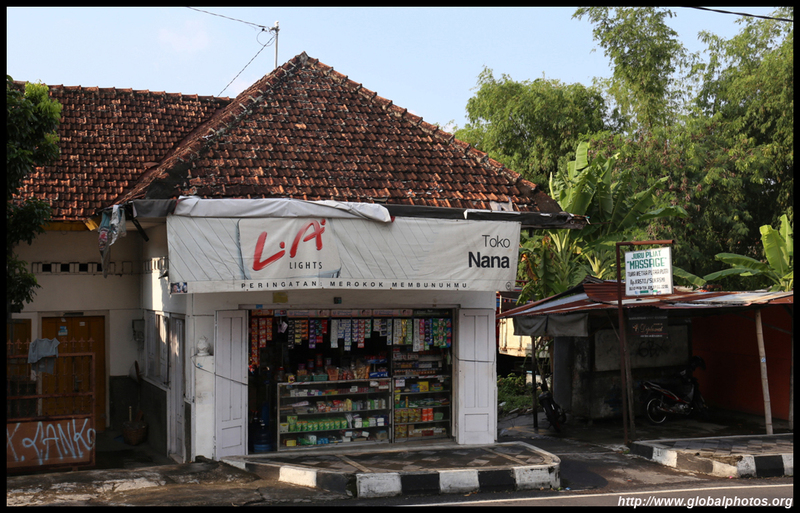 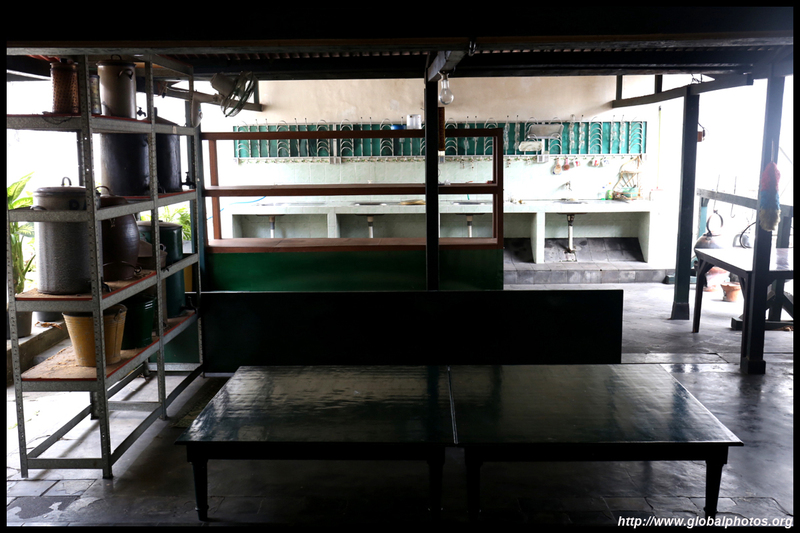 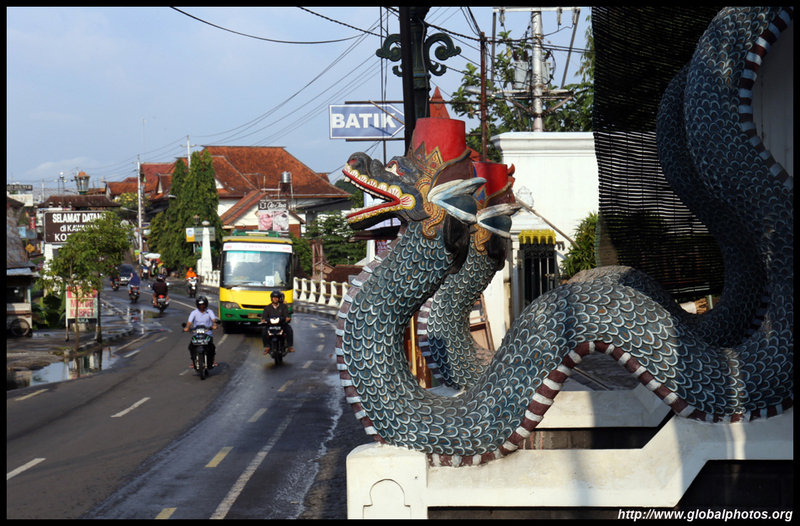 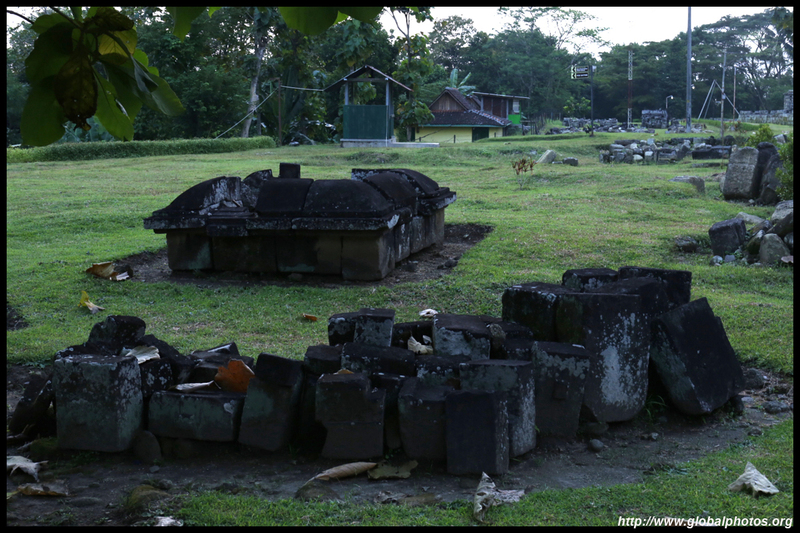 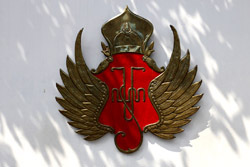 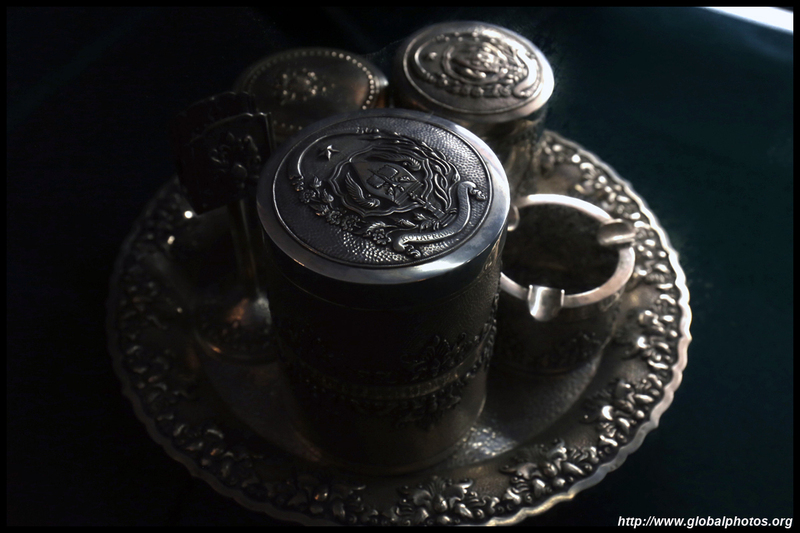 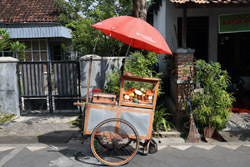 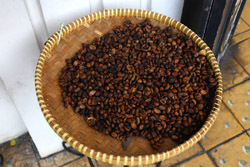 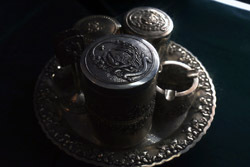 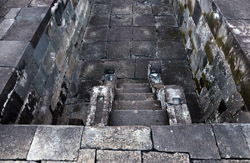 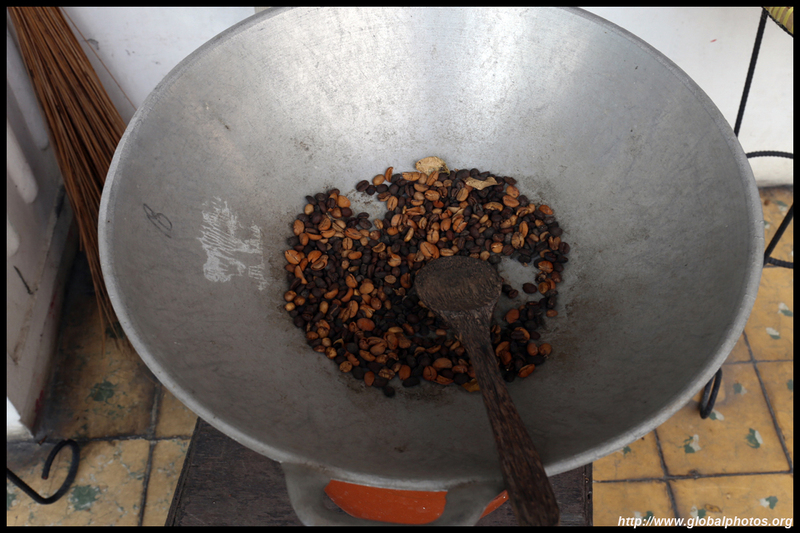 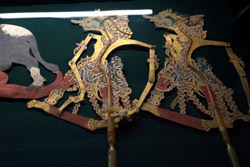 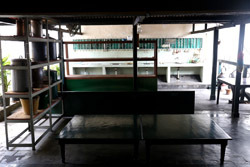 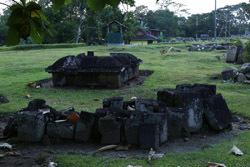 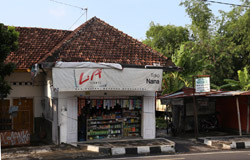 Kota Gede is the city's silver industry hub. 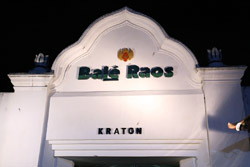 I decided to grab a bite here instead of going shopping. 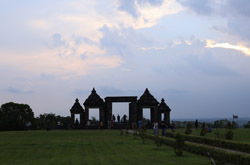 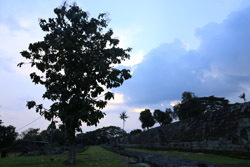 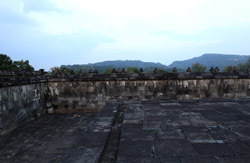 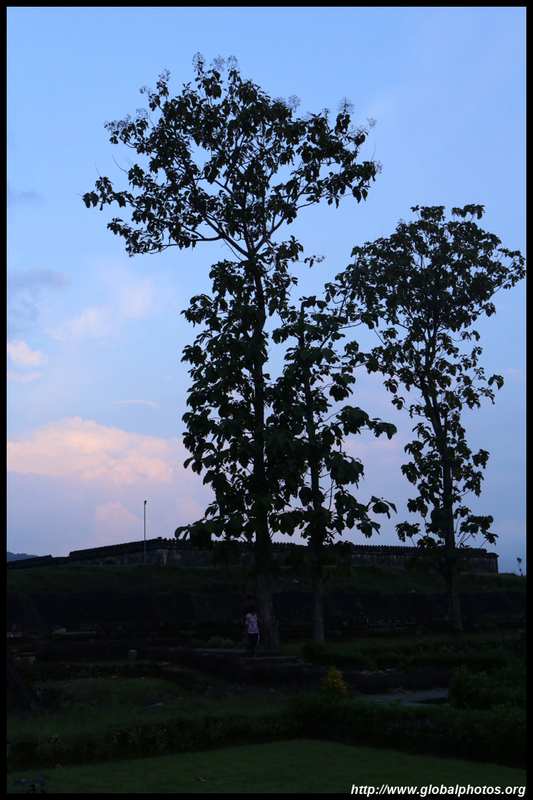 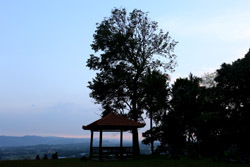 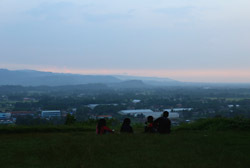 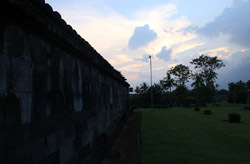 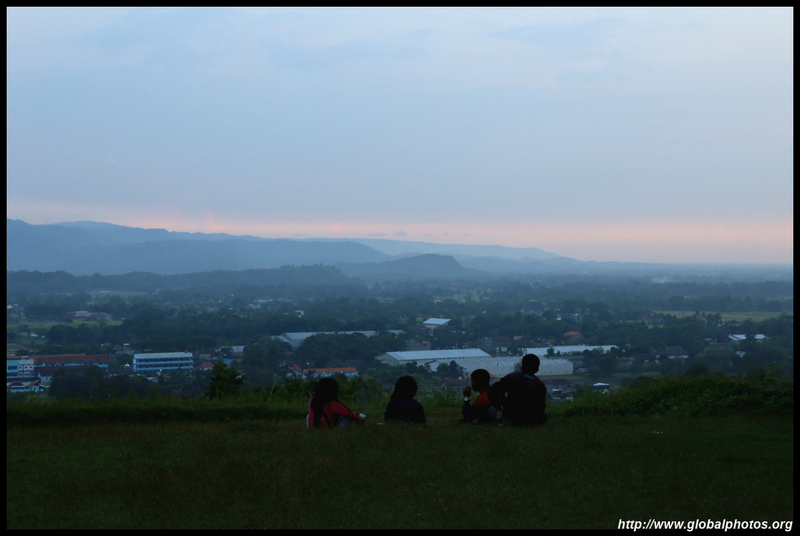 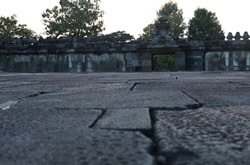 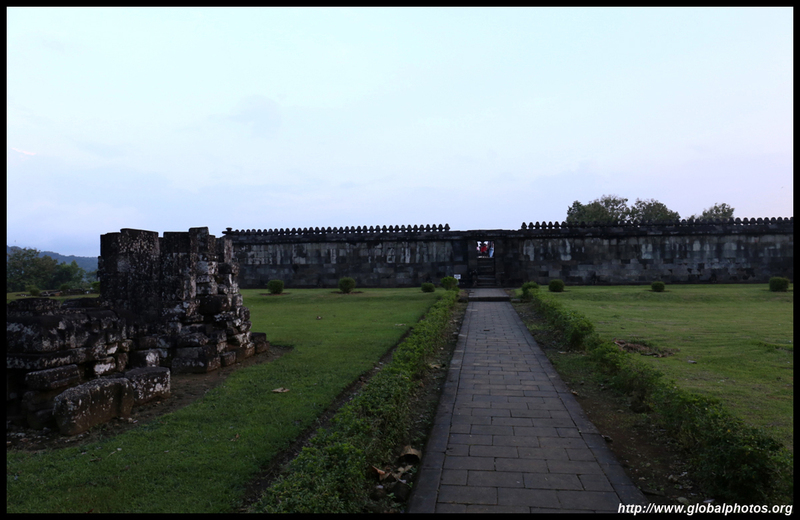 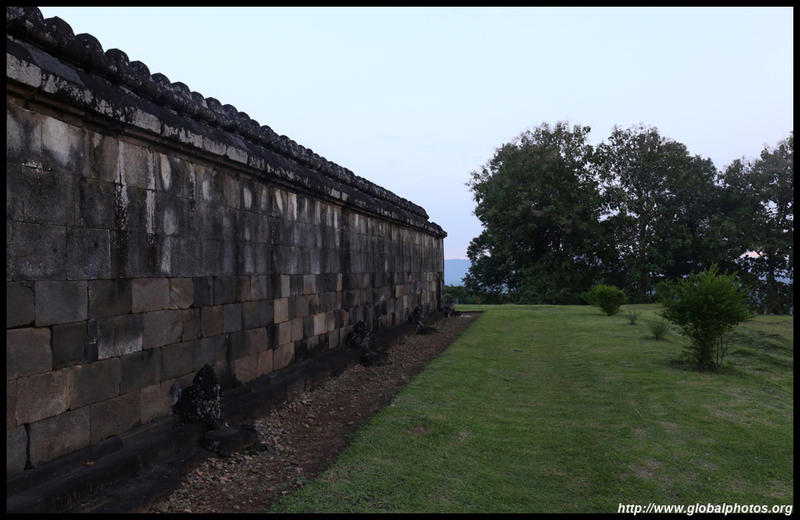 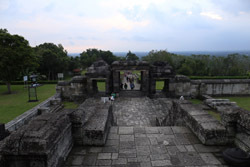 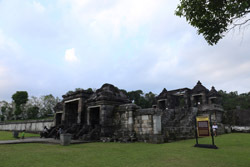 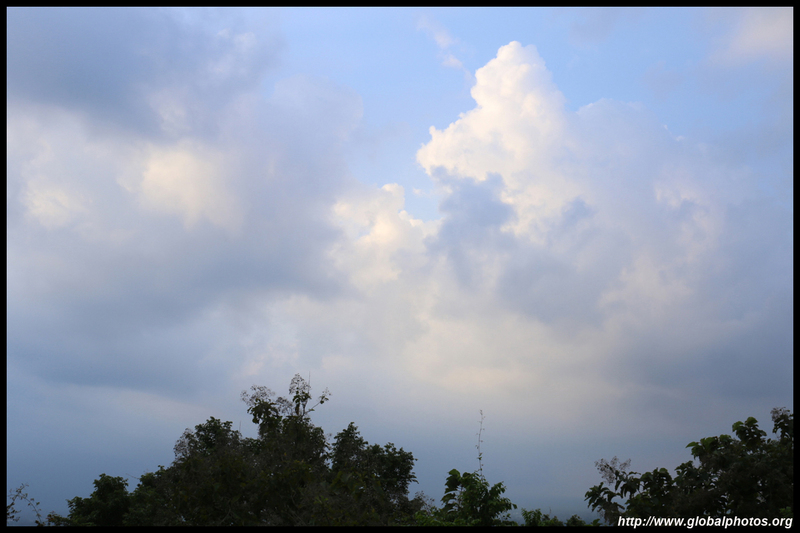 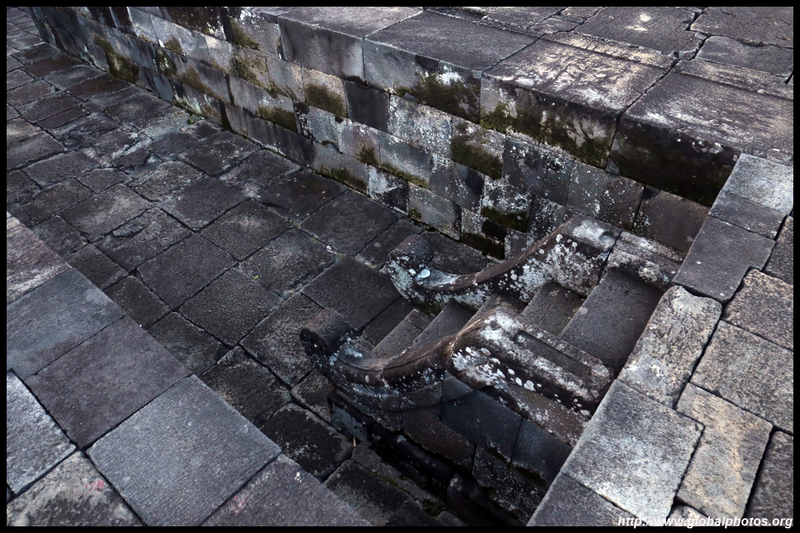 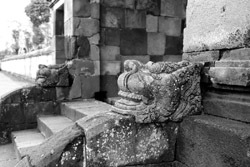 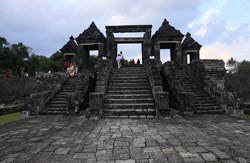 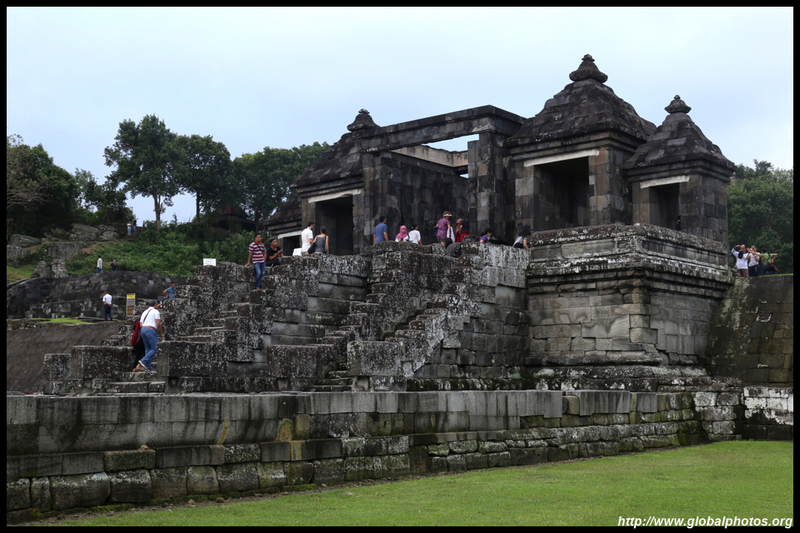 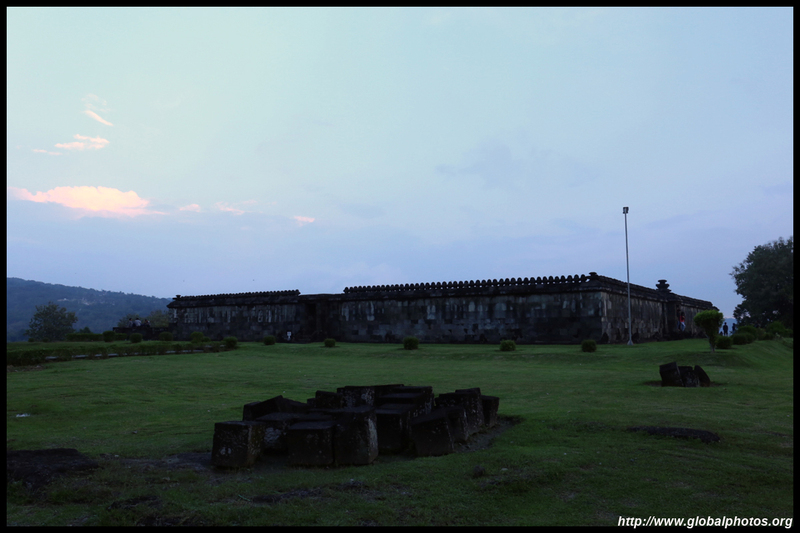 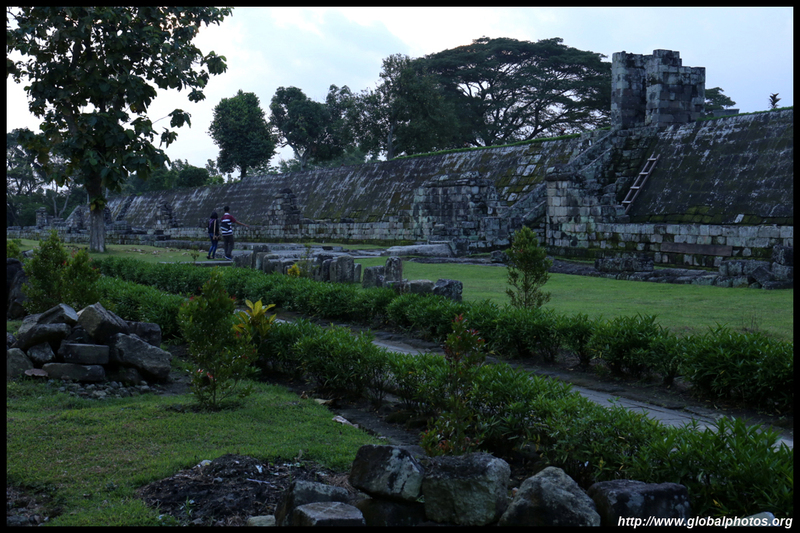 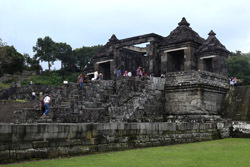 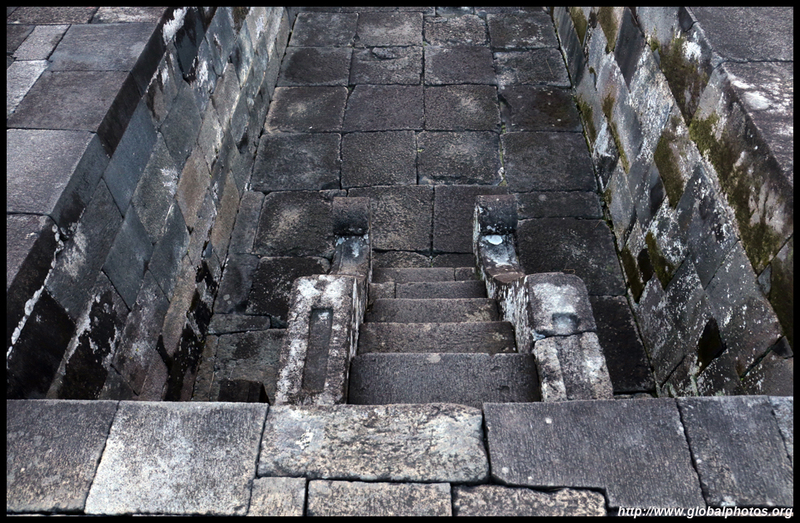 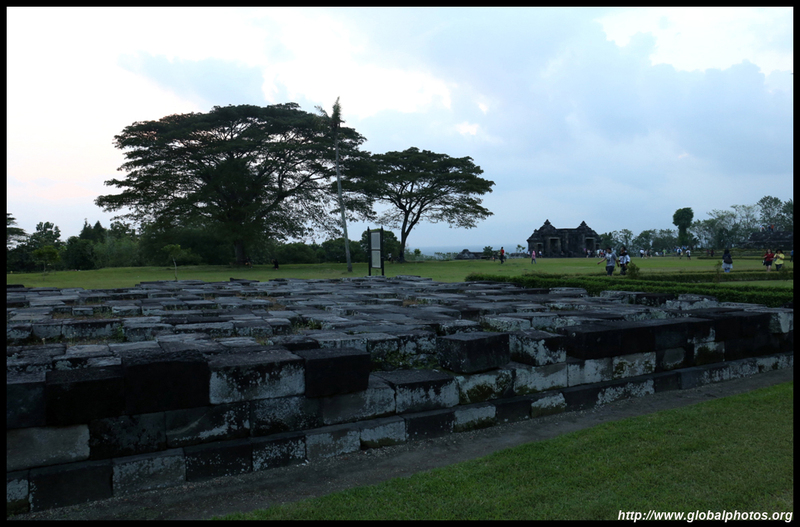 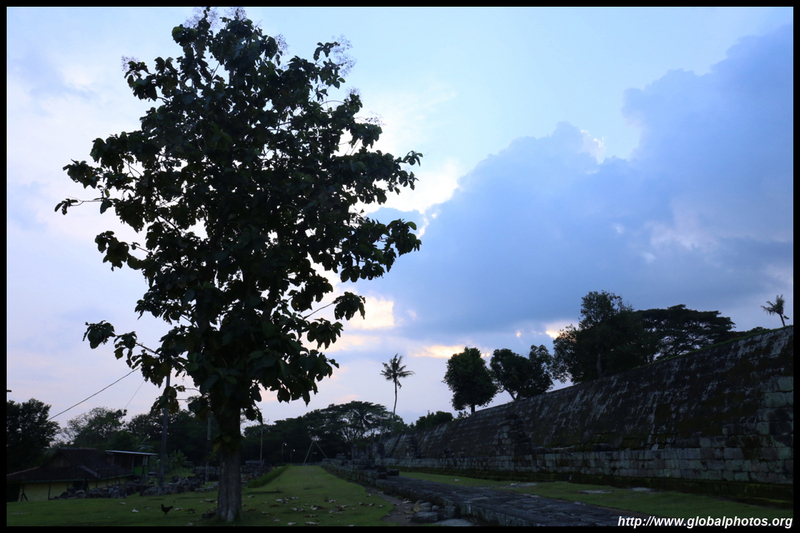 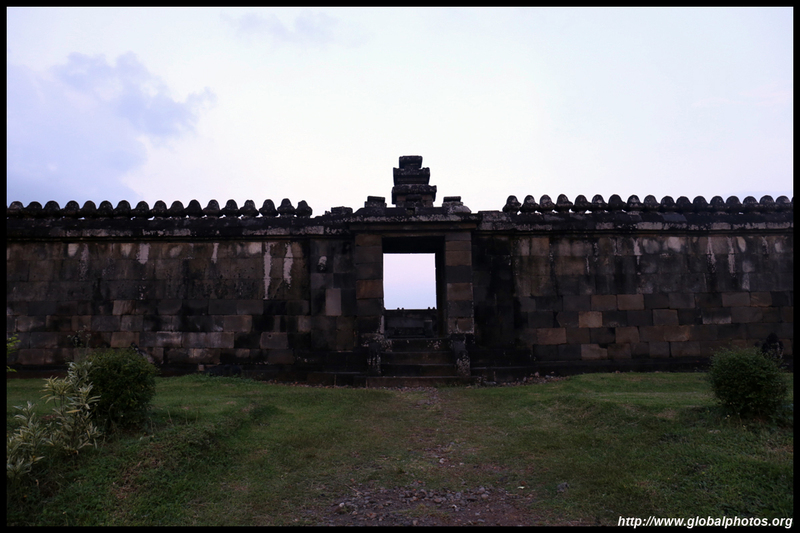 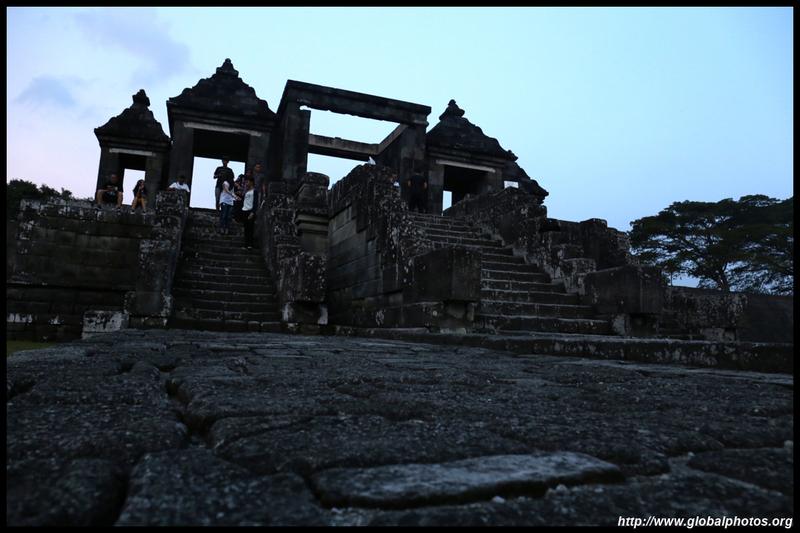 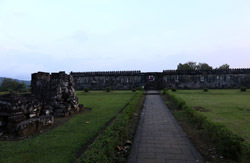 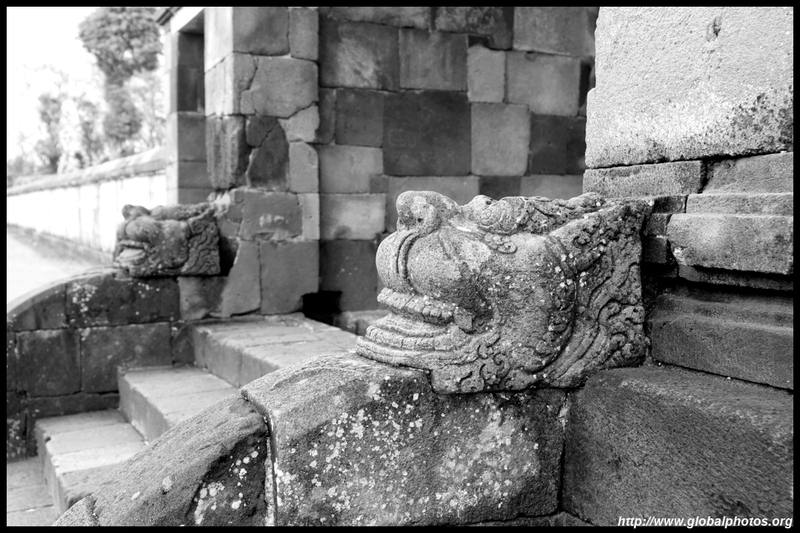 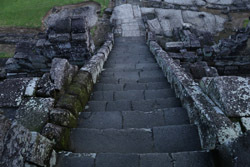 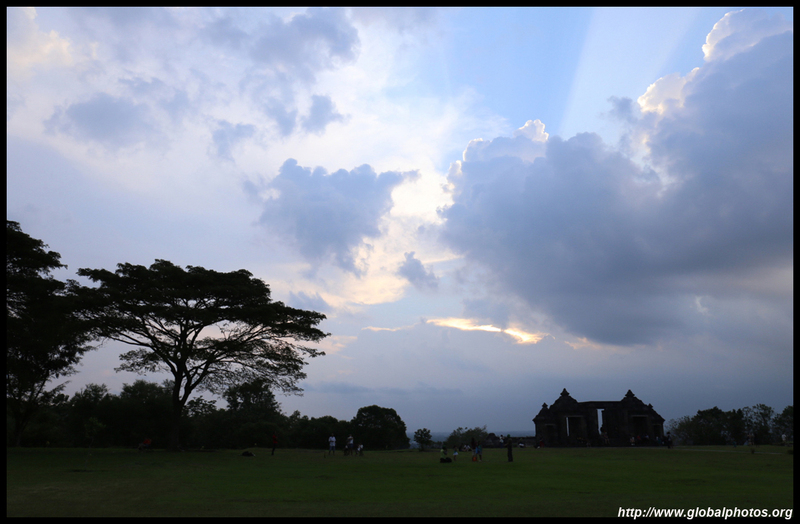 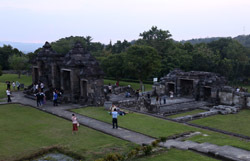 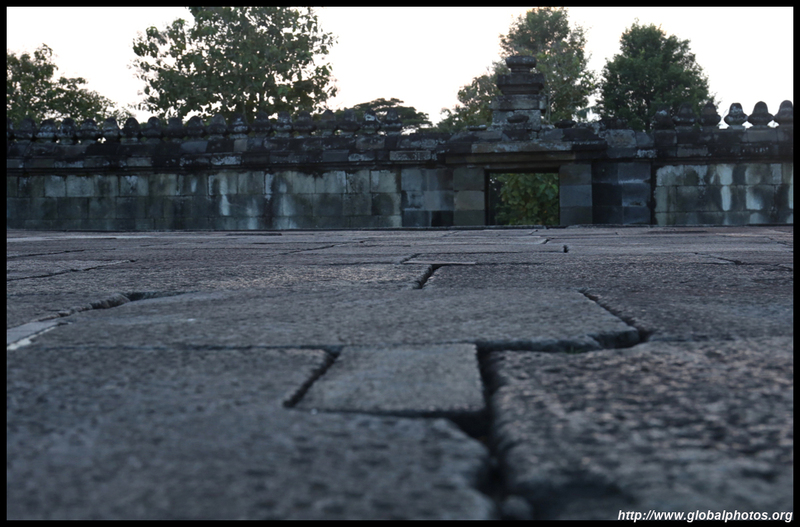 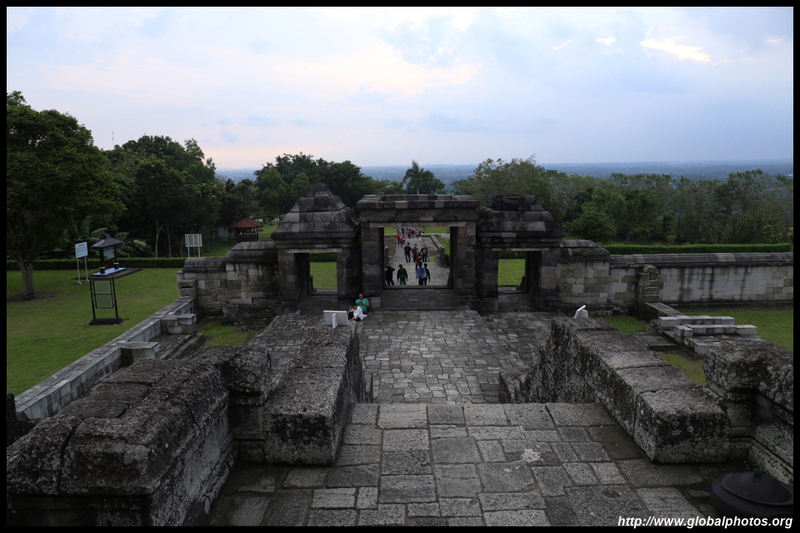 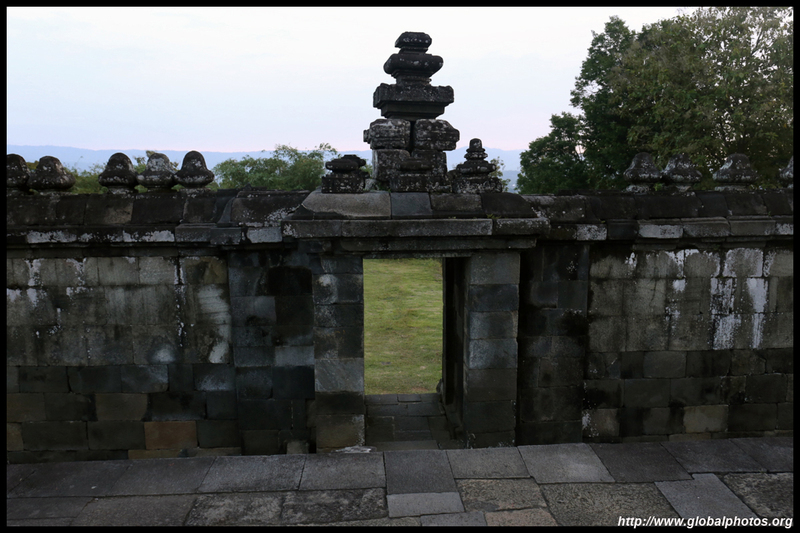 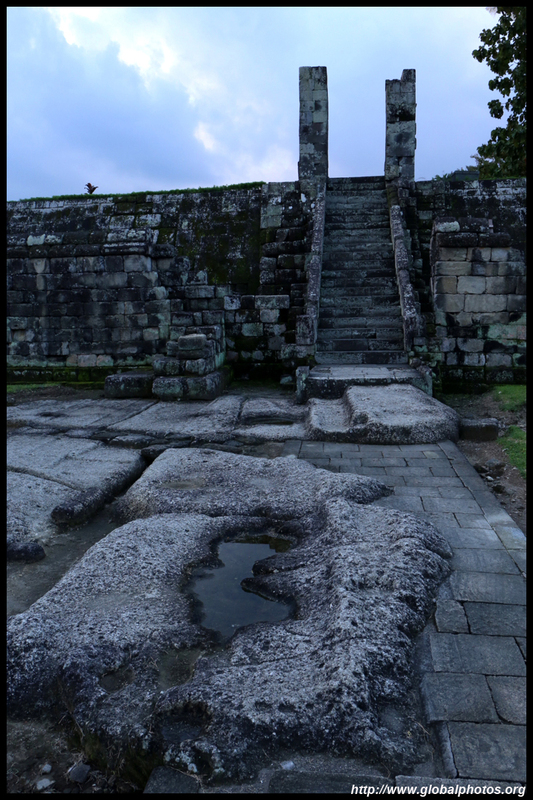 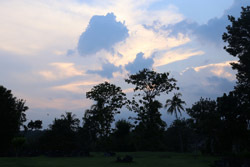 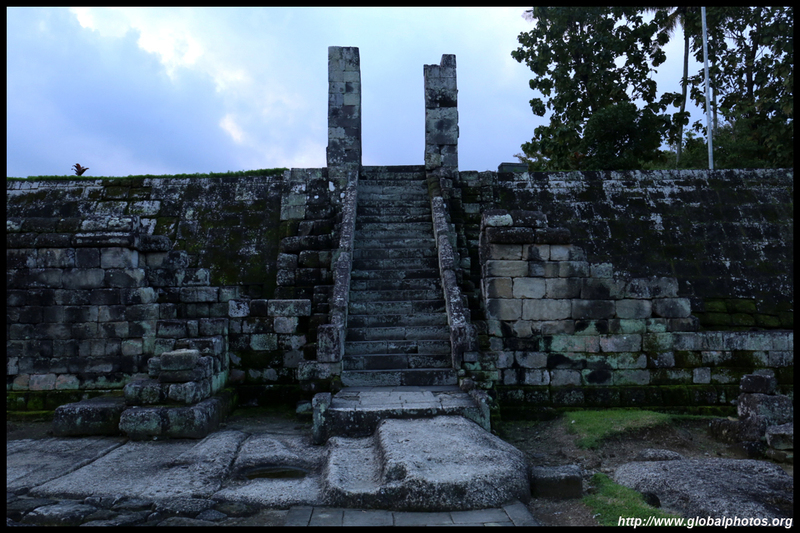 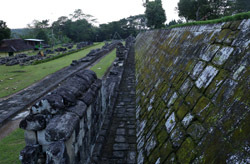 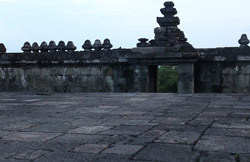 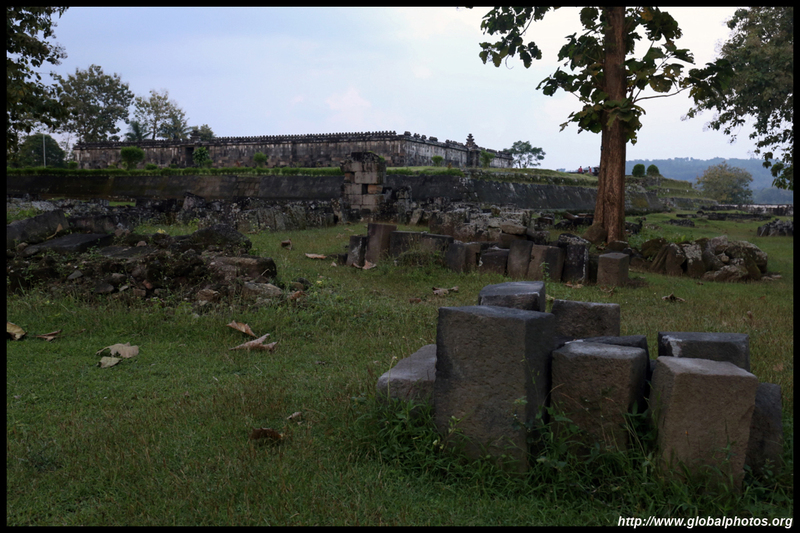 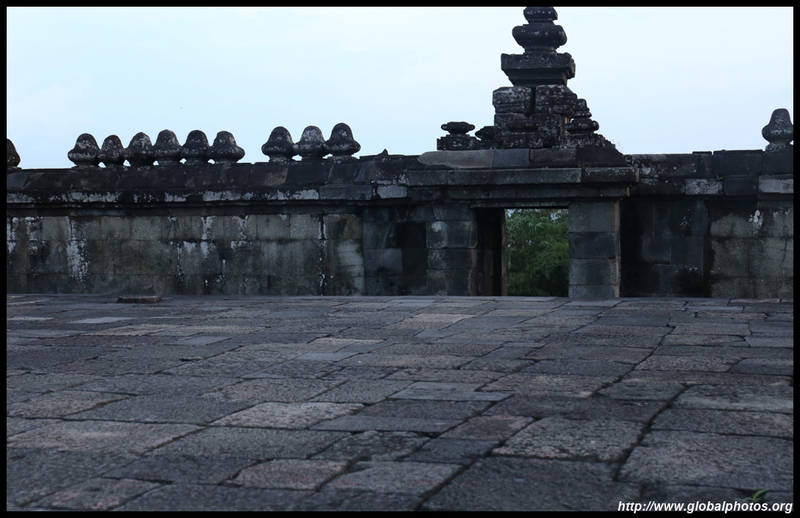 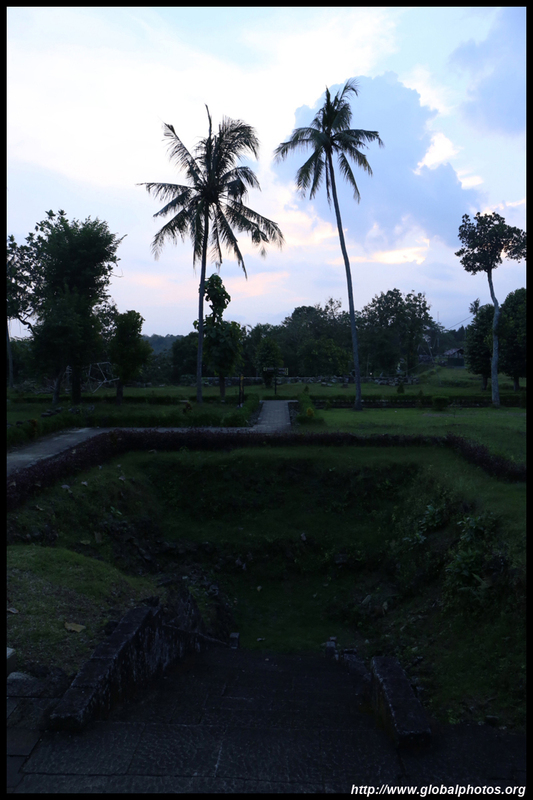 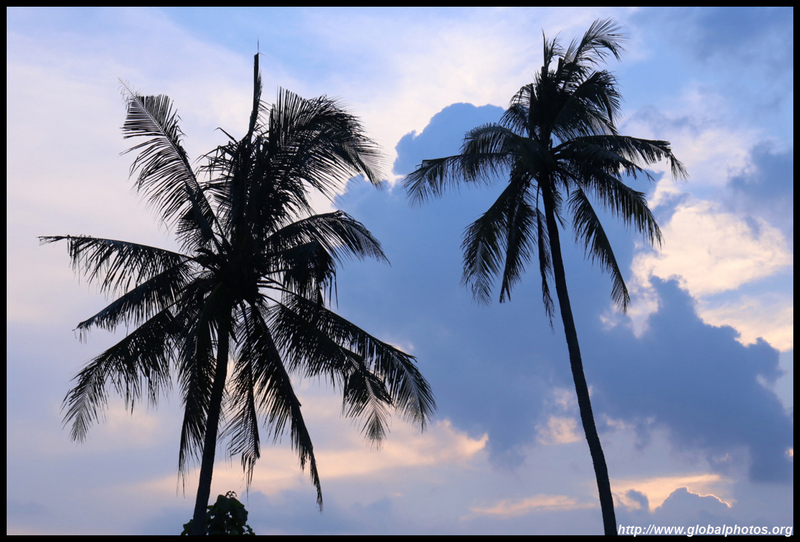 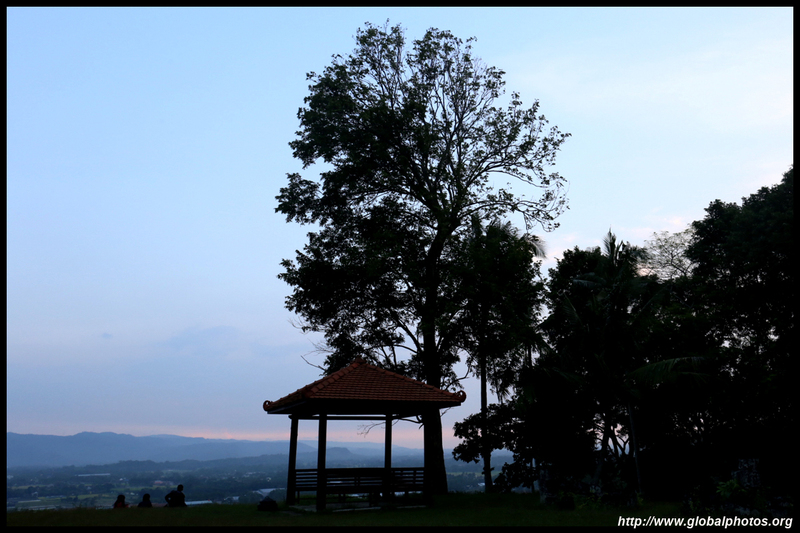 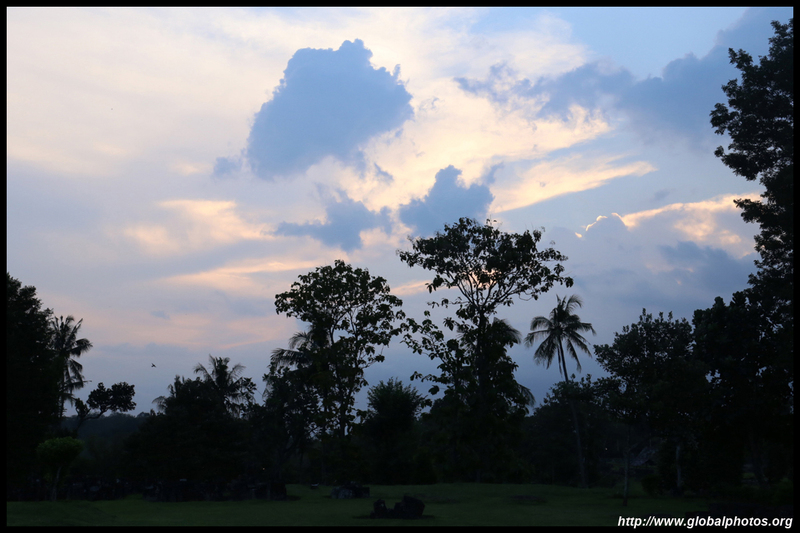 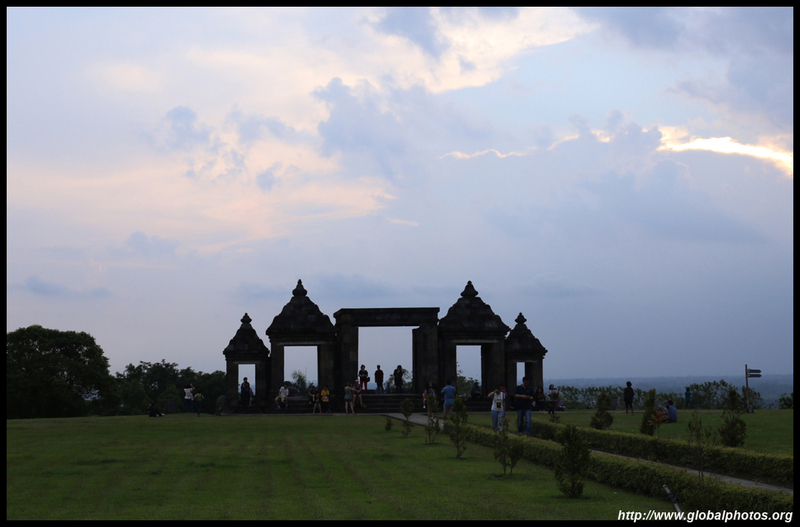 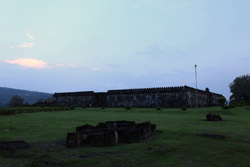 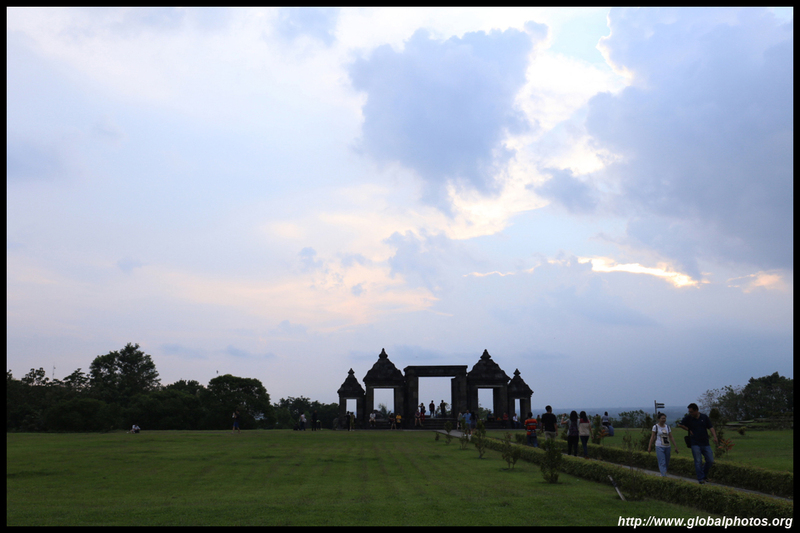 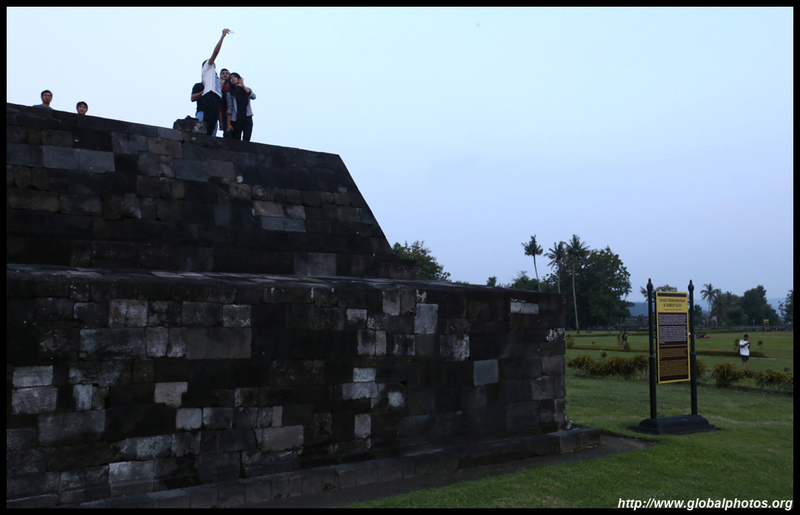 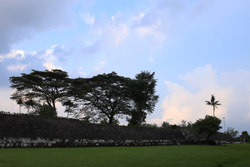 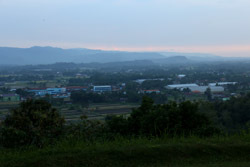 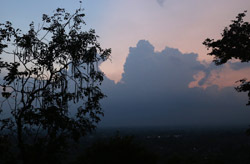 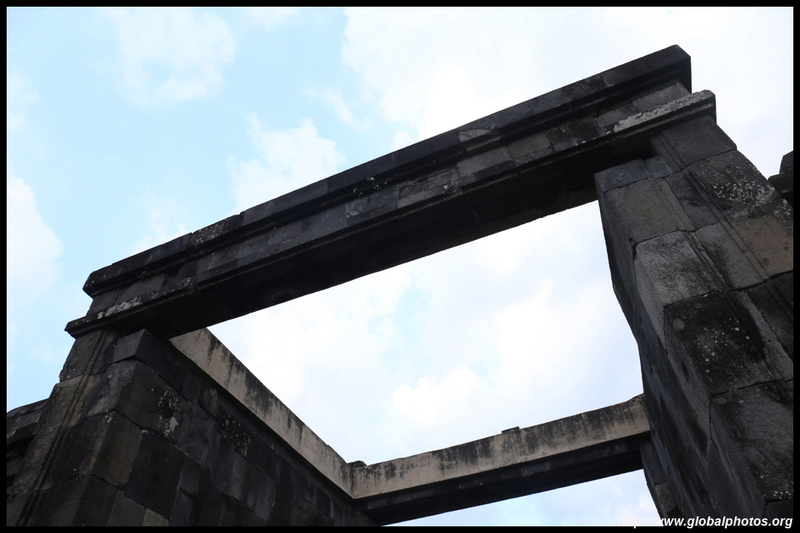 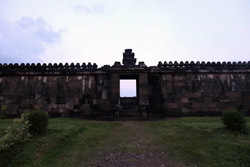 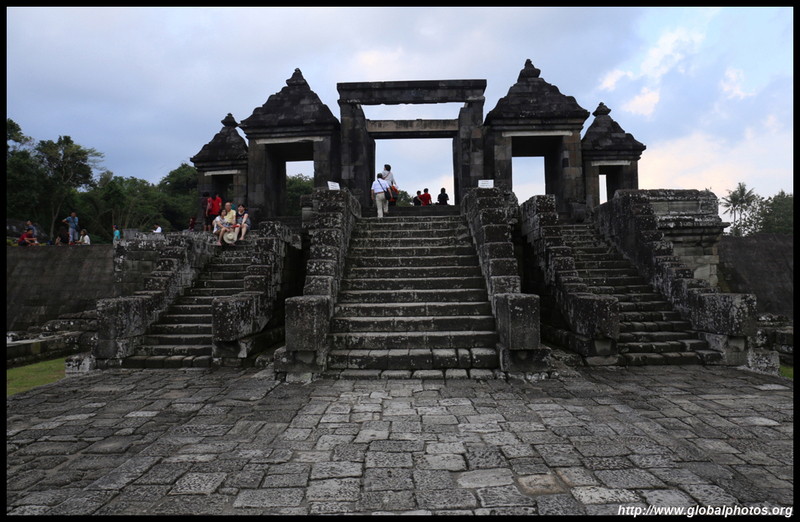 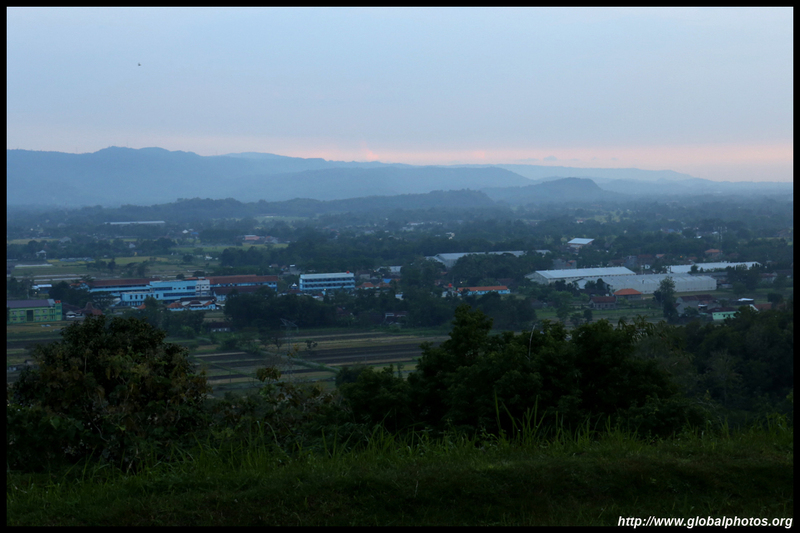 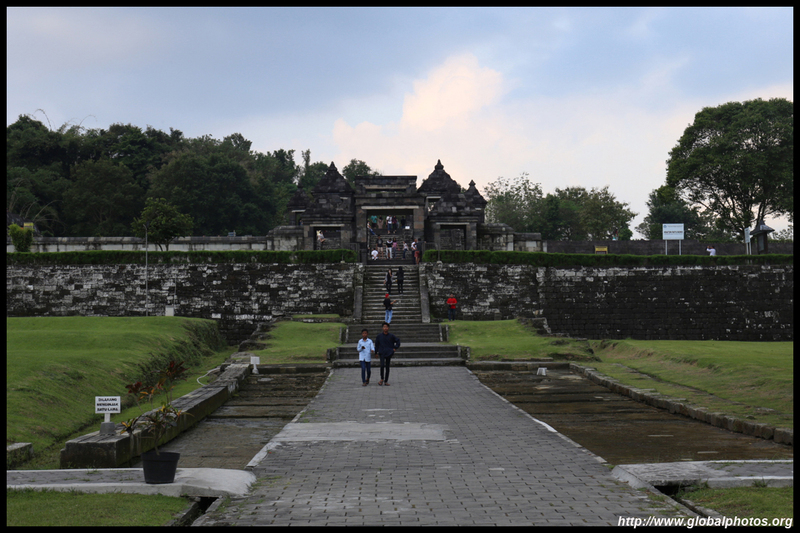 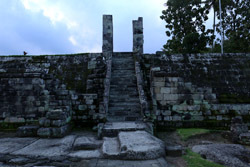 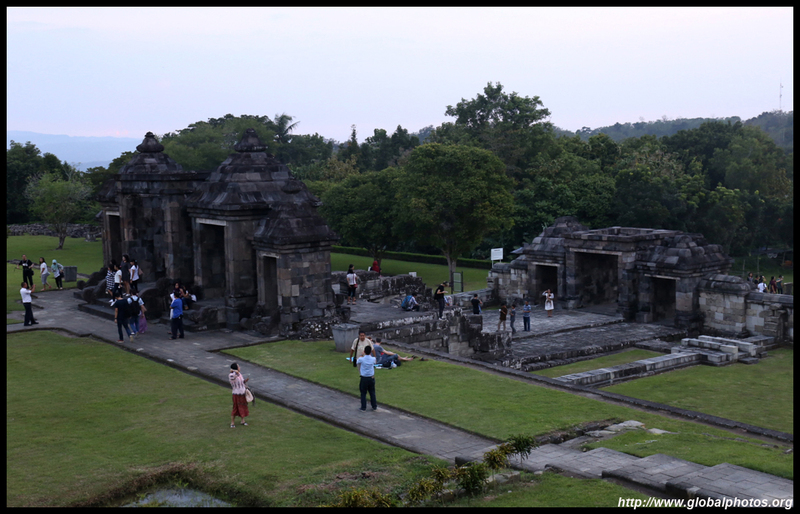 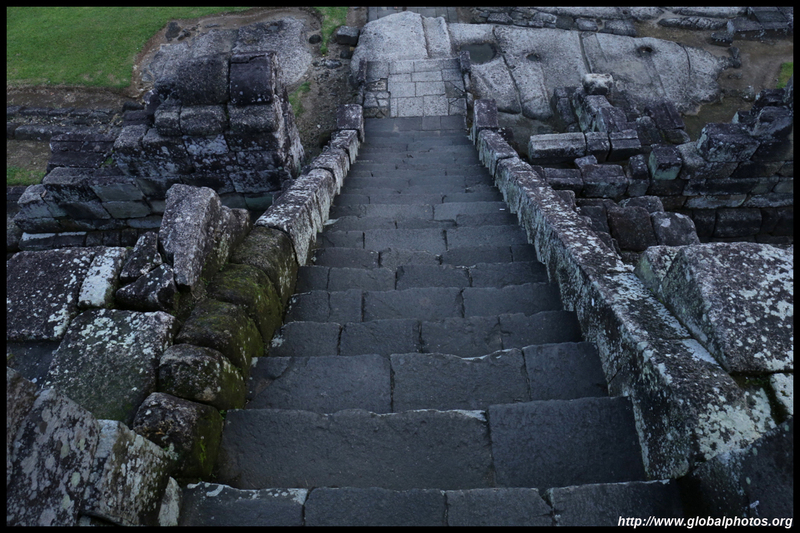 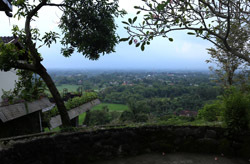 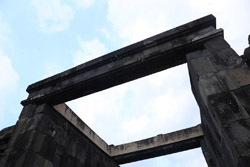 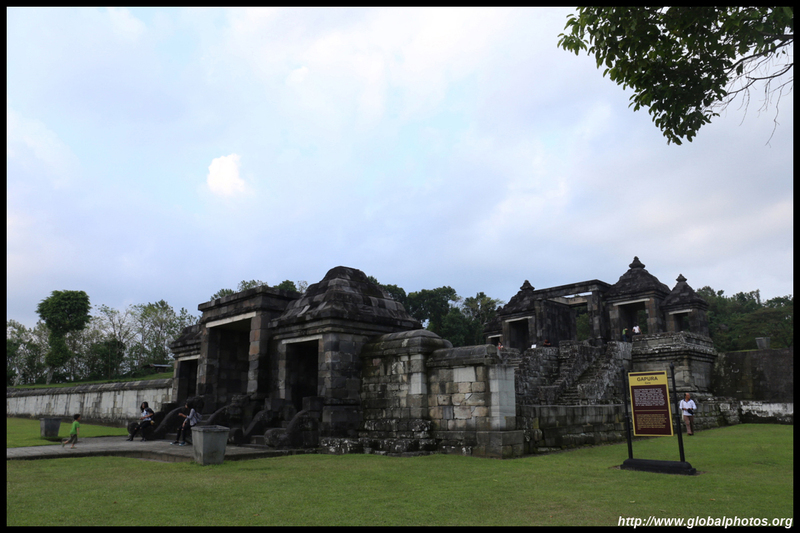 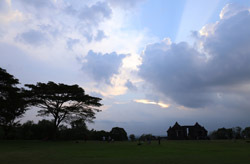 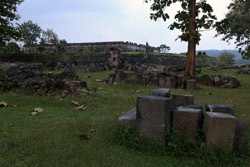 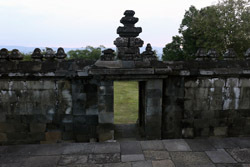 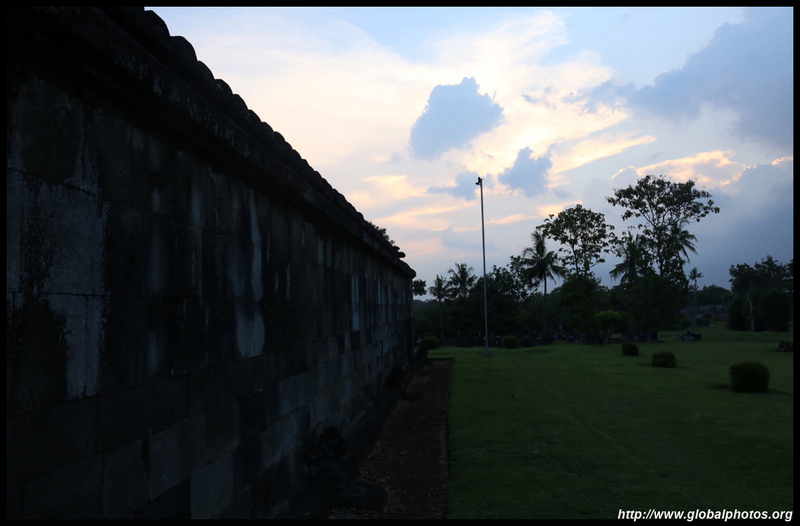 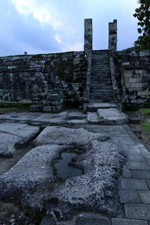 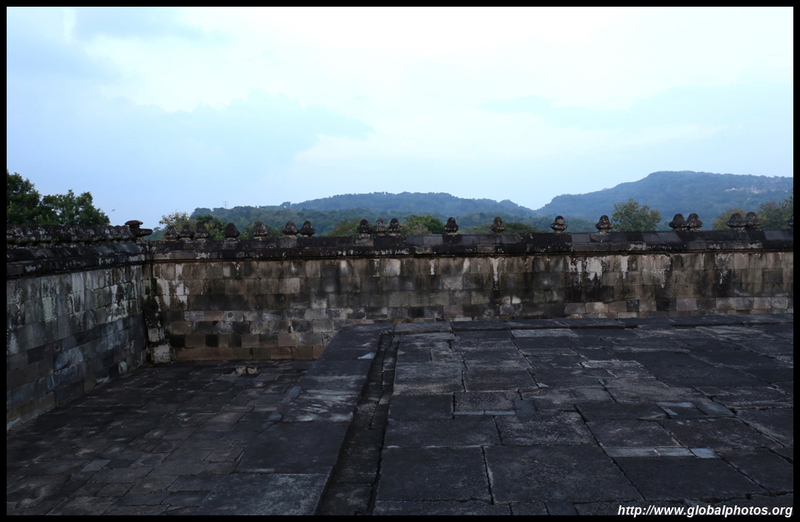 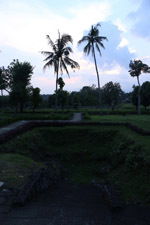 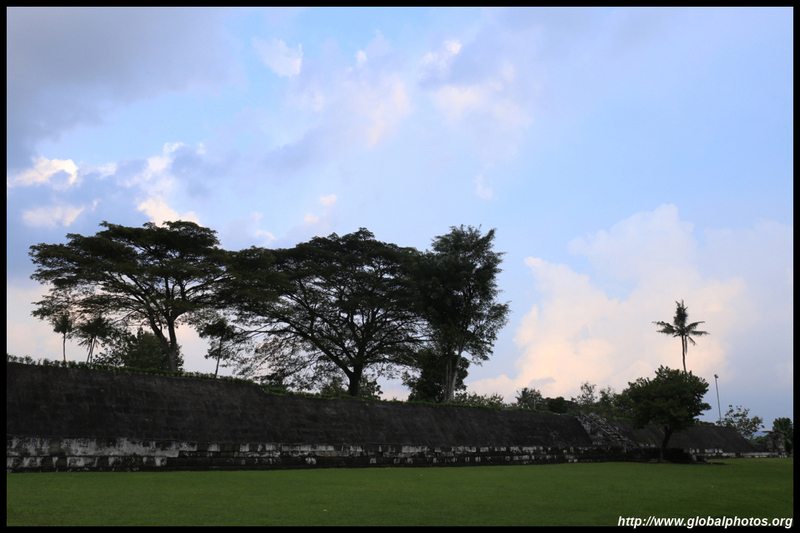 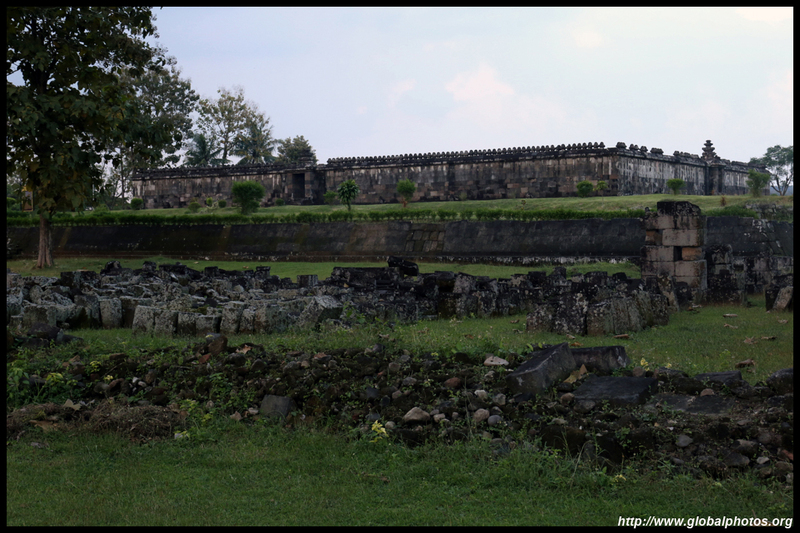 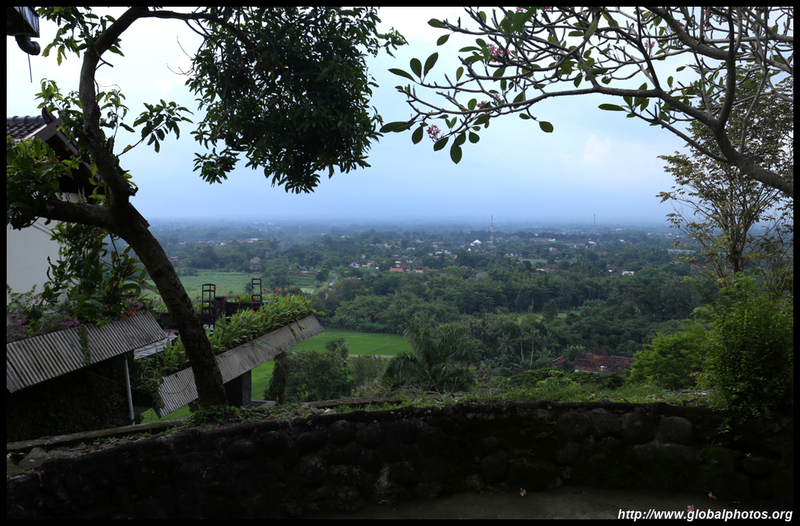 As the clouds rolled in, the prospect of a beautiful sunset atop Ratu Boko faded.